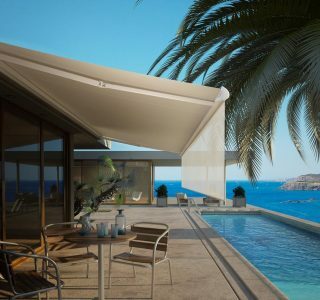 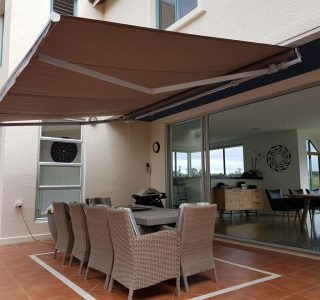 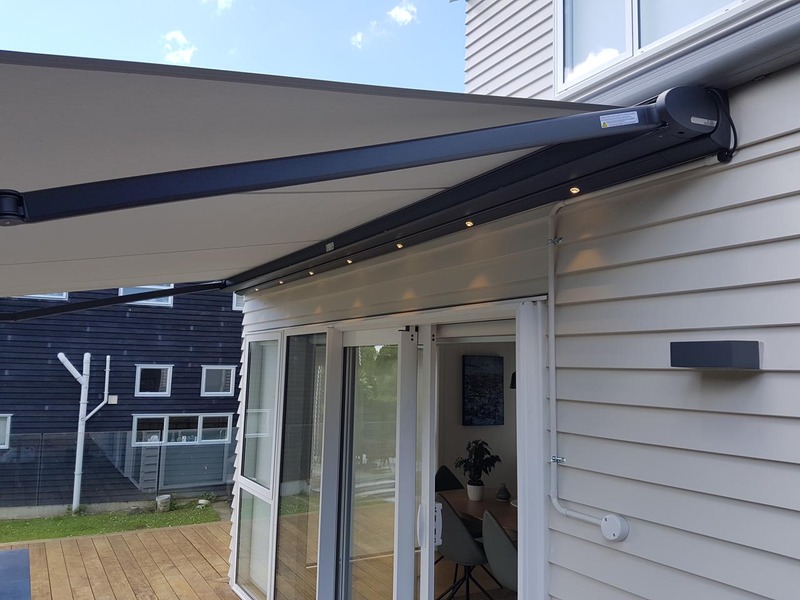 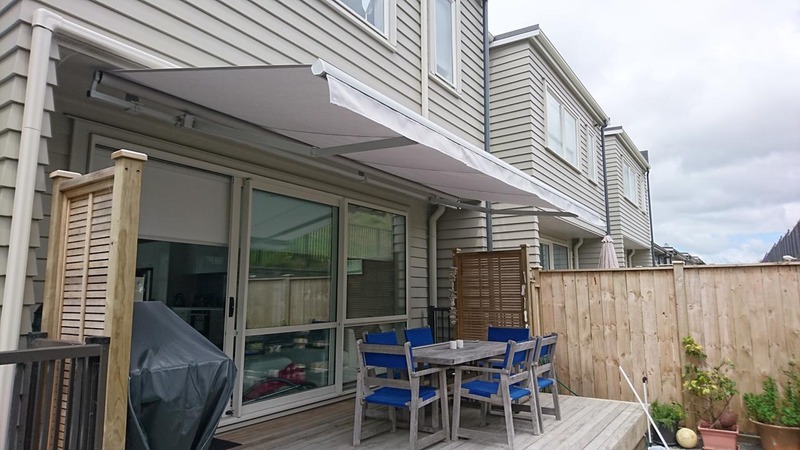 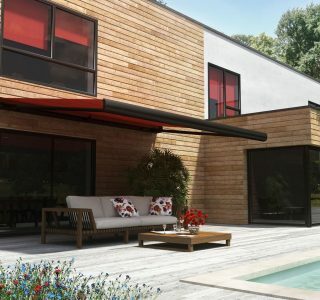 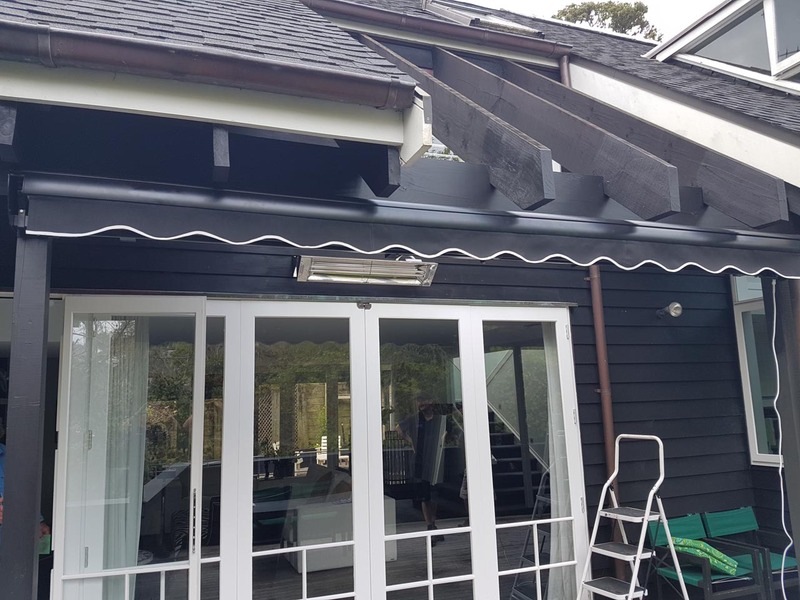 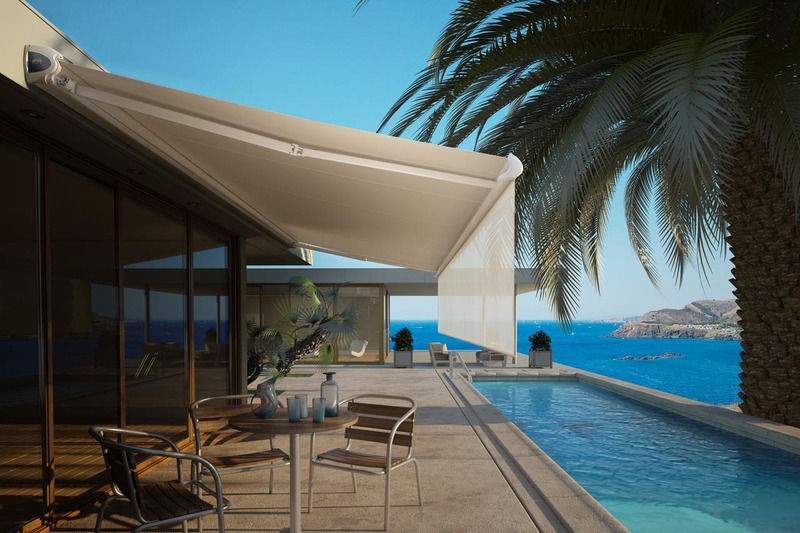 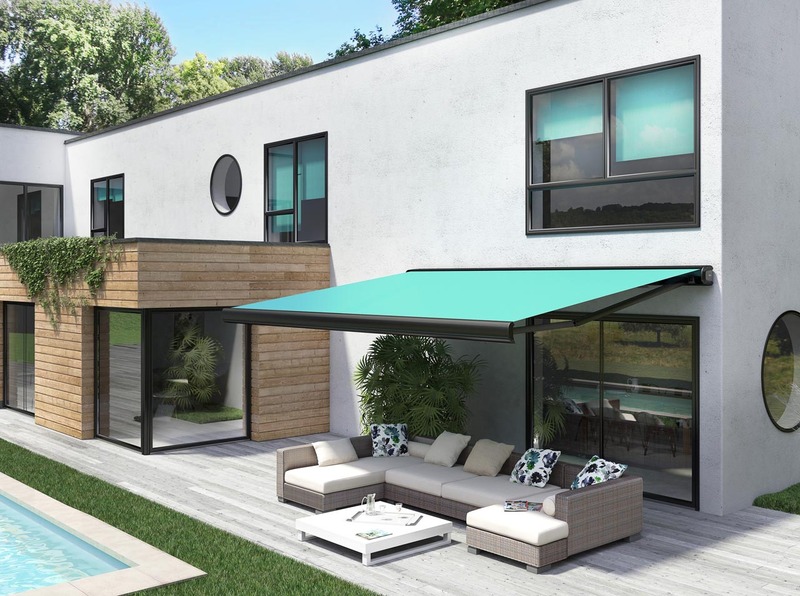 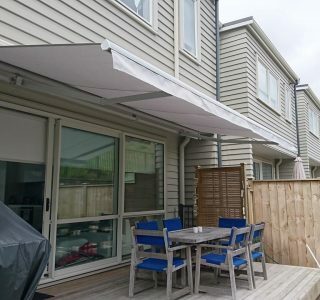 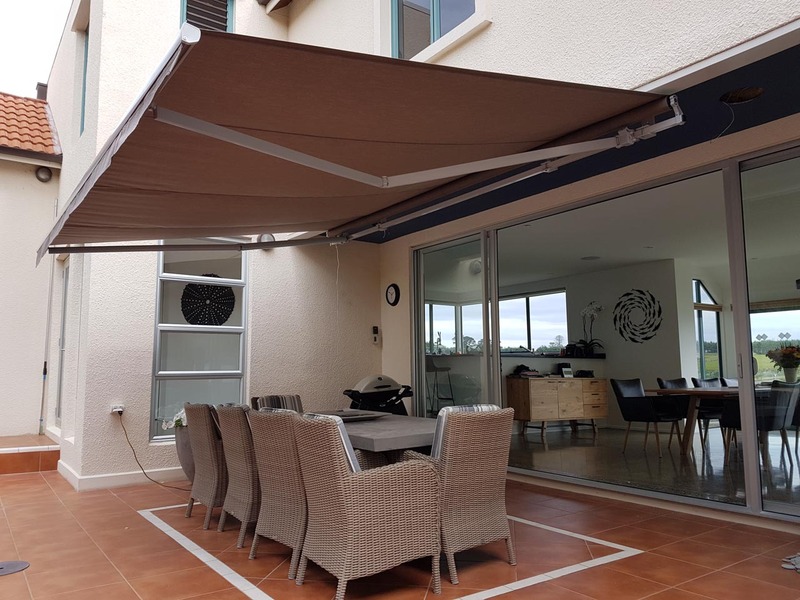 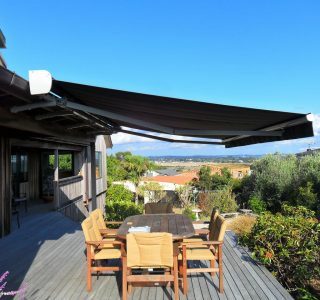 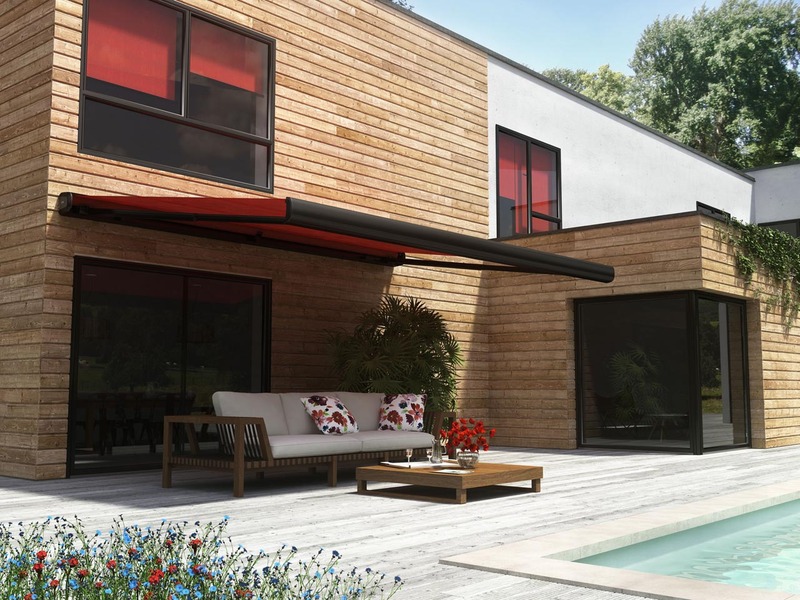 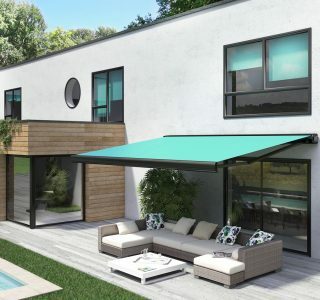 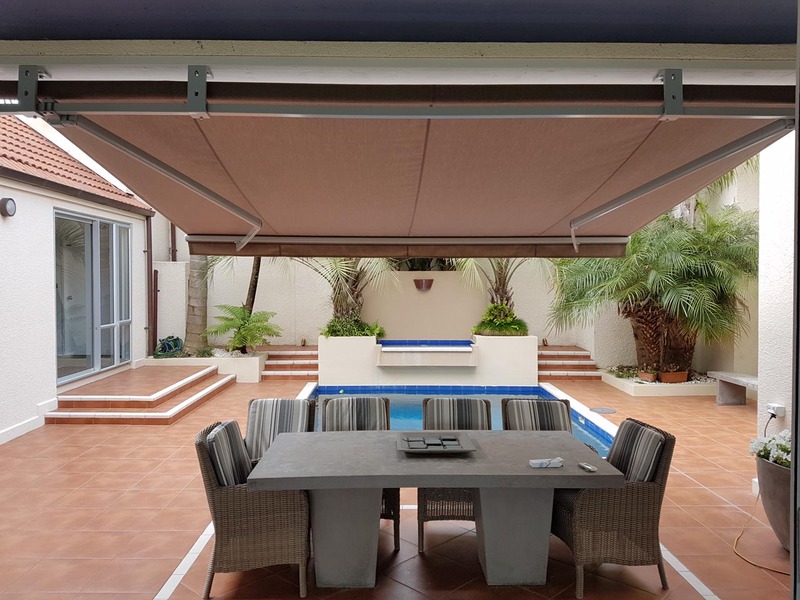 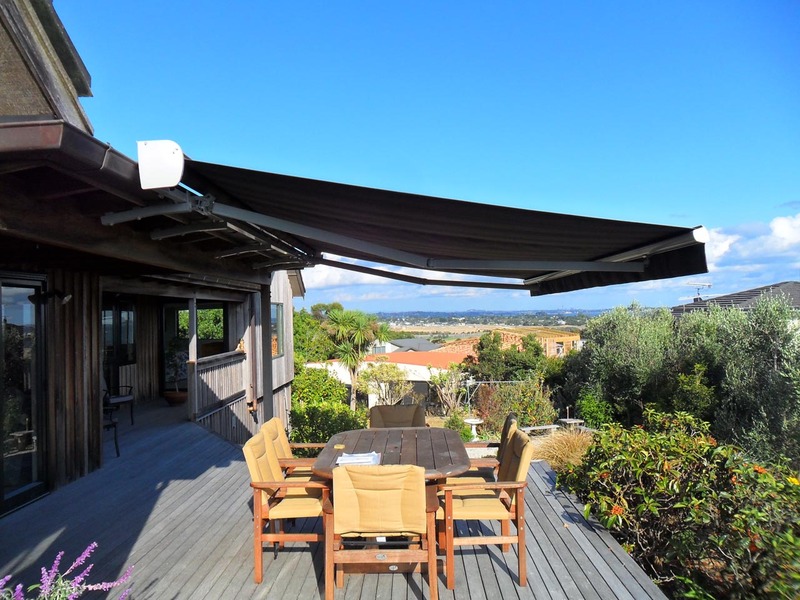 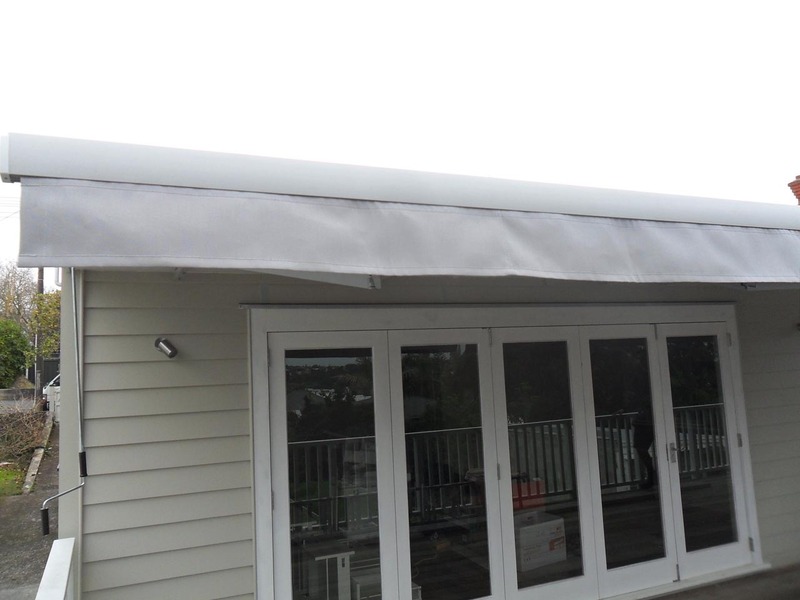 Exclusive to Total Cover Shade and Shelter, the Santana Comfort offers a new standard semi-cassette retractable awning system. 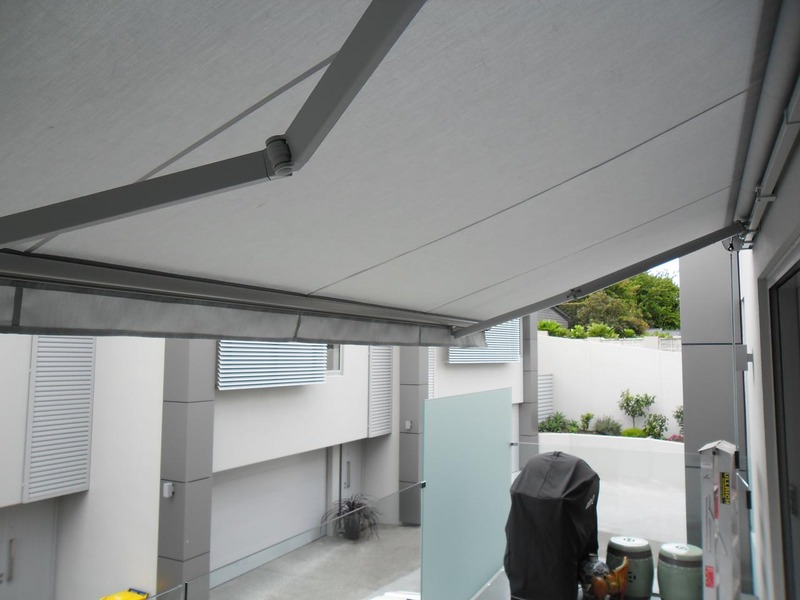 The Comfort comes standard in silver pearl powder coating colour. 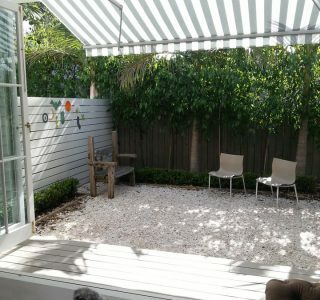 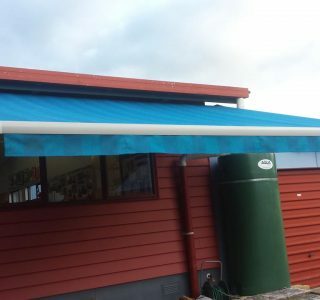 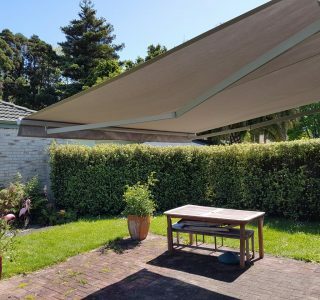 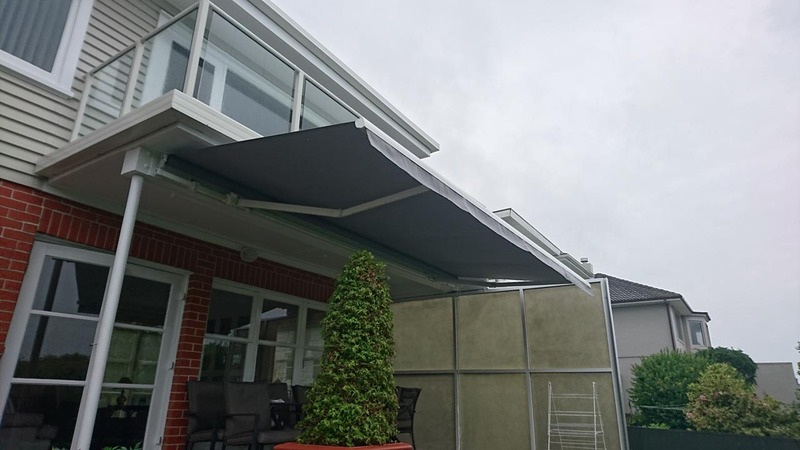 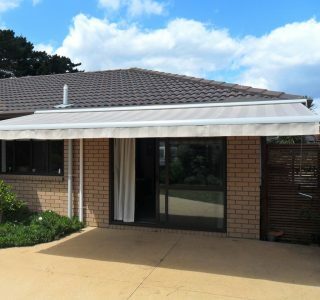 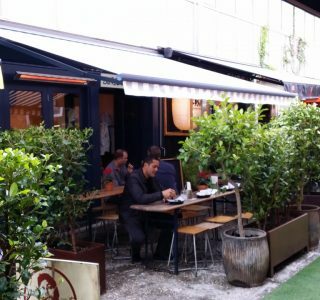 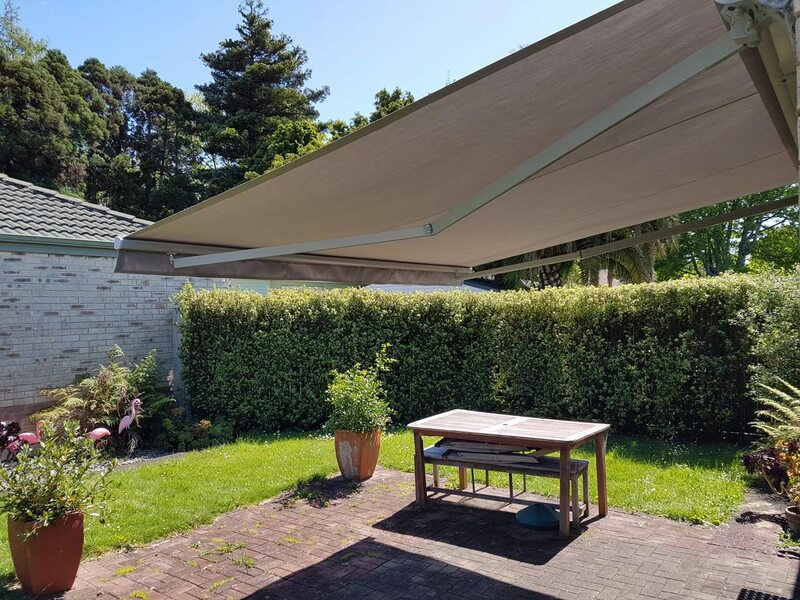 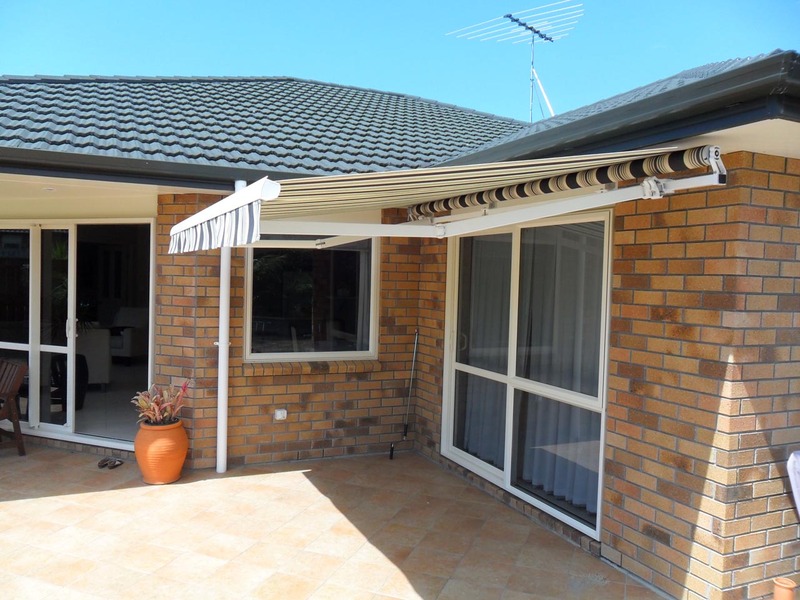 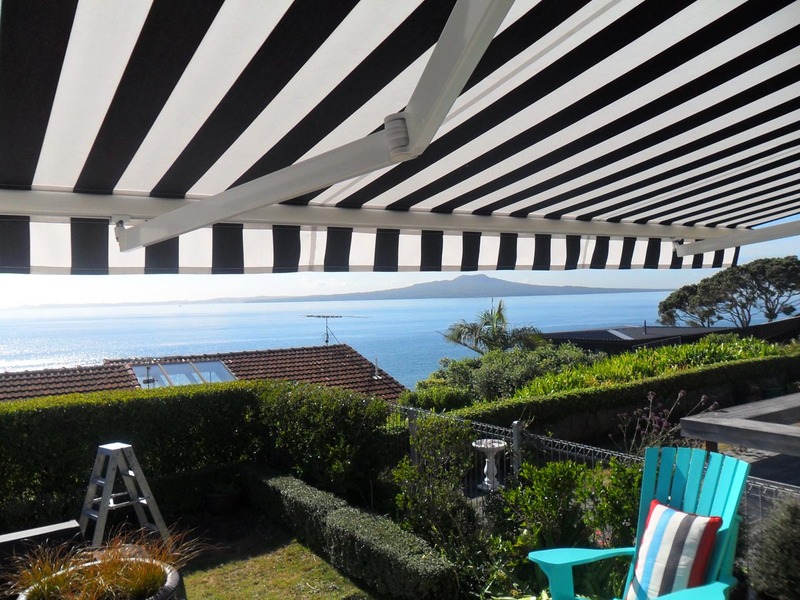 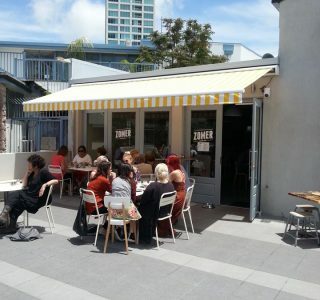 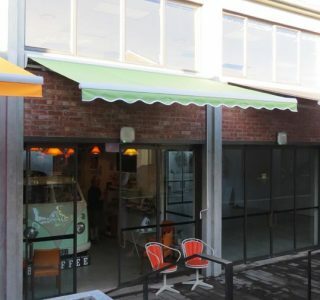 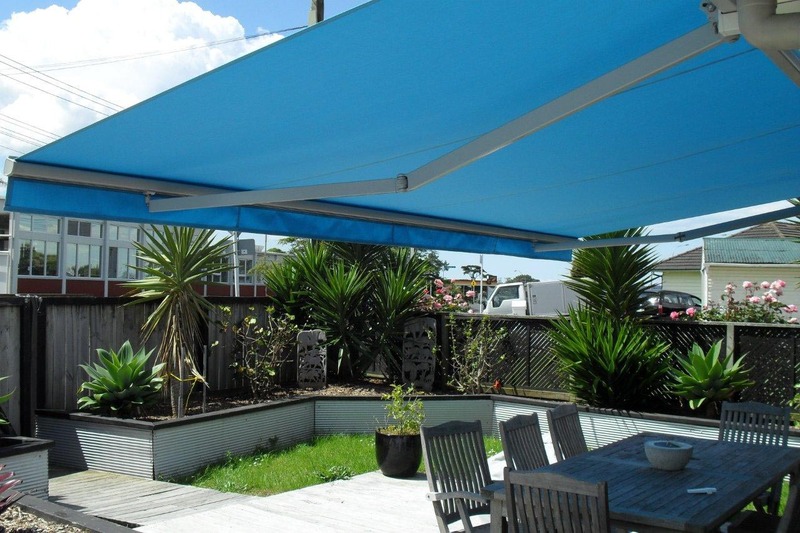 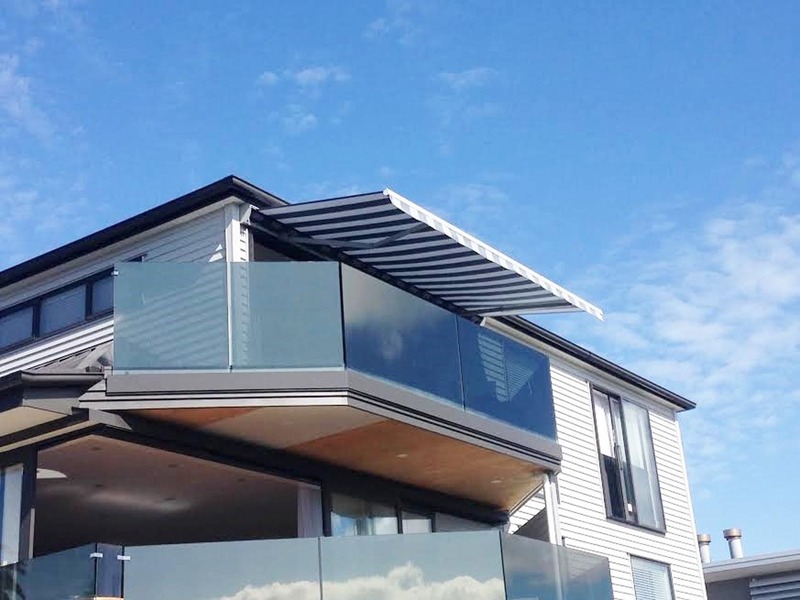 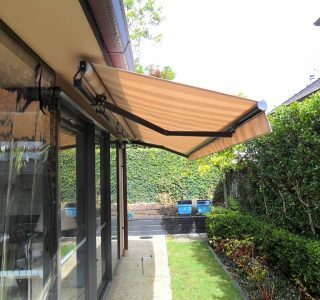 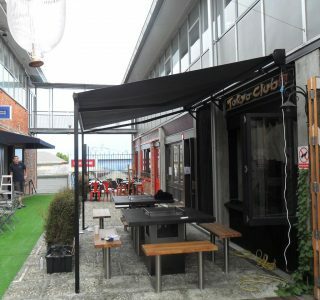 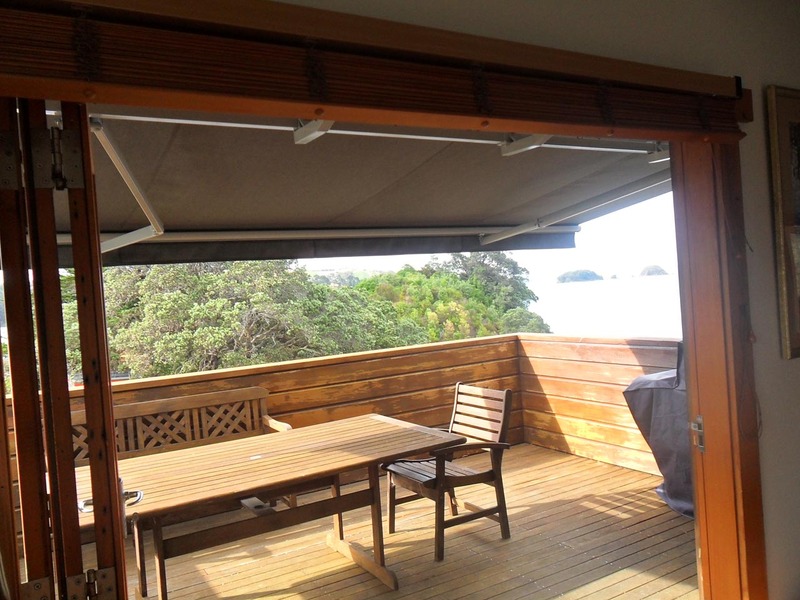 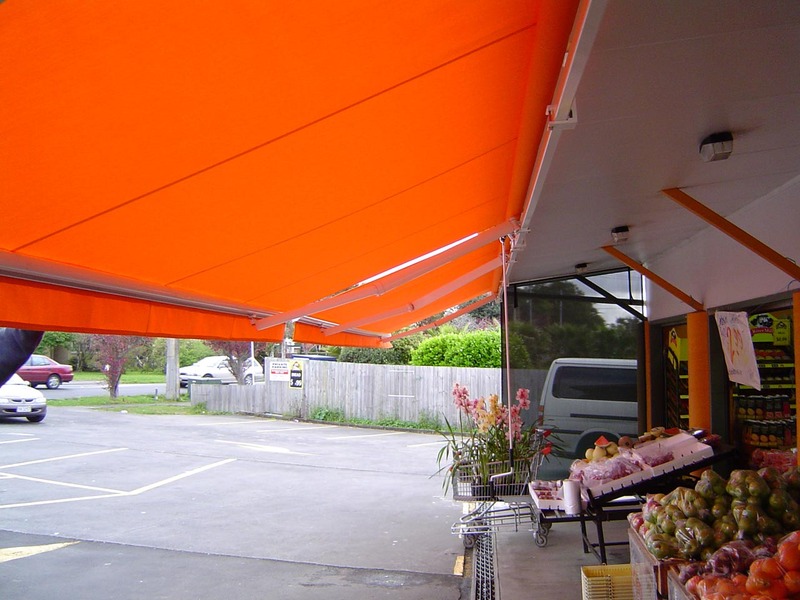 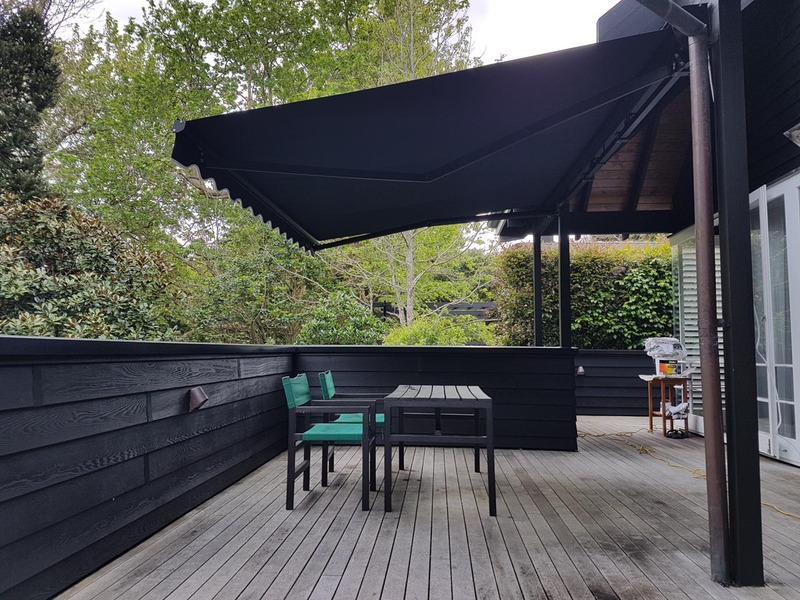 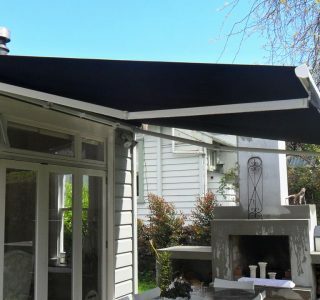 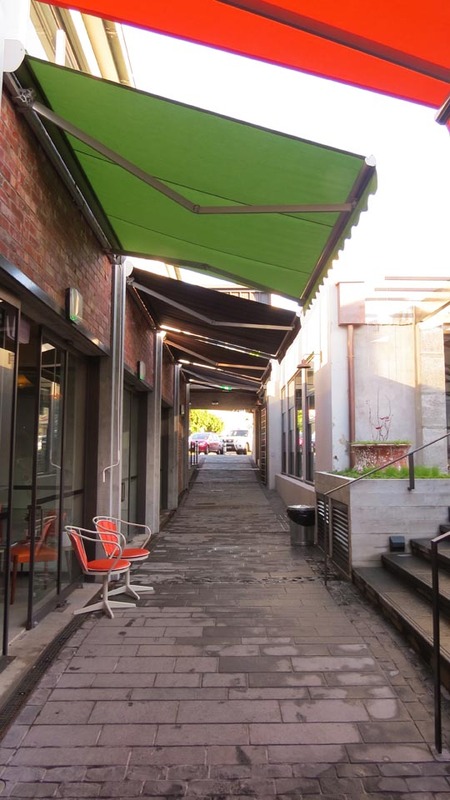 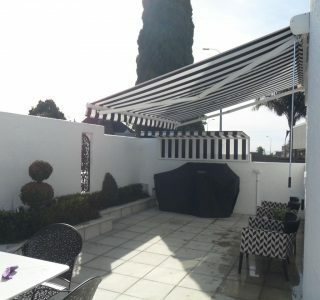 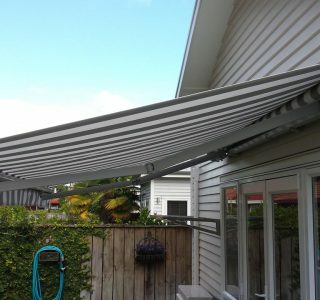 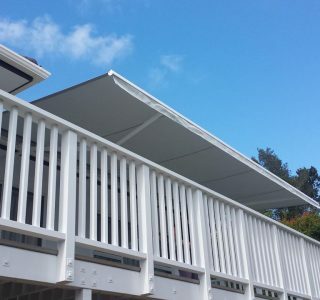 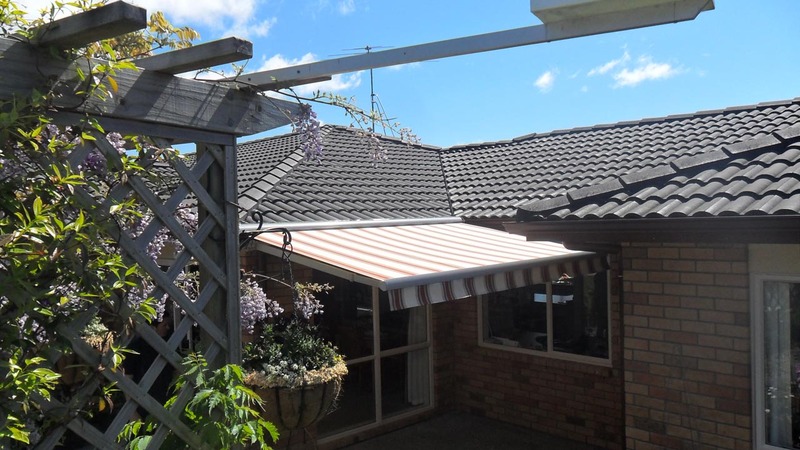 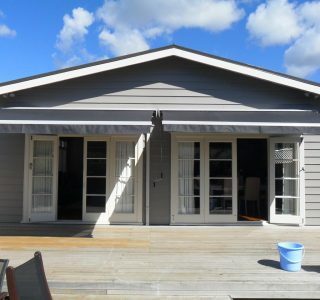 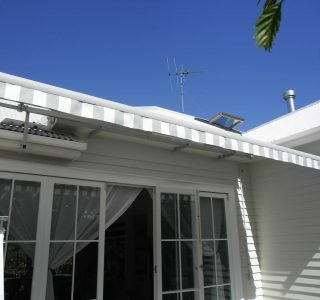 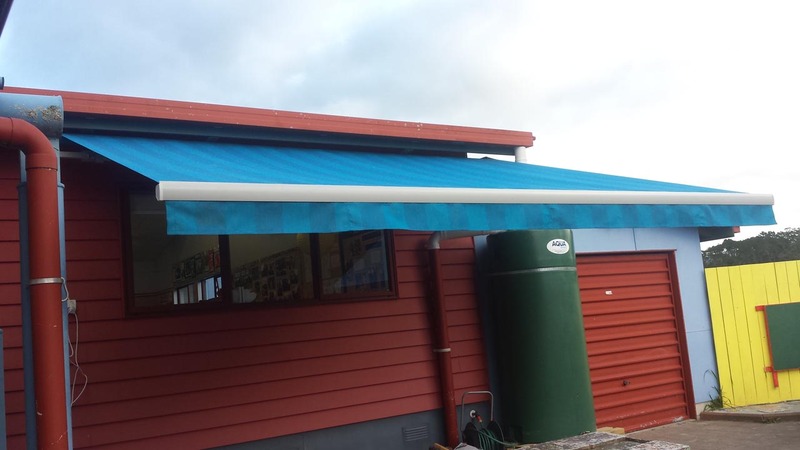 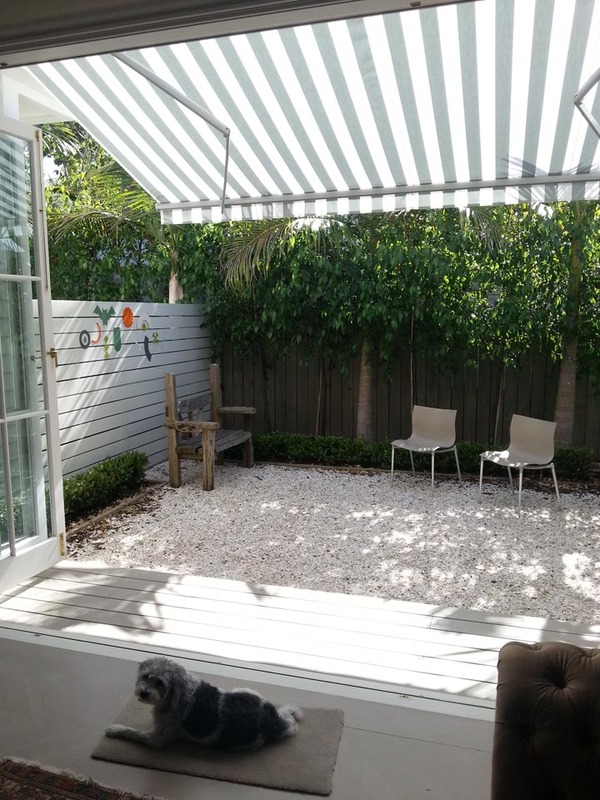 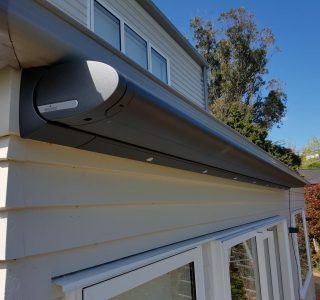 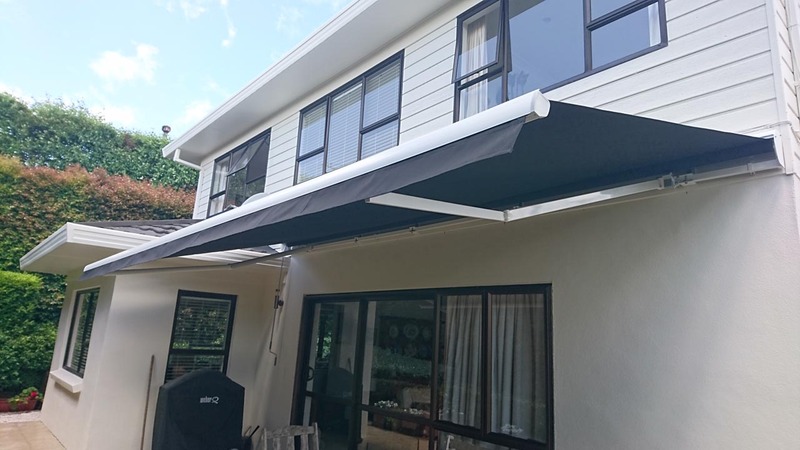 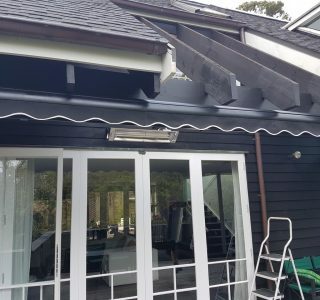 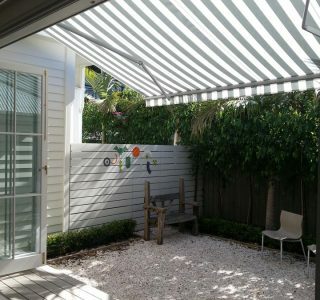 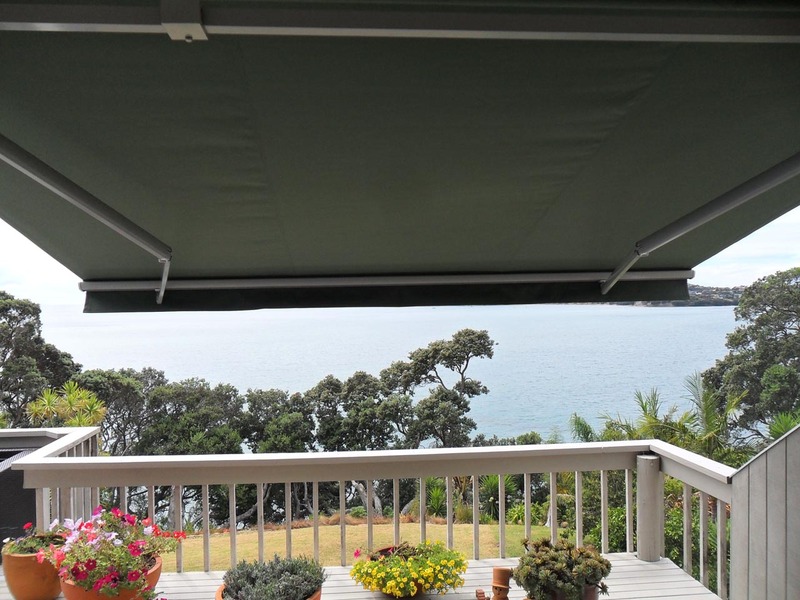 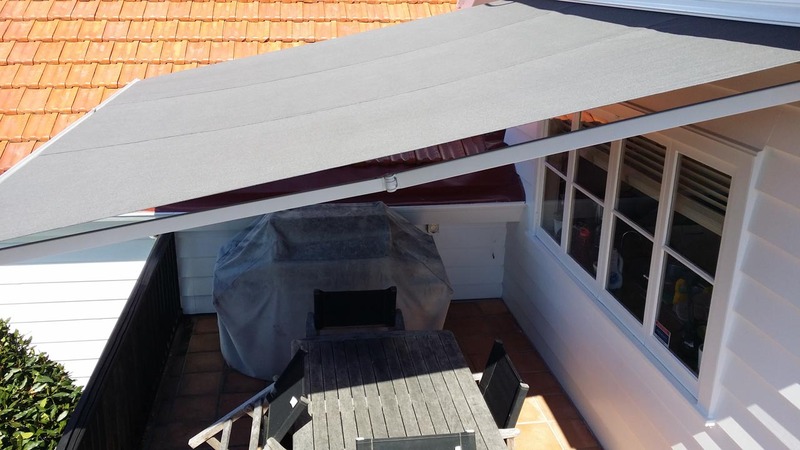 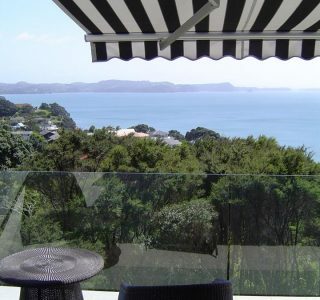 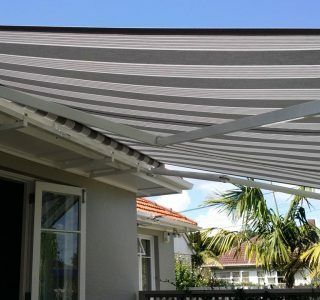 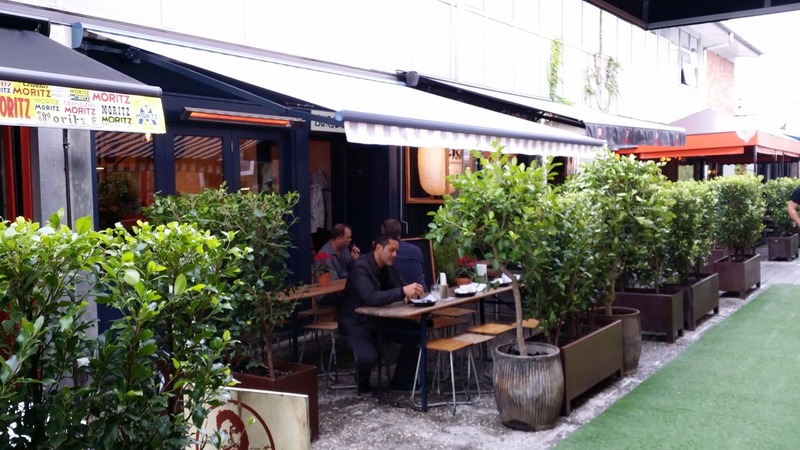 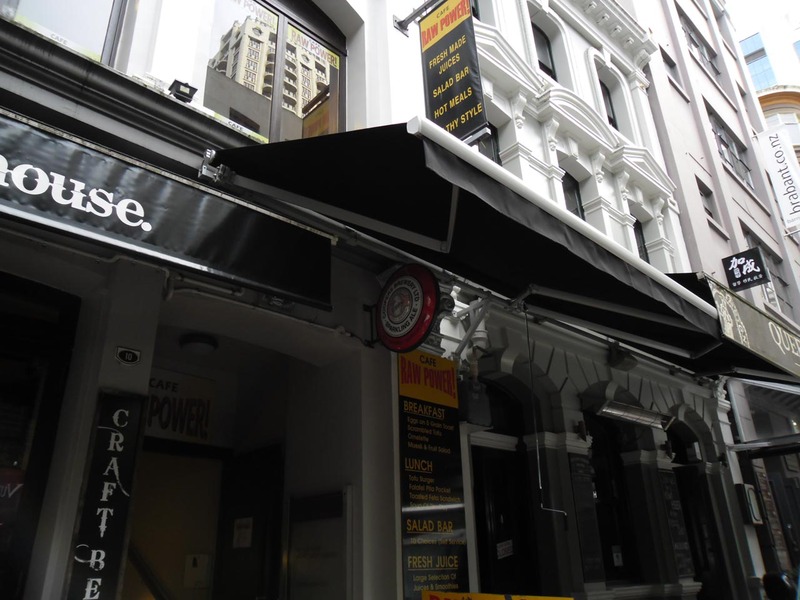 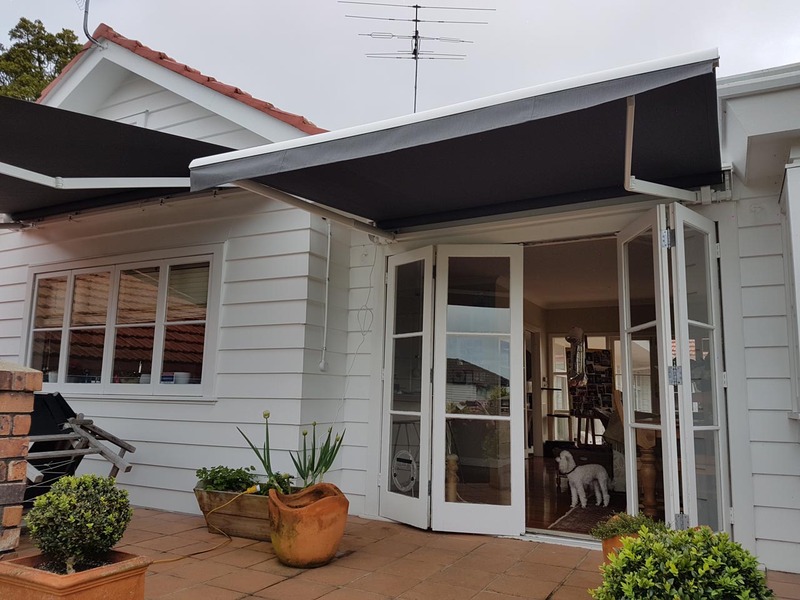 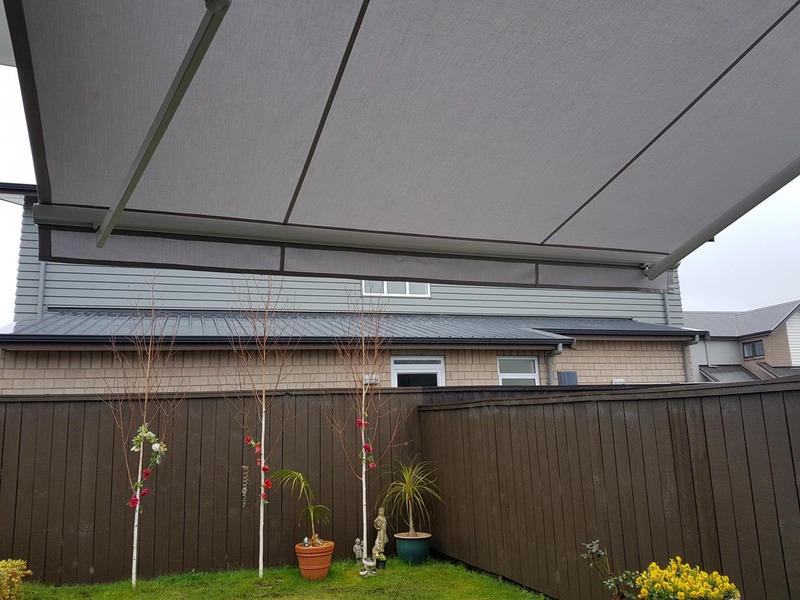 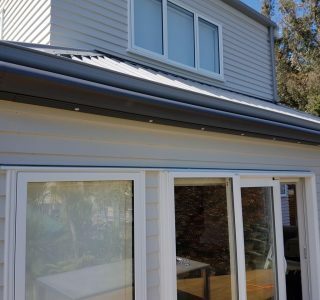 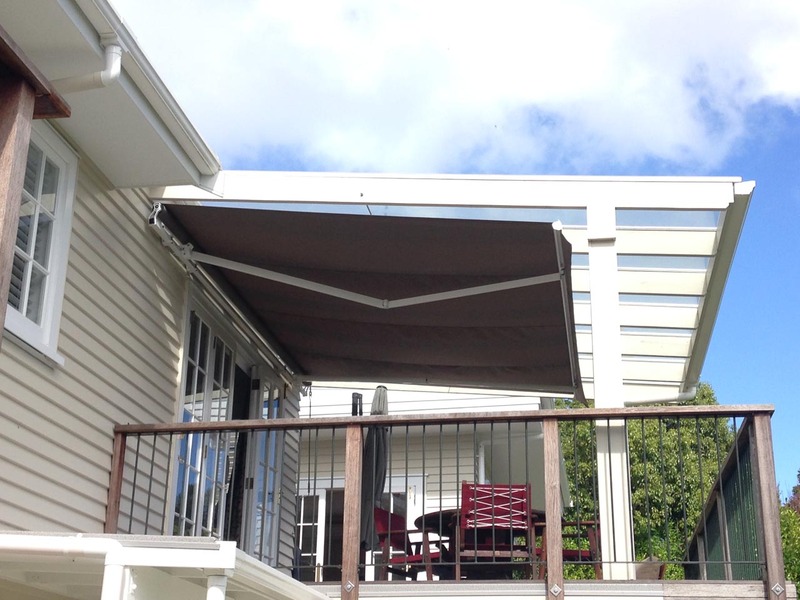 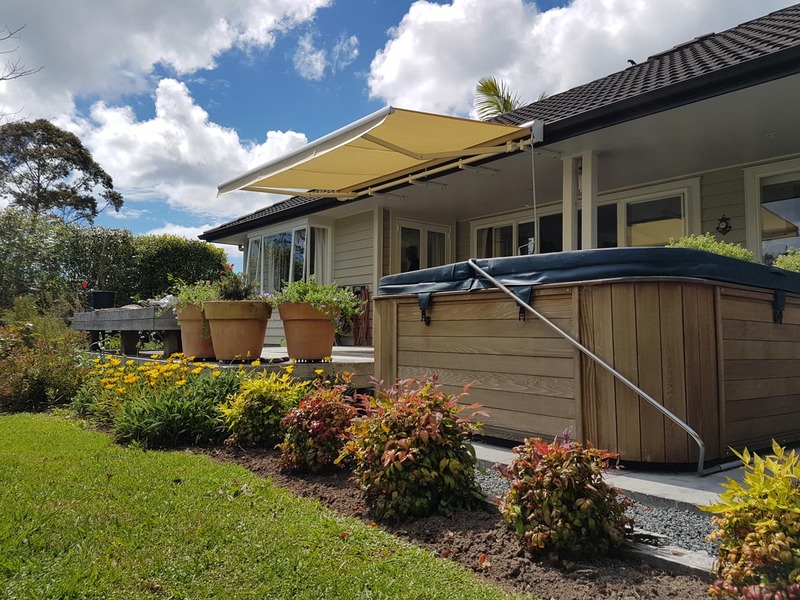 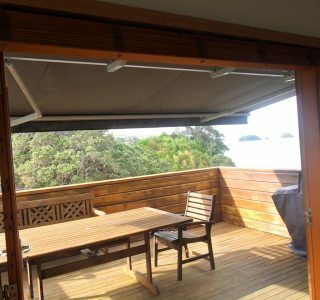 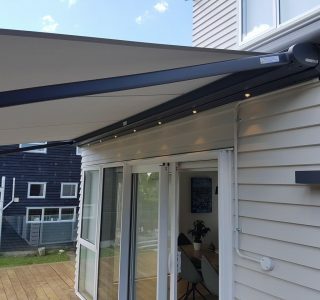 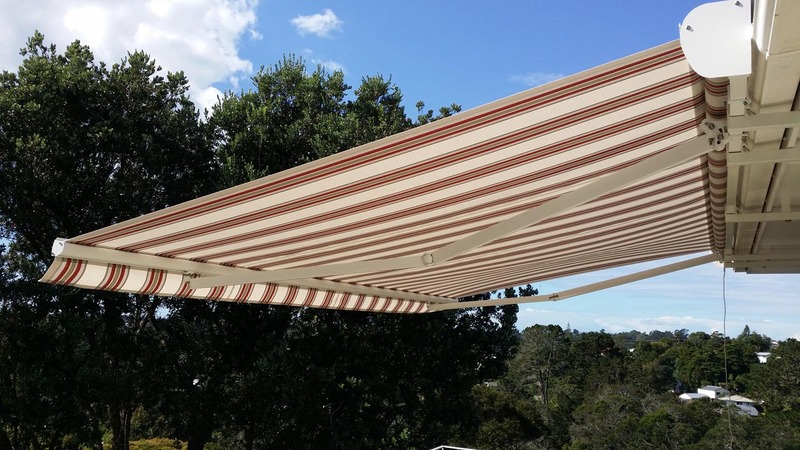 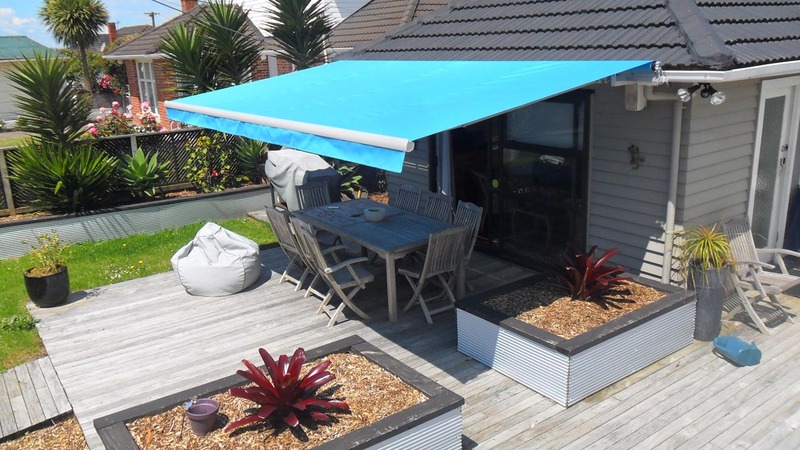 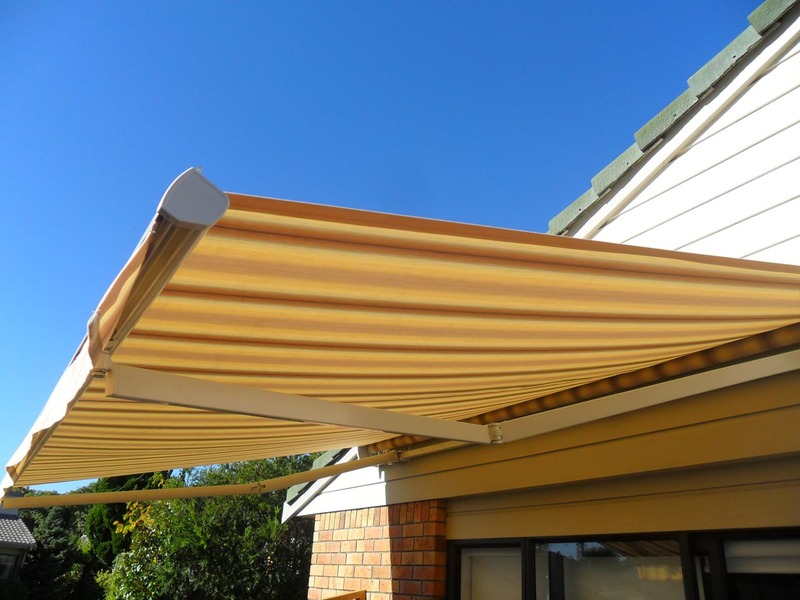 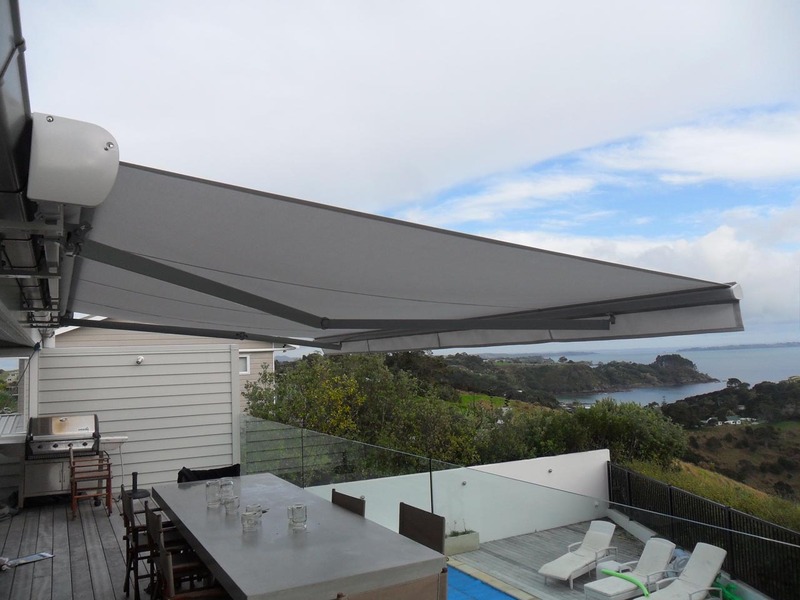 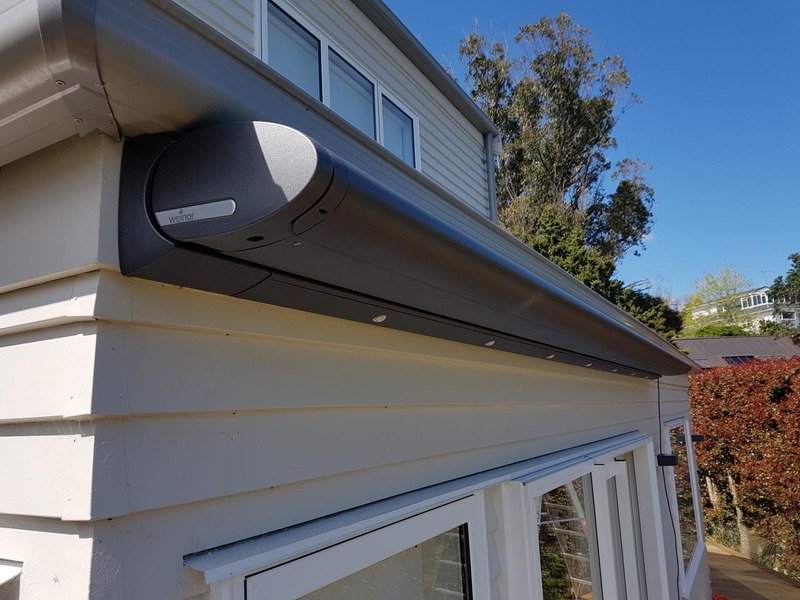 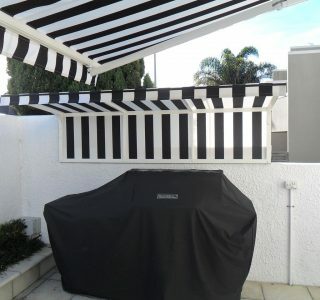 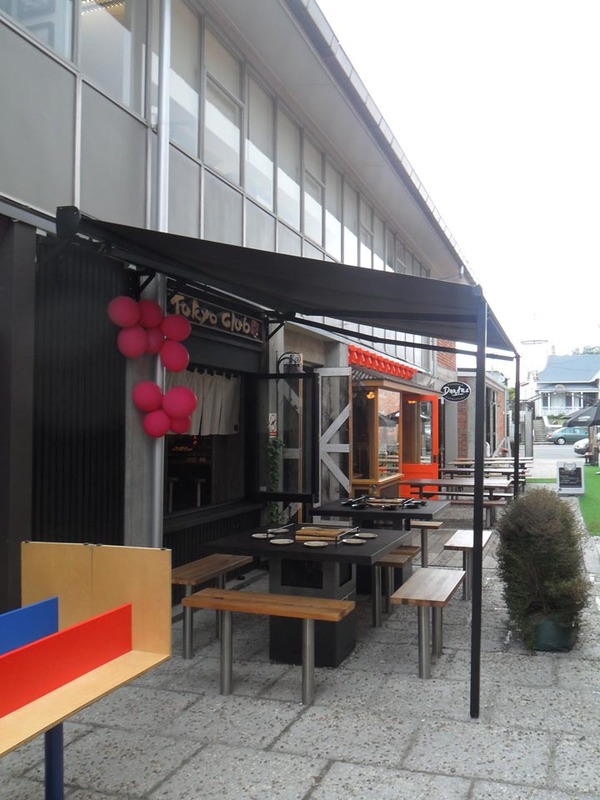 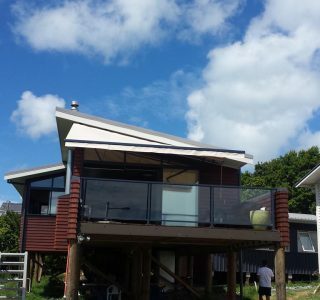 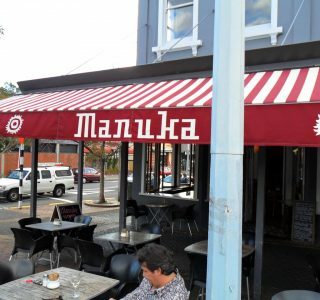 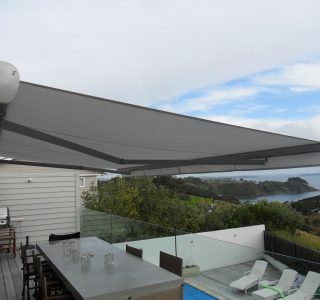 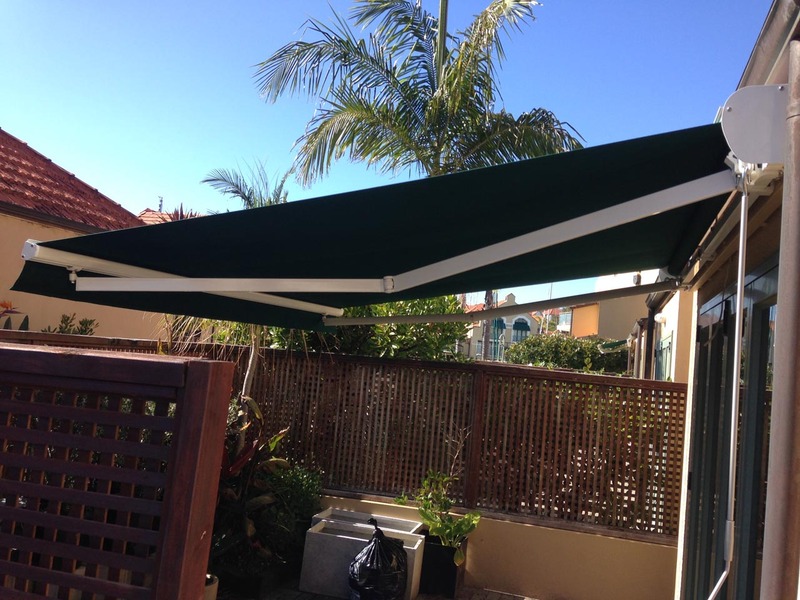 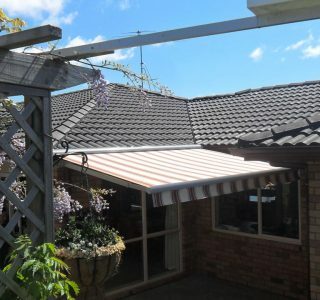 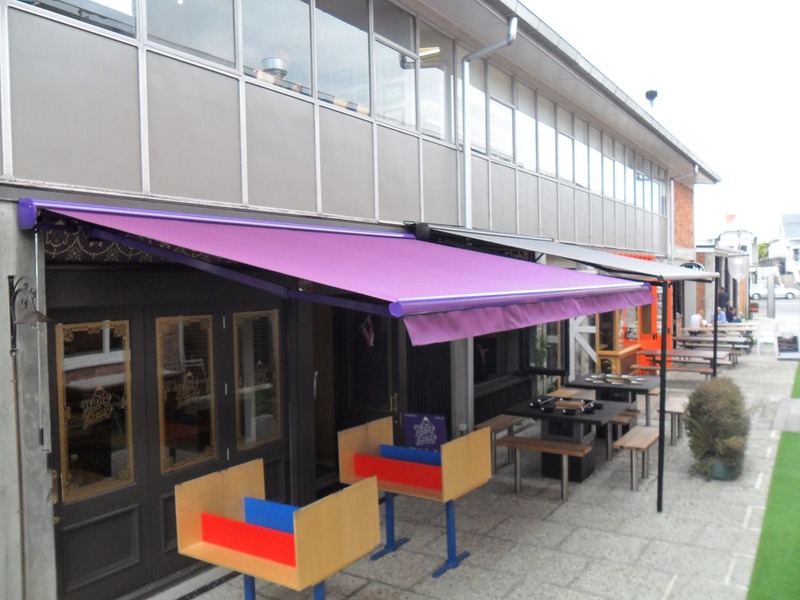 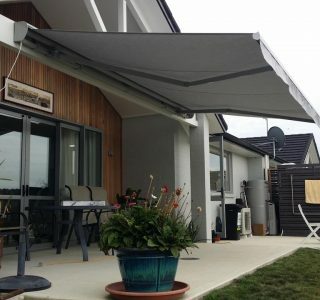 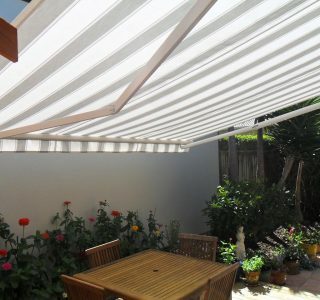 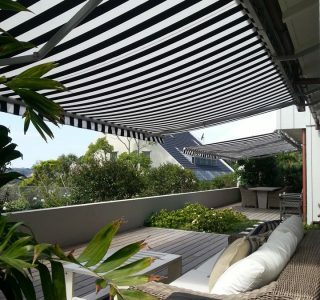 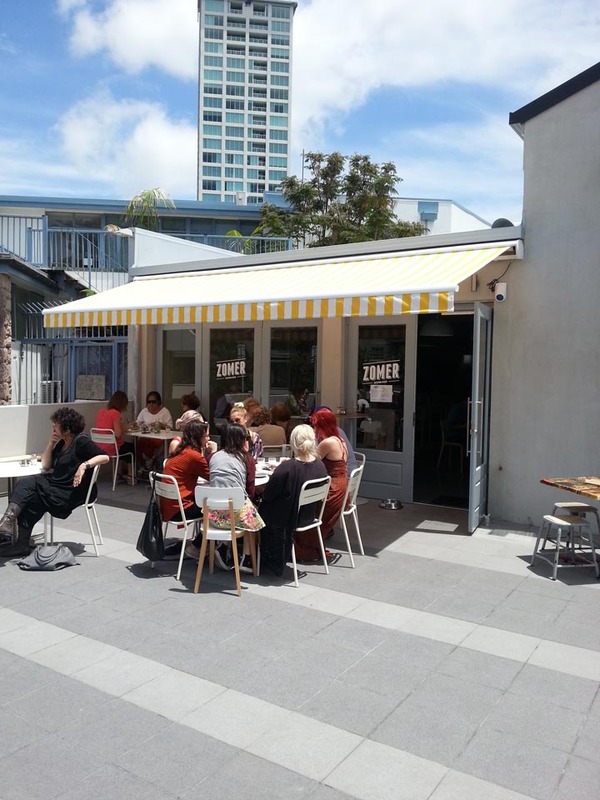 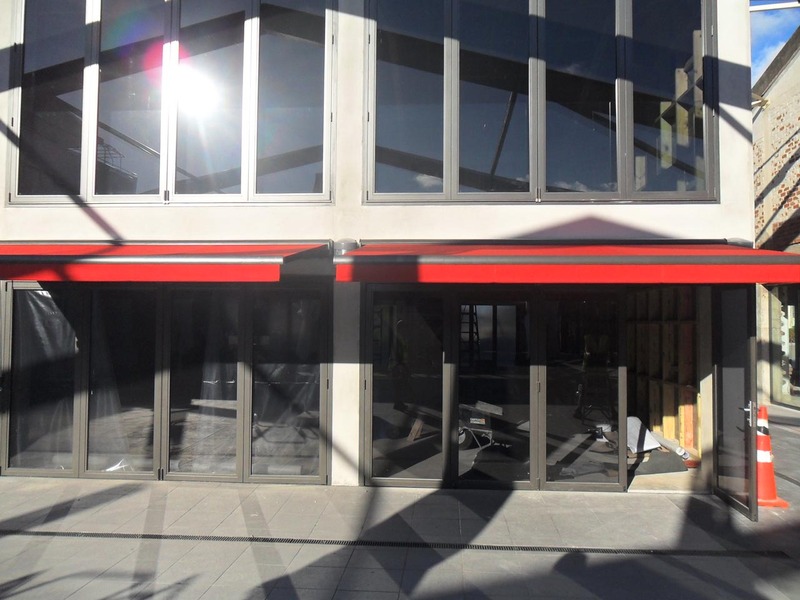 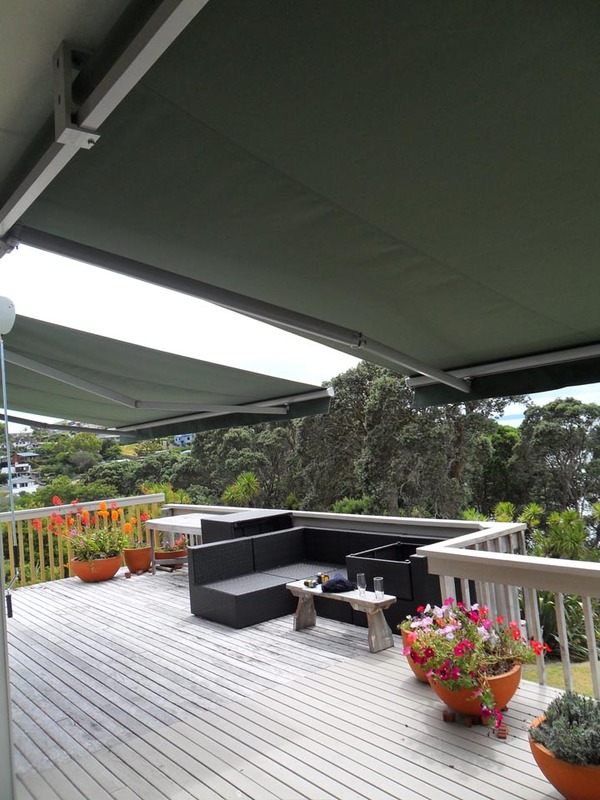 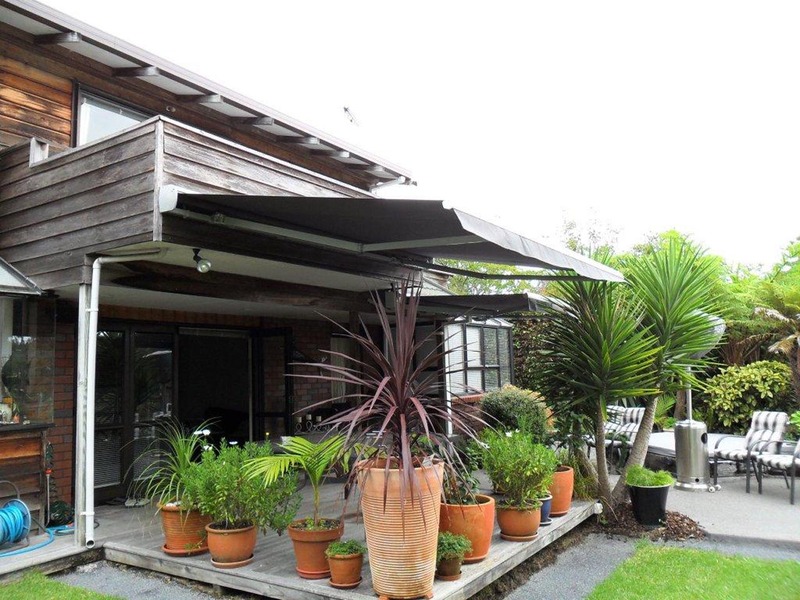 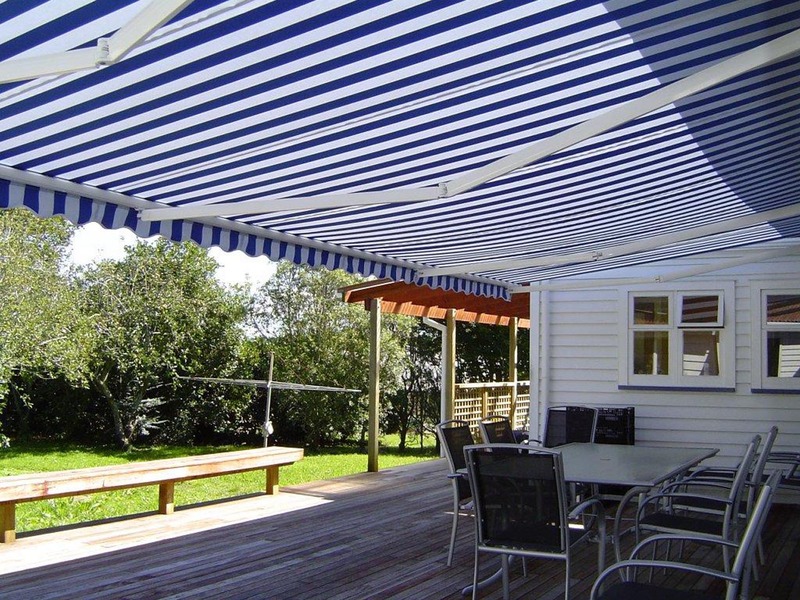 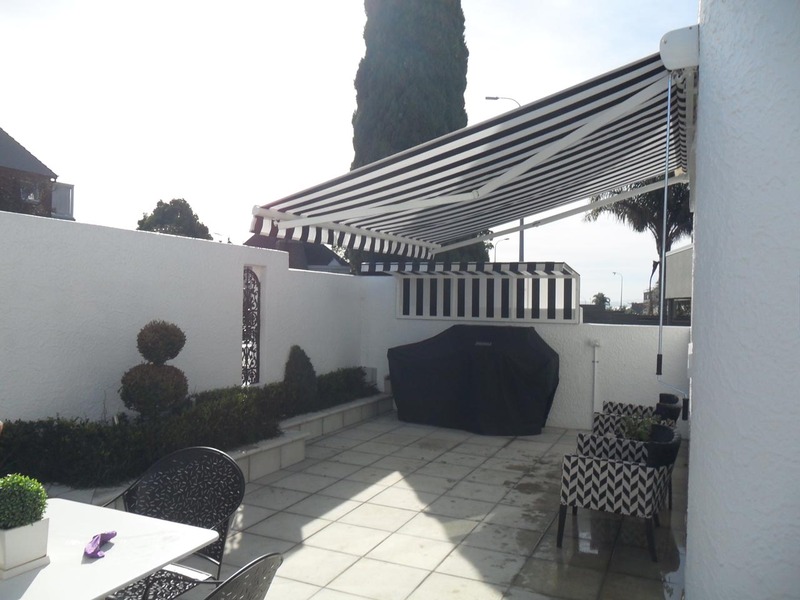 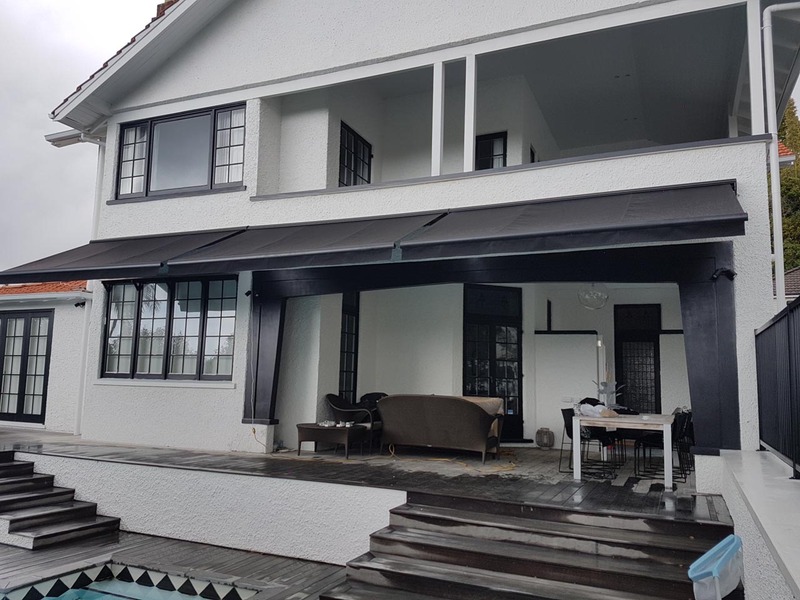 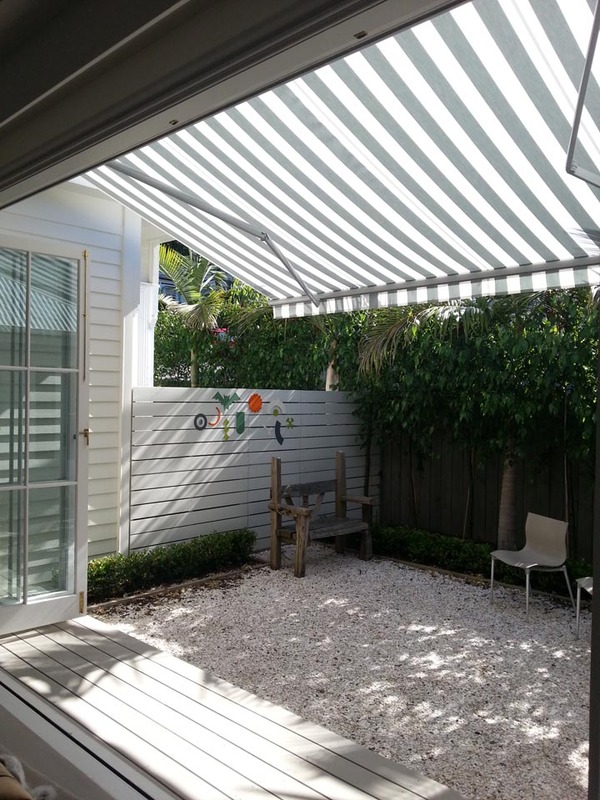 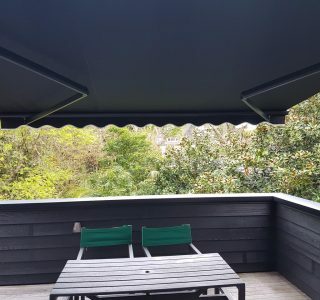 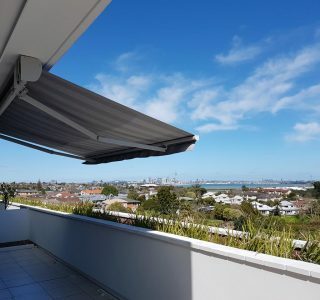 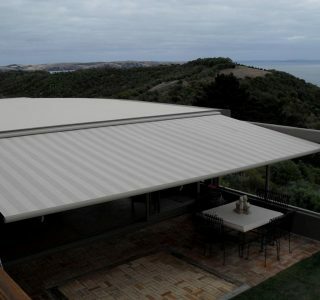 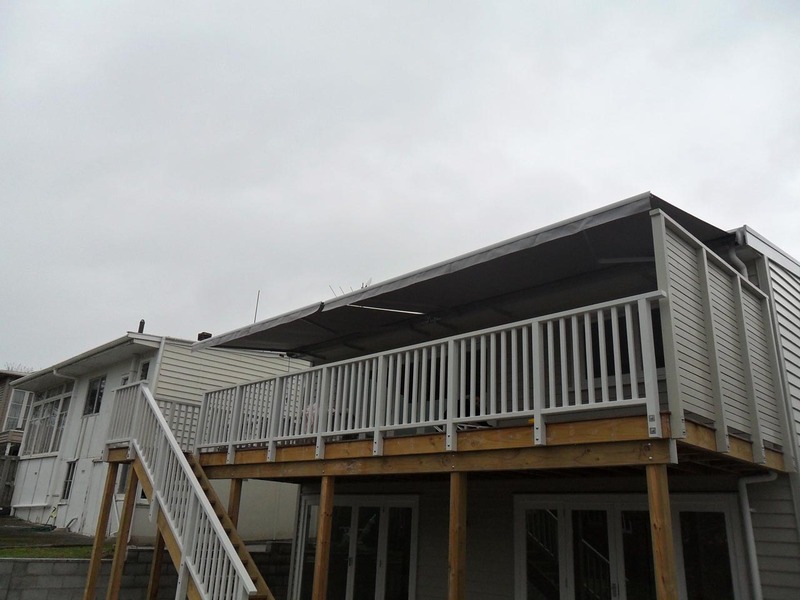 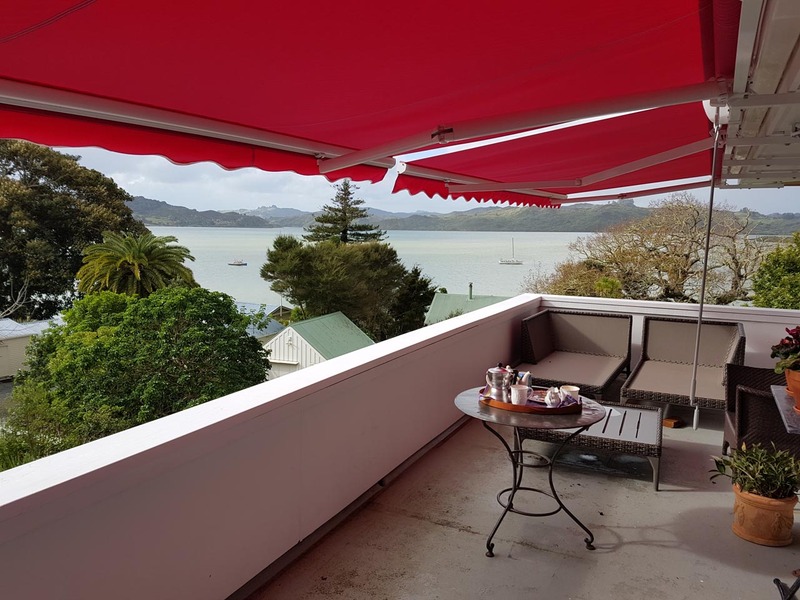 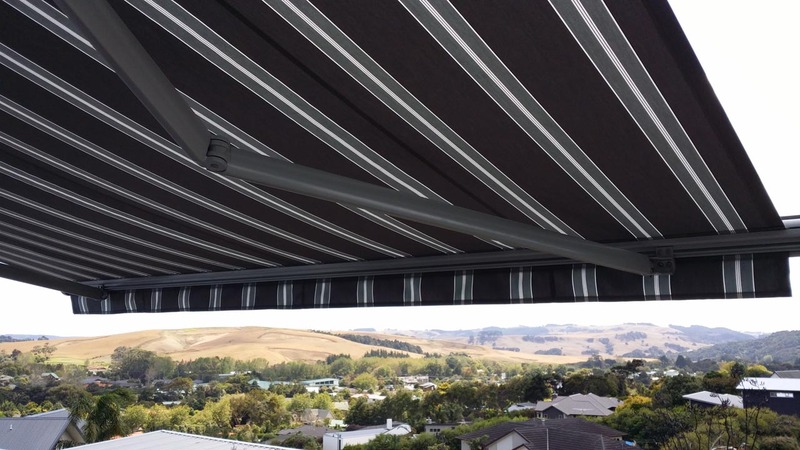 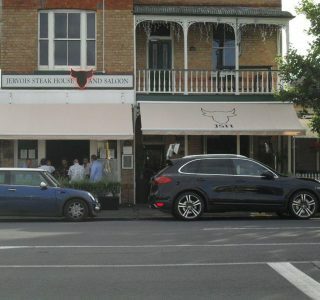 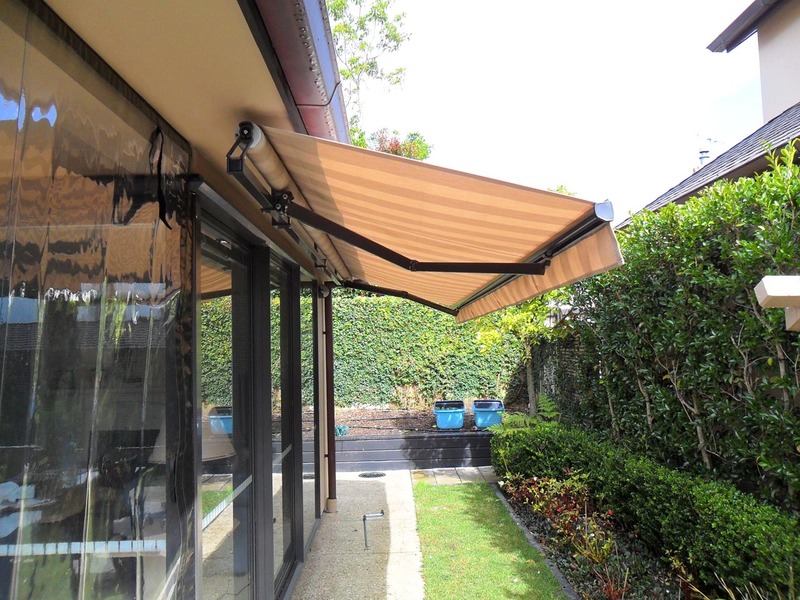 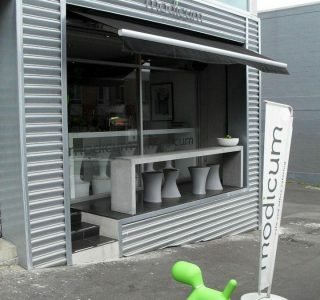 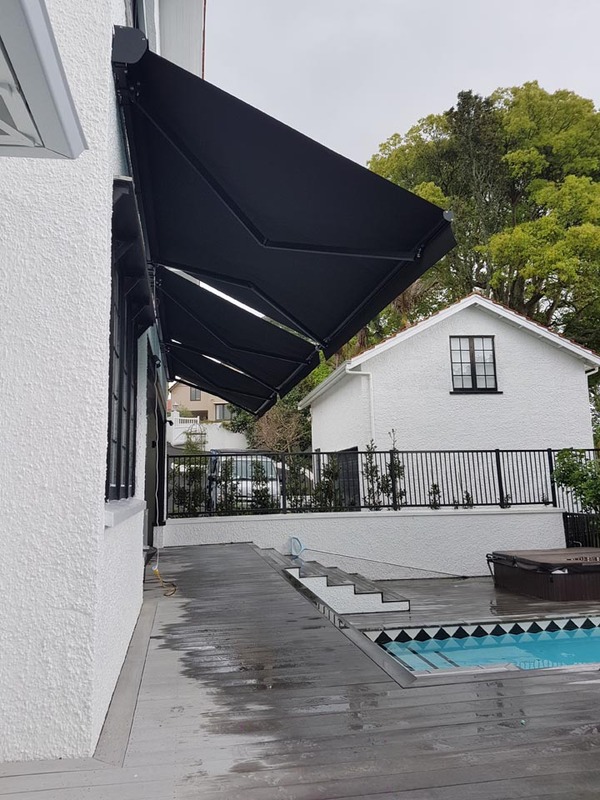 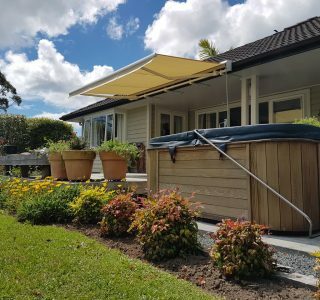 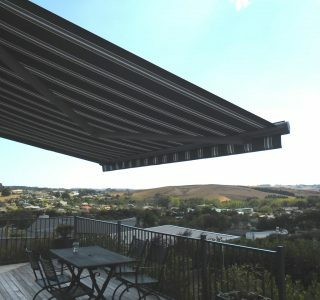 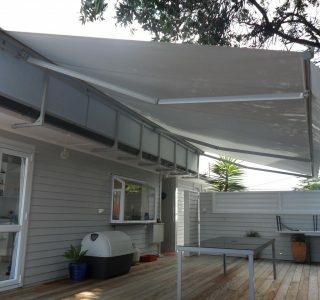 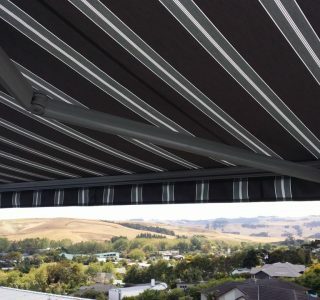 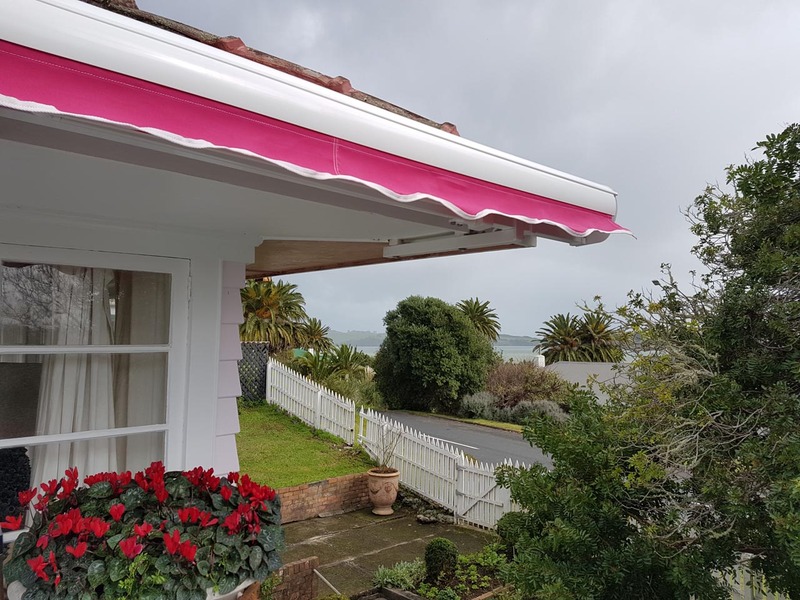 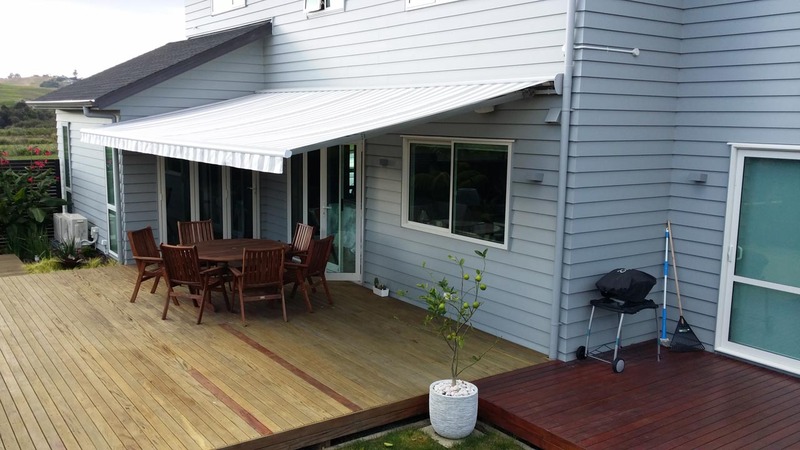 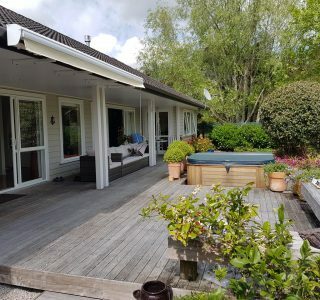 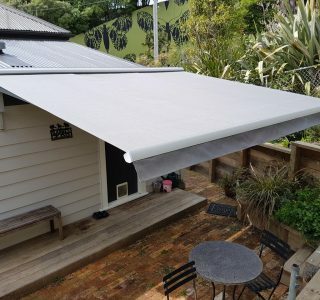 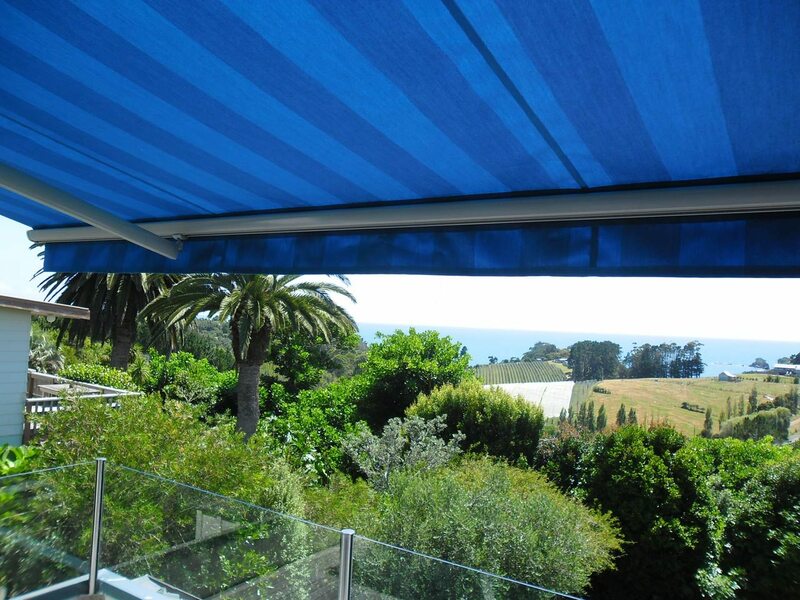 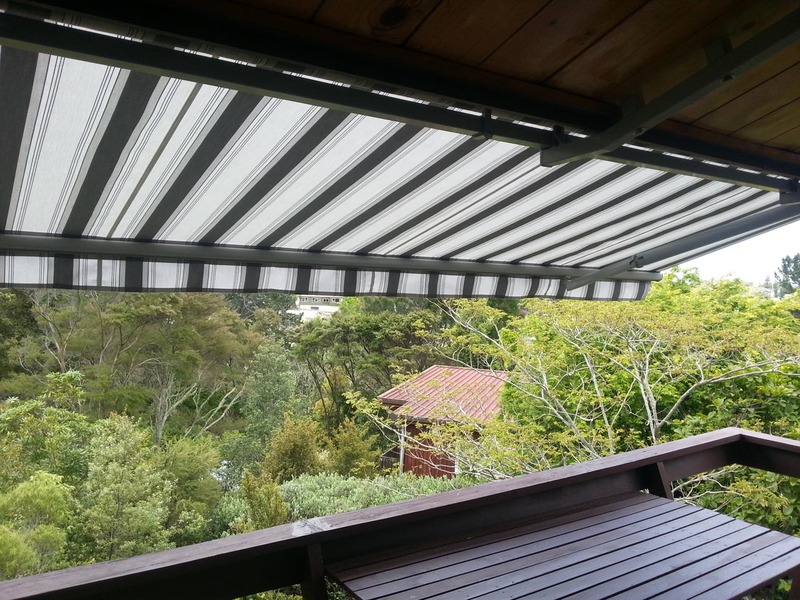 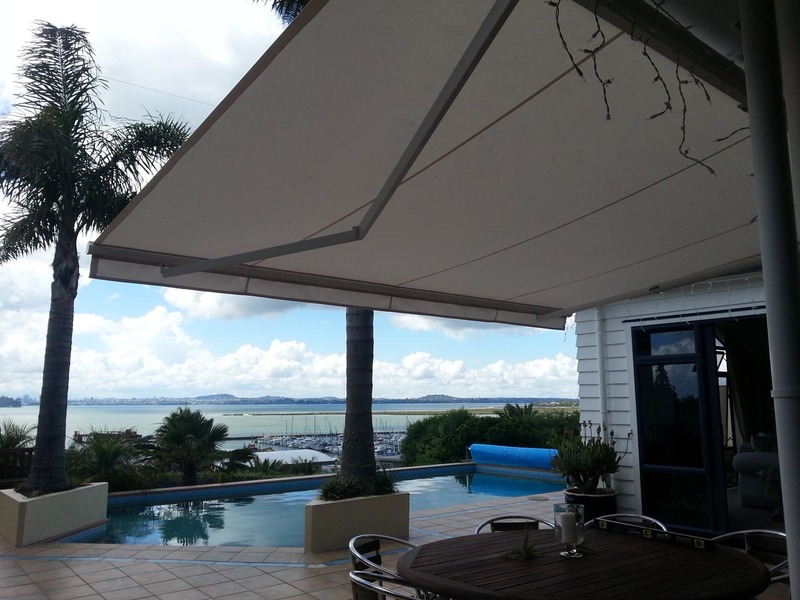 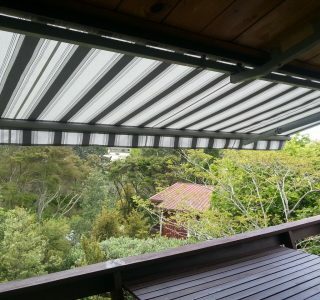 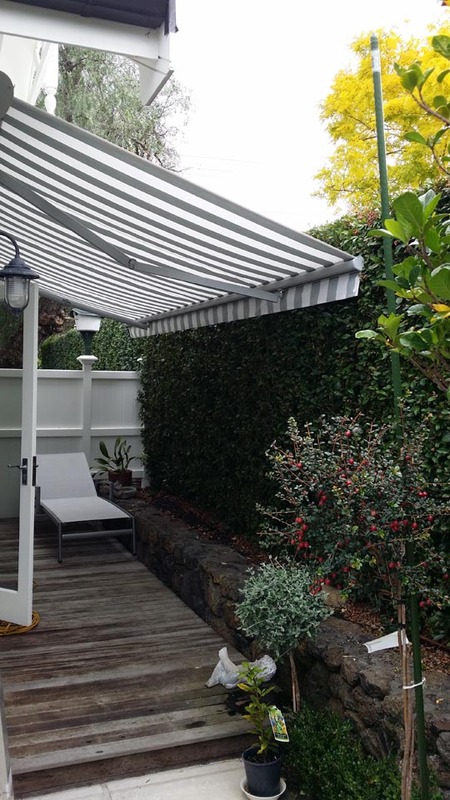 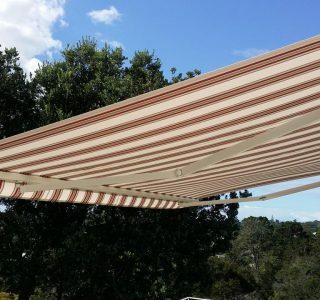 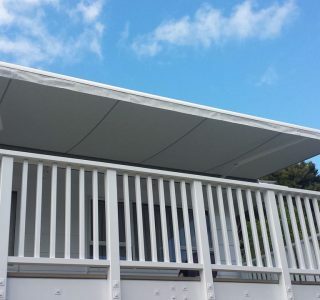 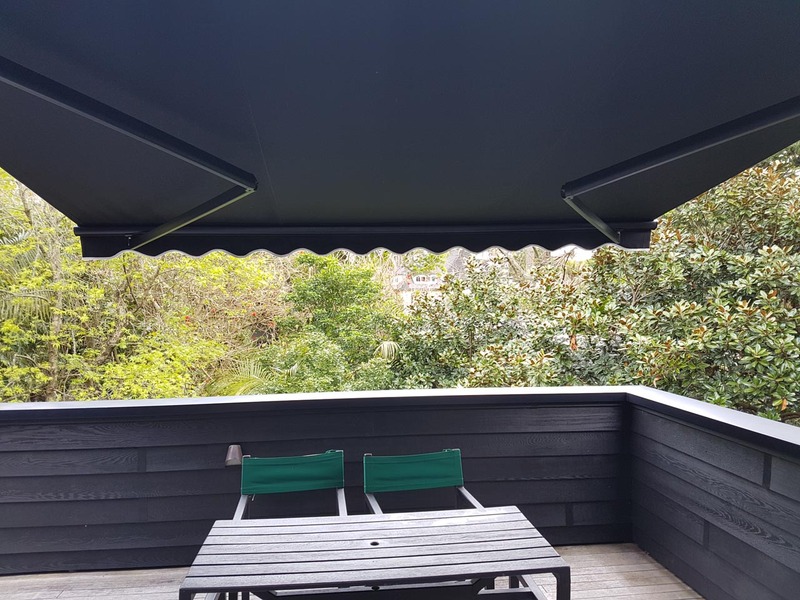 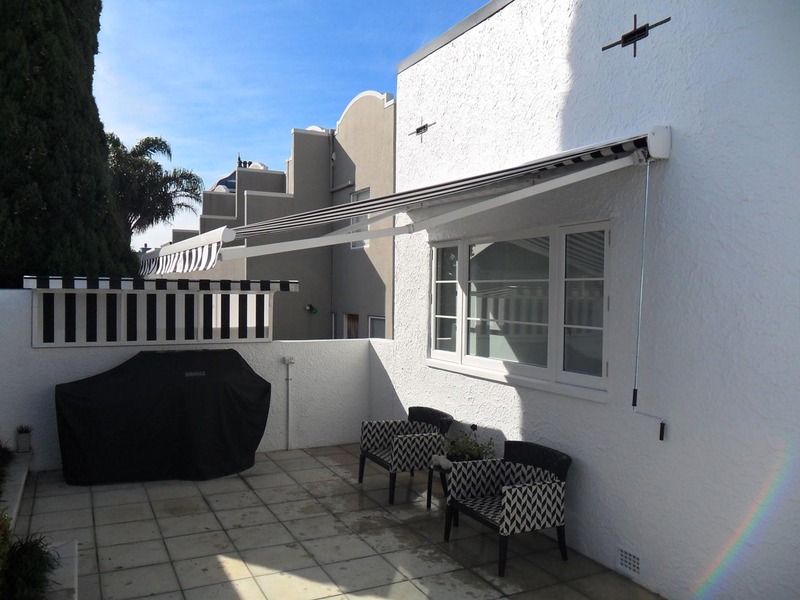 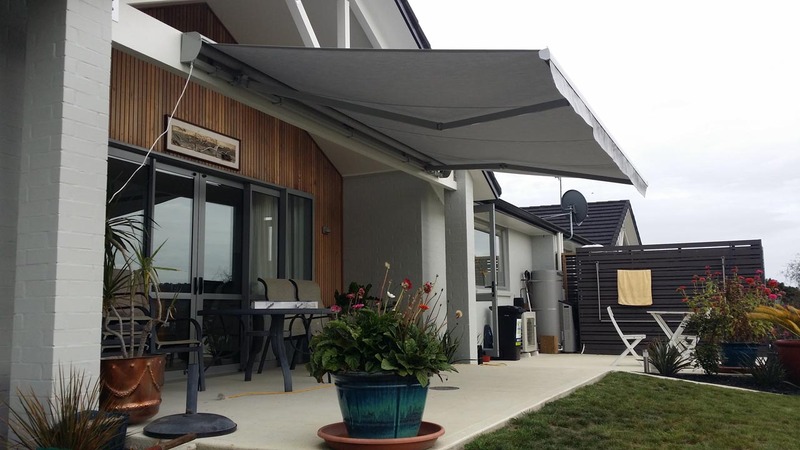 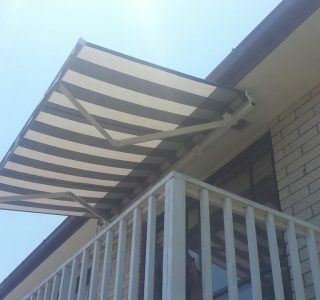 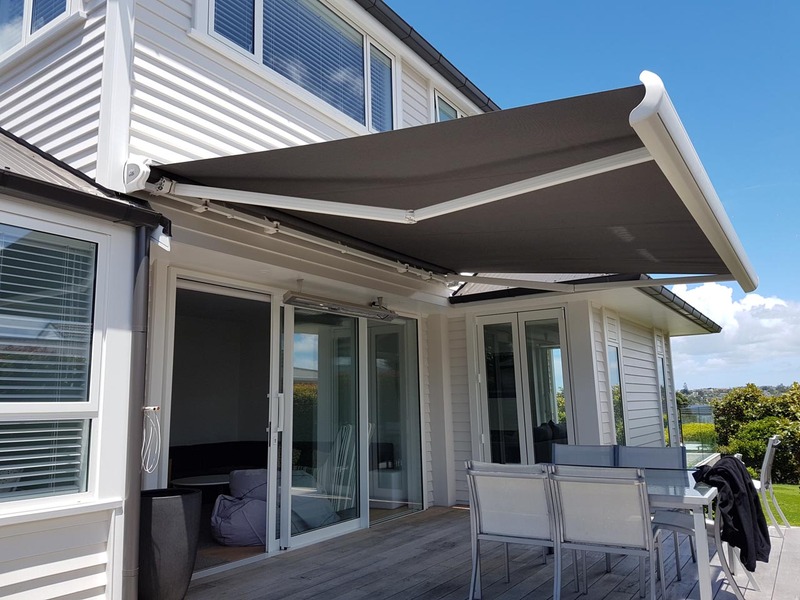 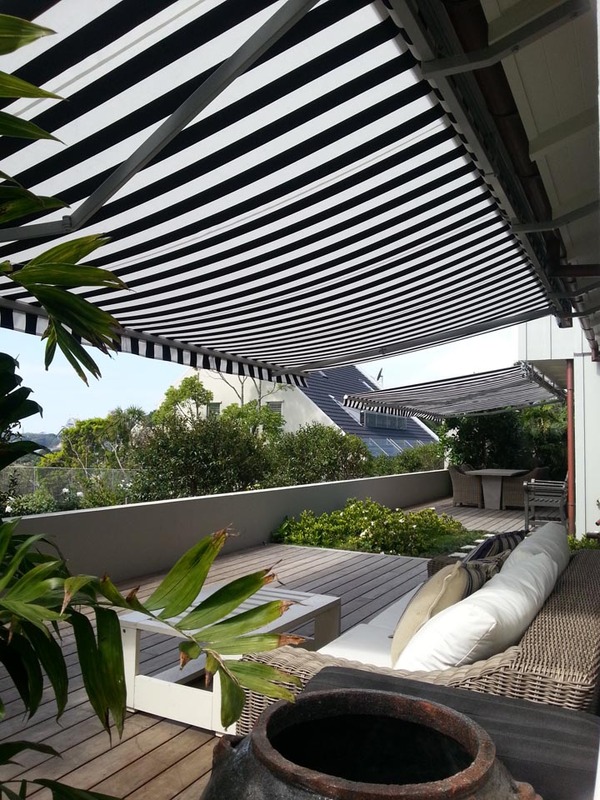 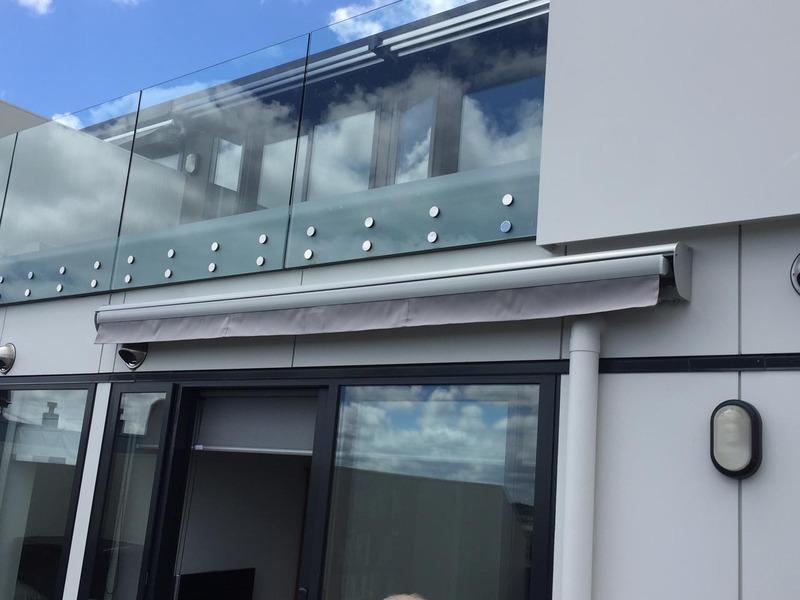 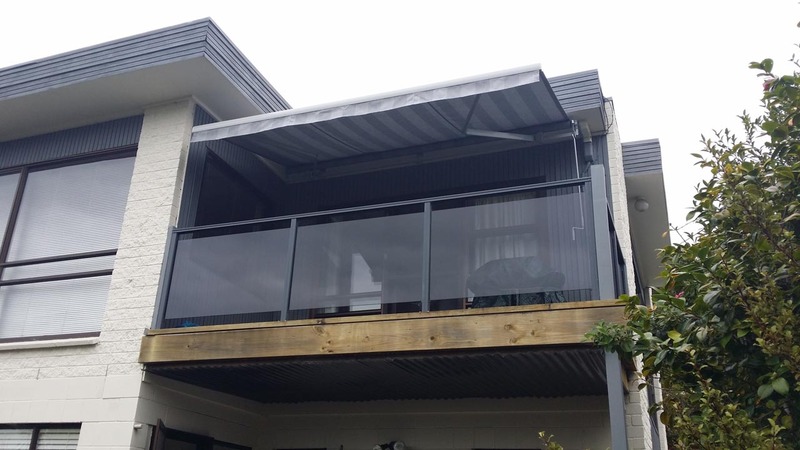 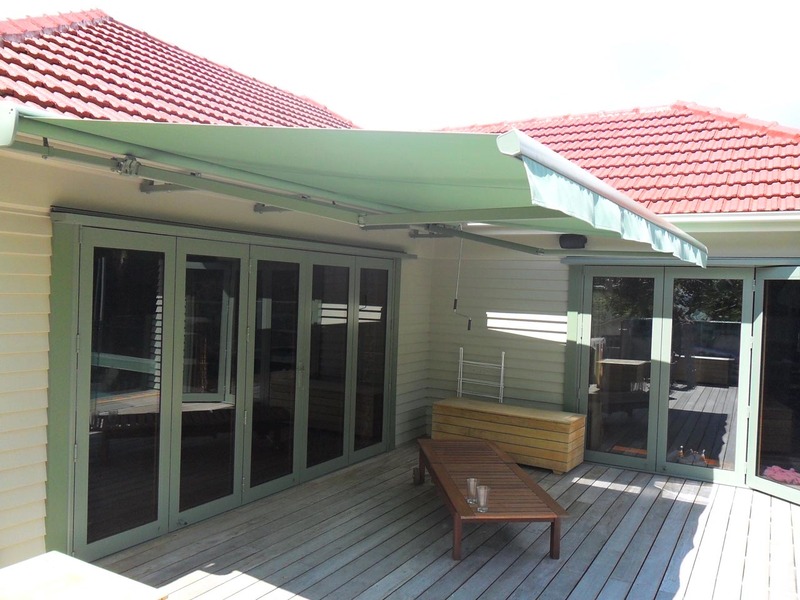 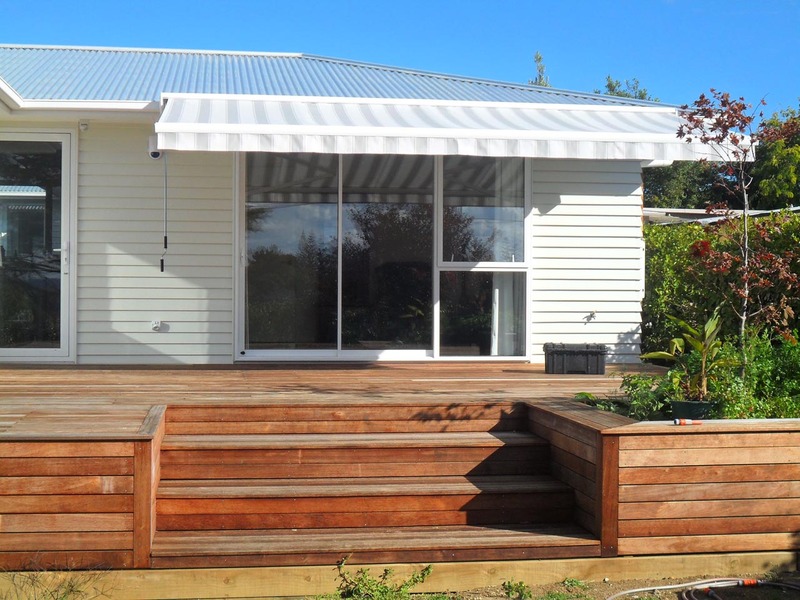 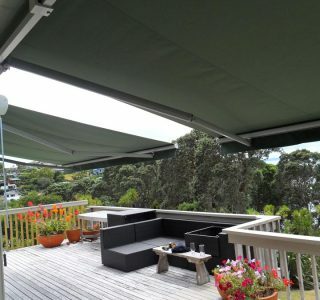 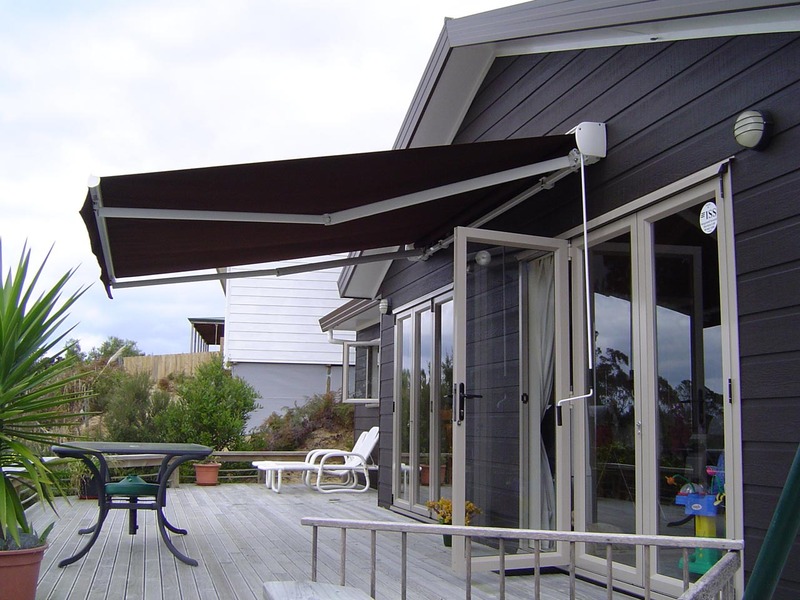 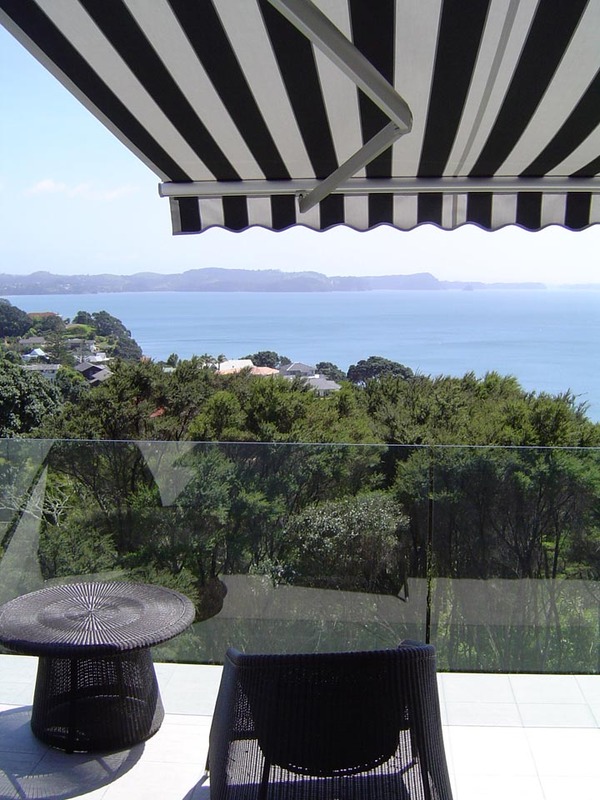 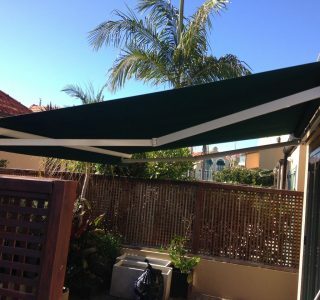 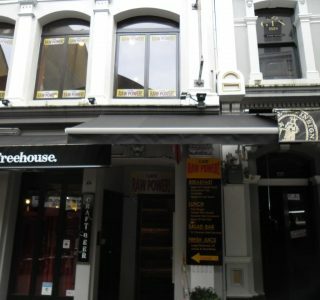 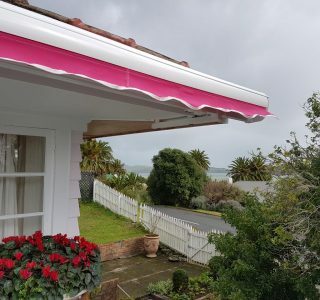 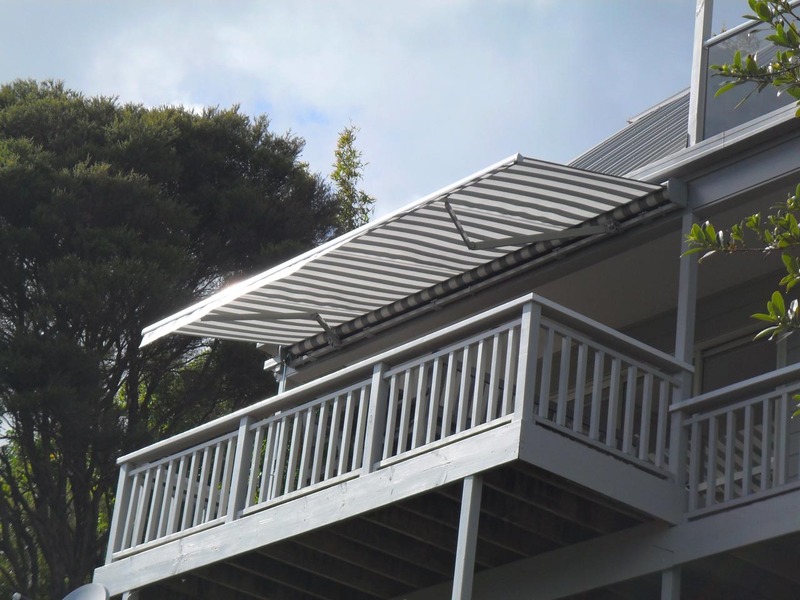 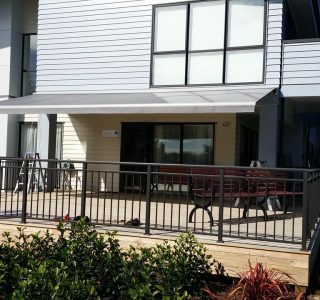 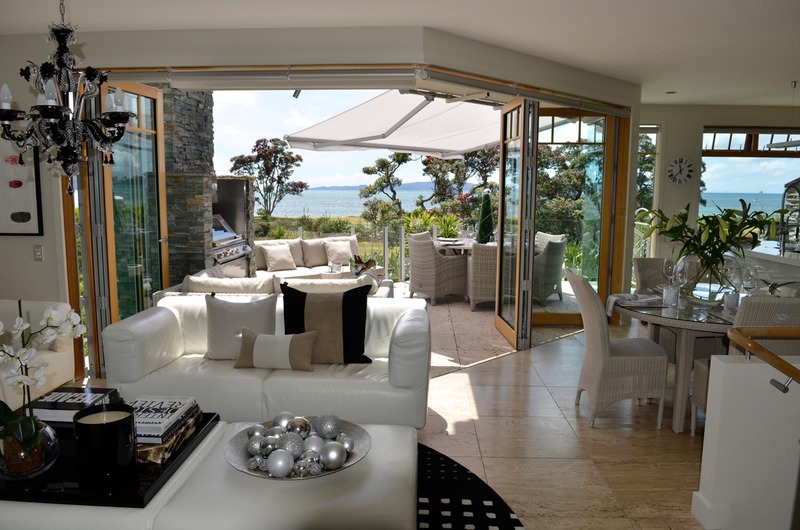 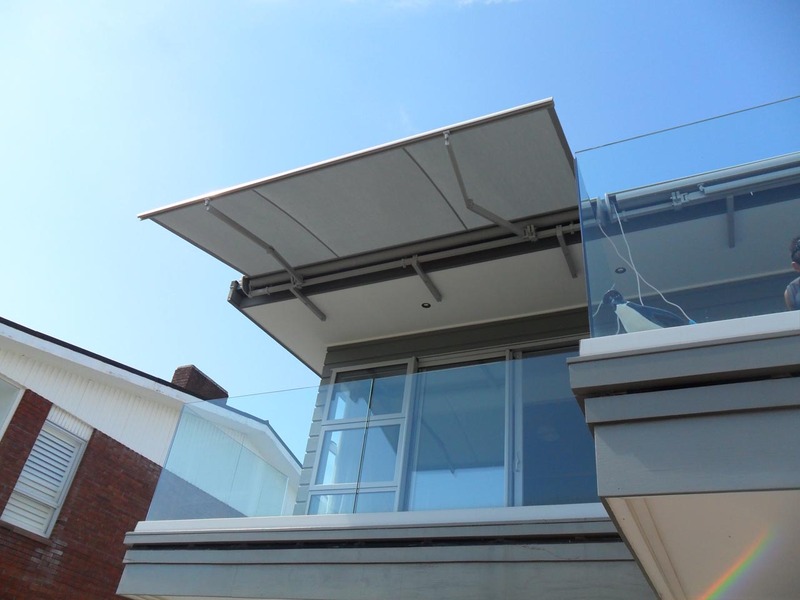 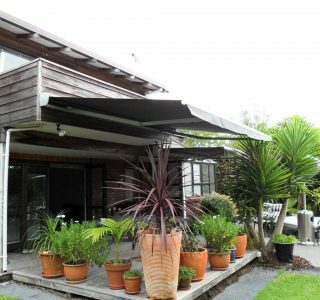 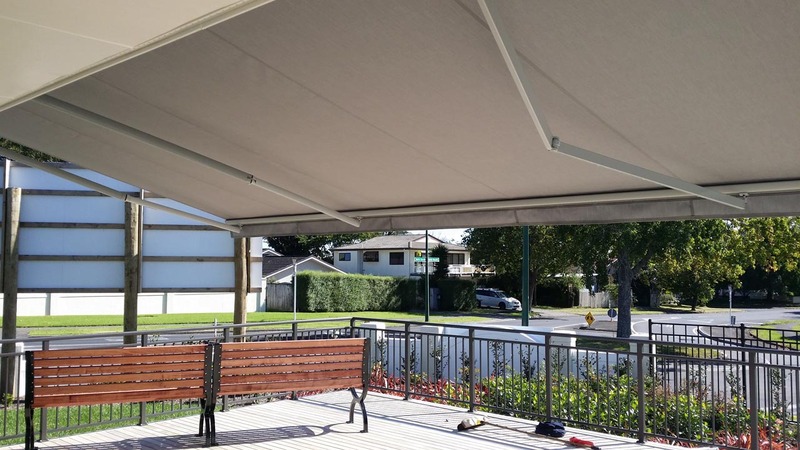 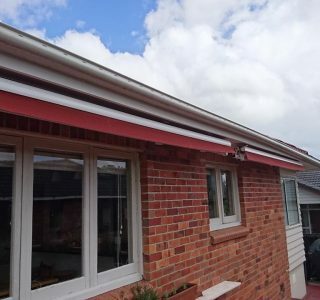 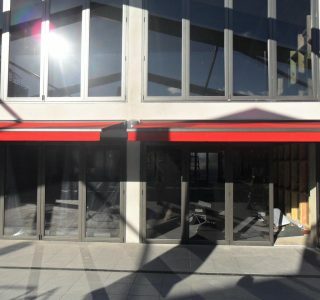 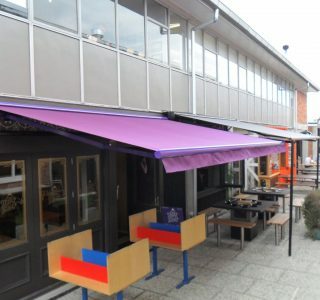 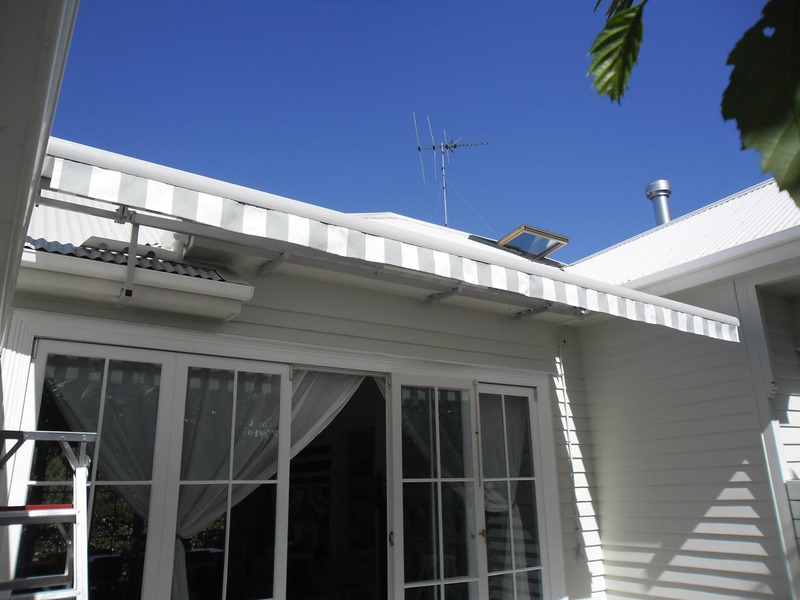 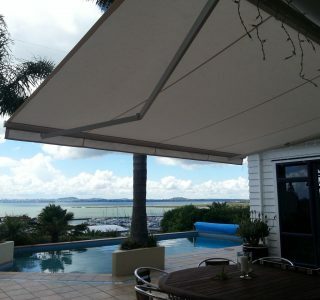 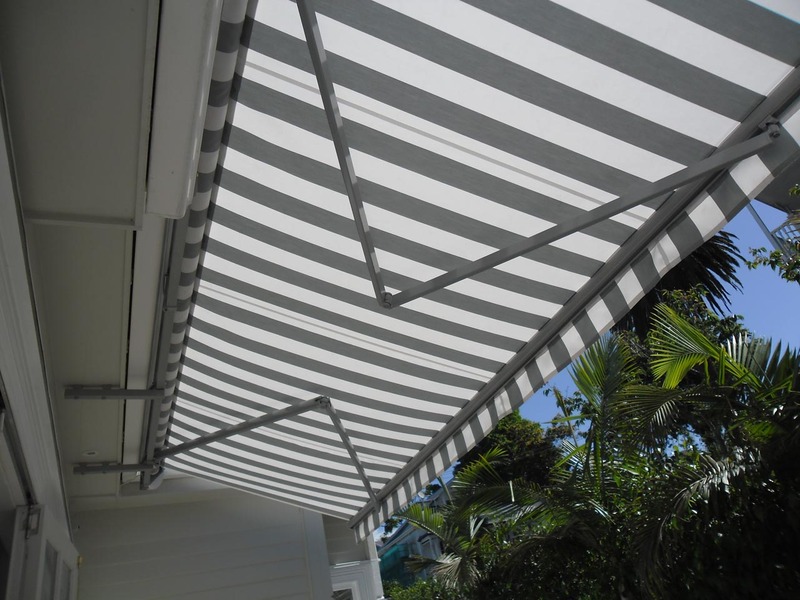 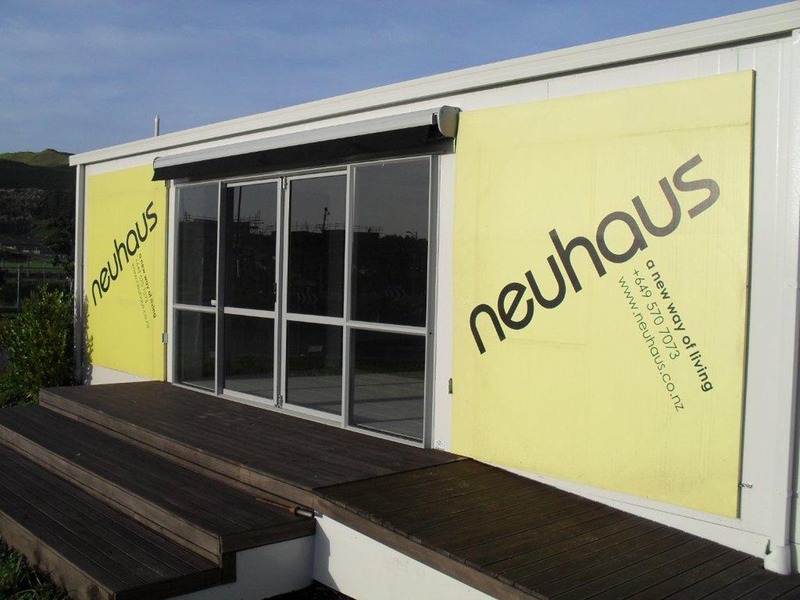 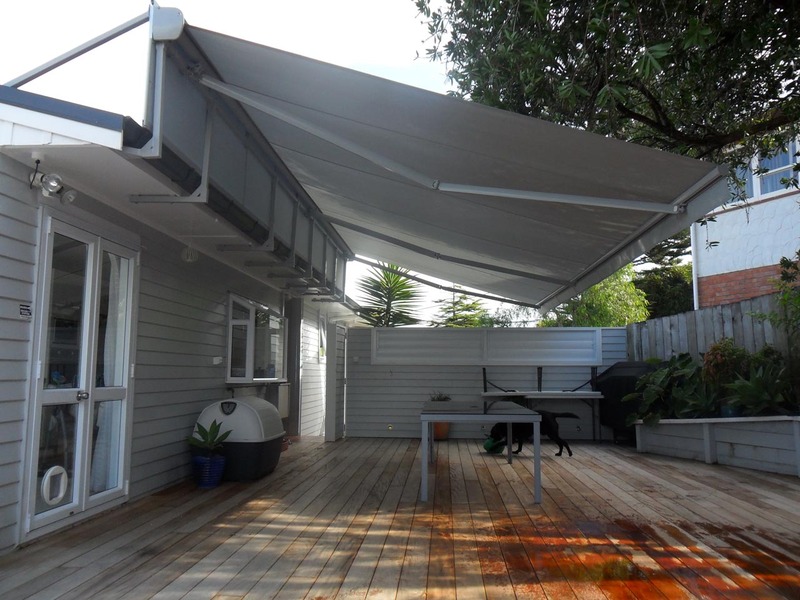 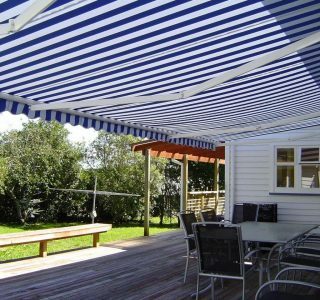 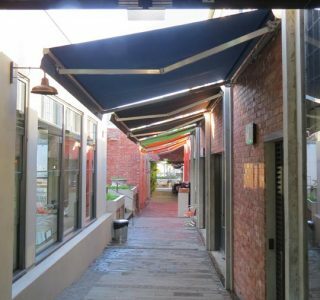 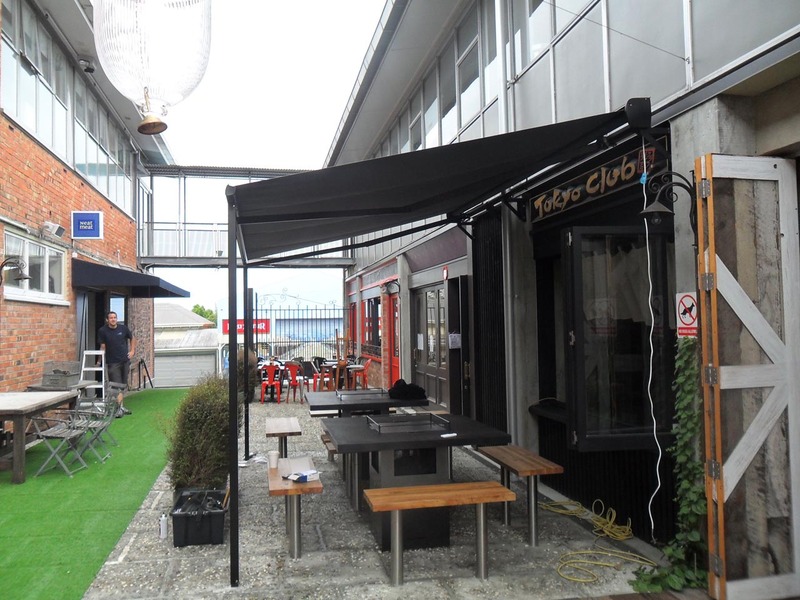 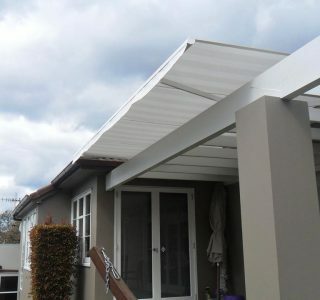 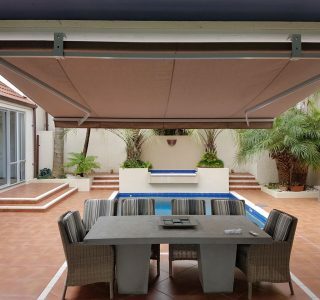 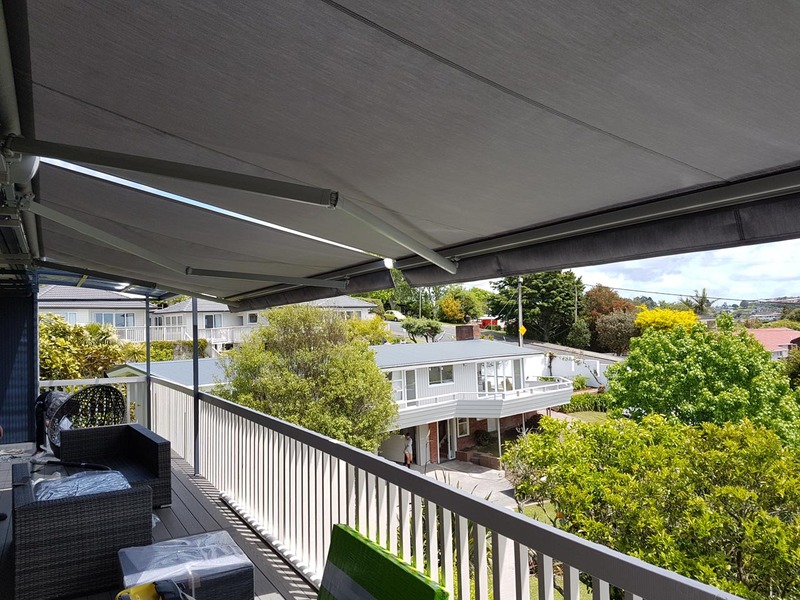 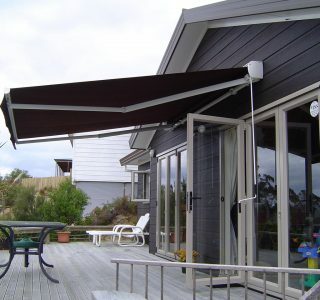 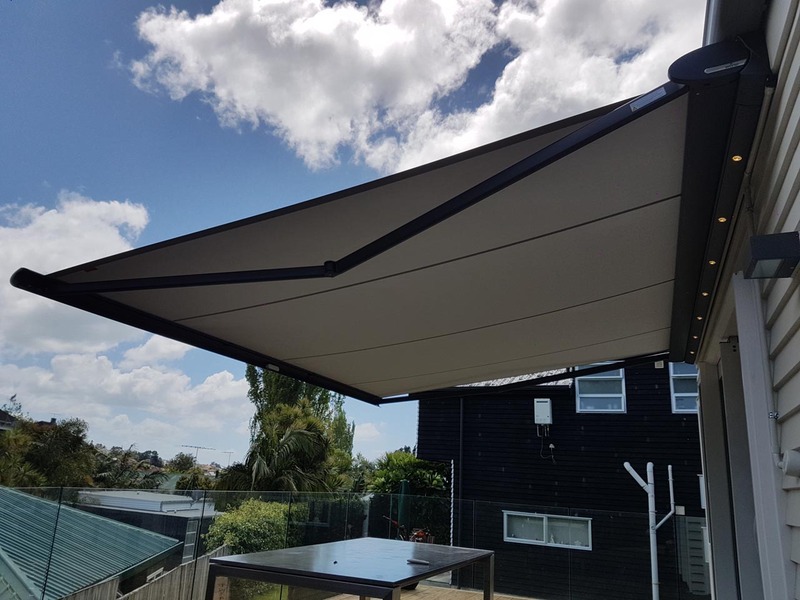 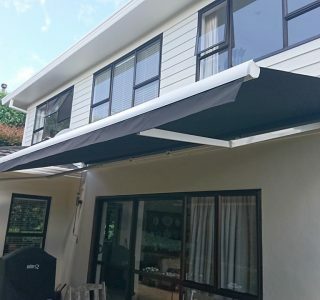 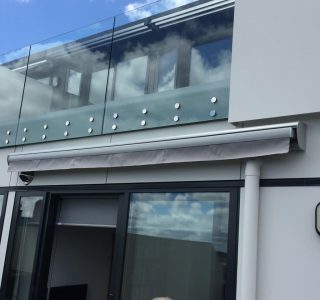 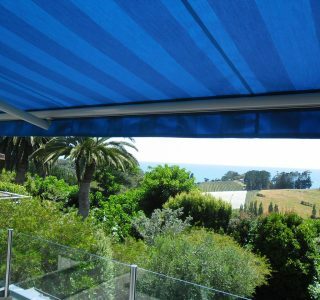 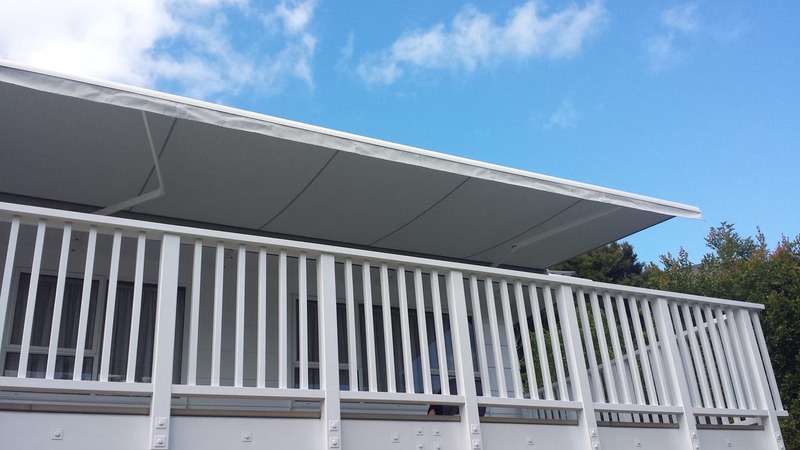 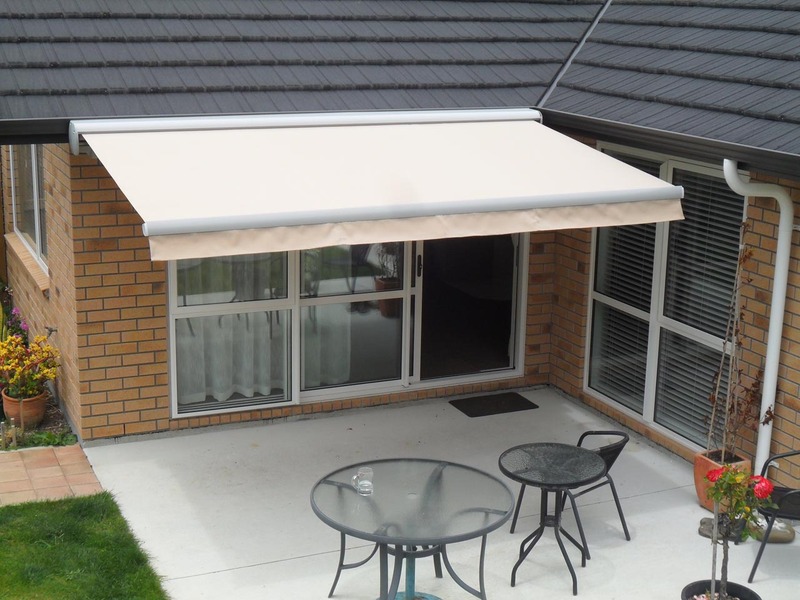 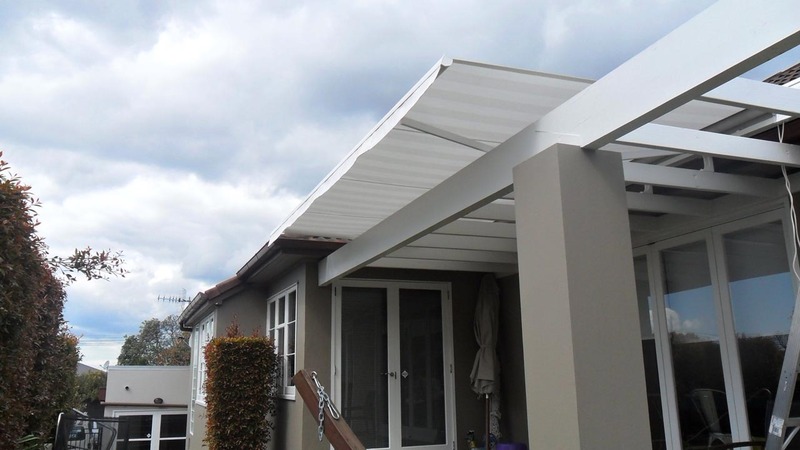 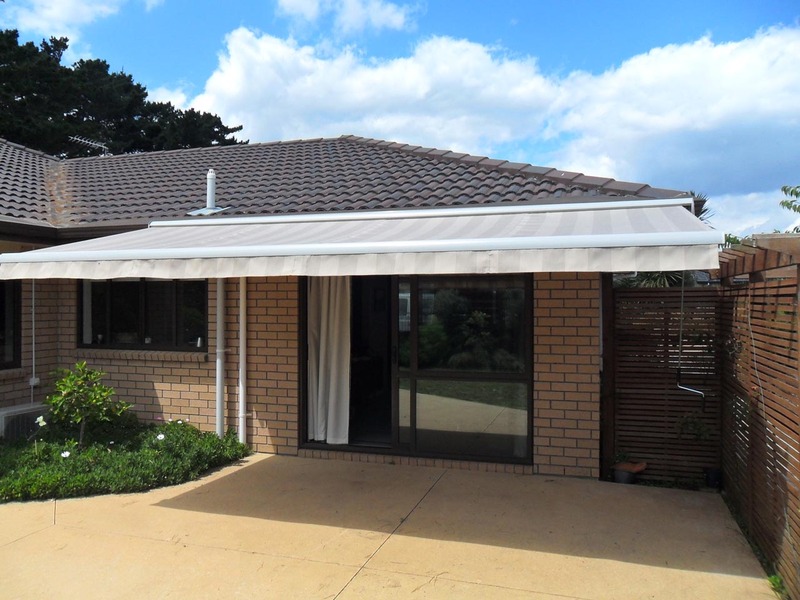 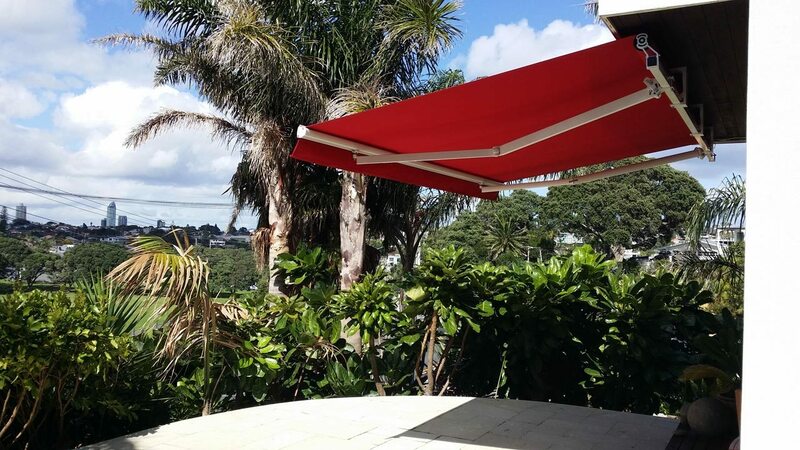 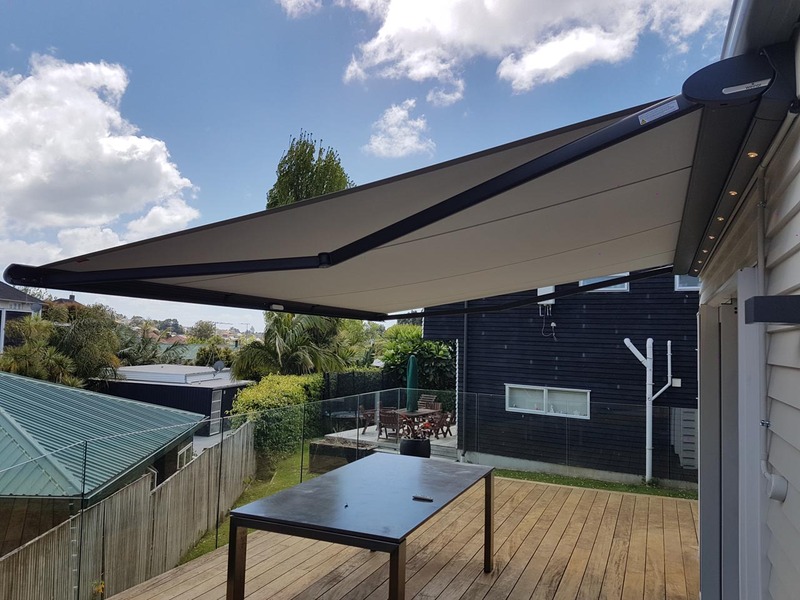 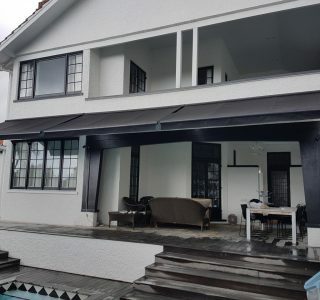 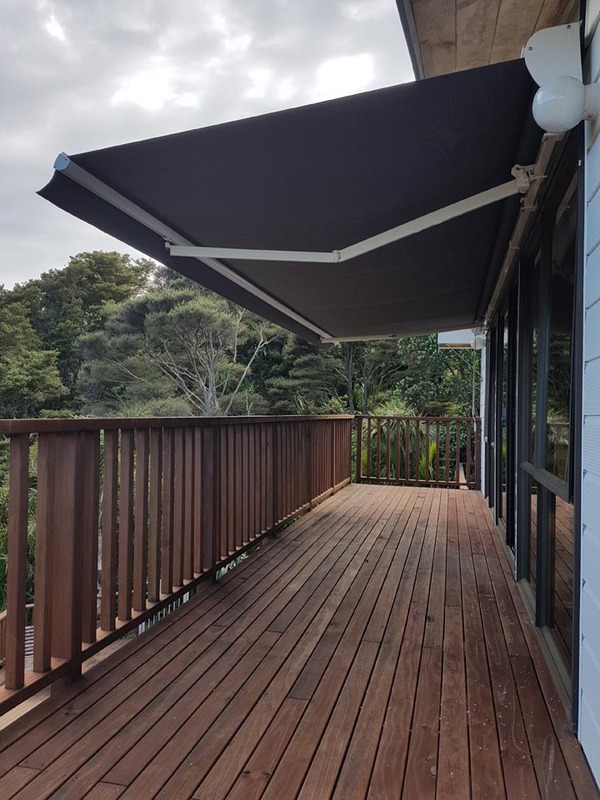 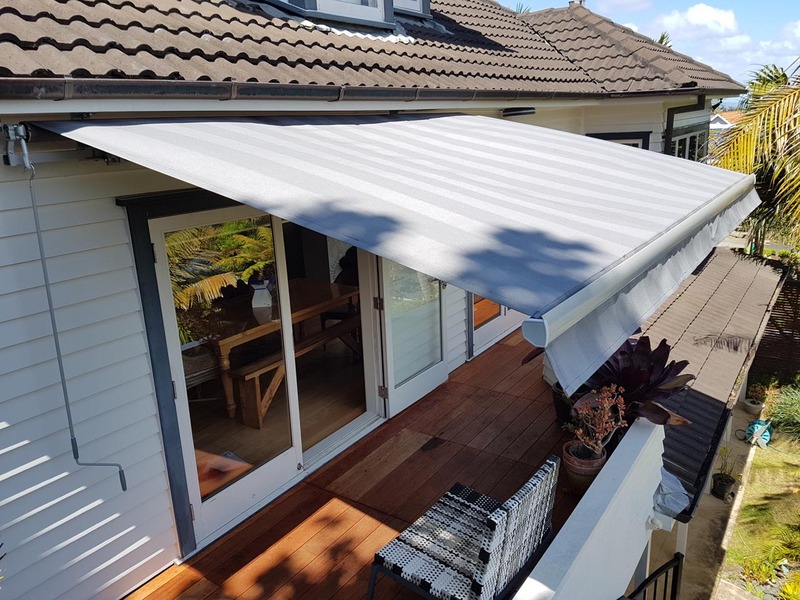 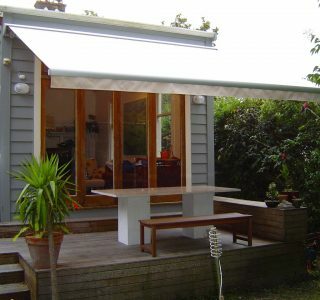 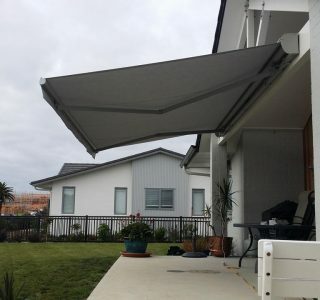 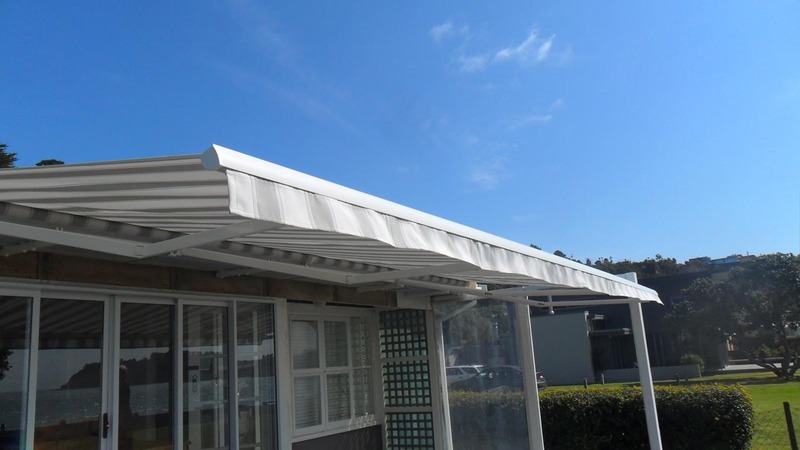 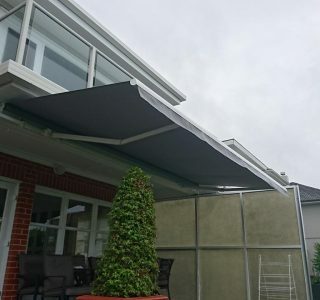 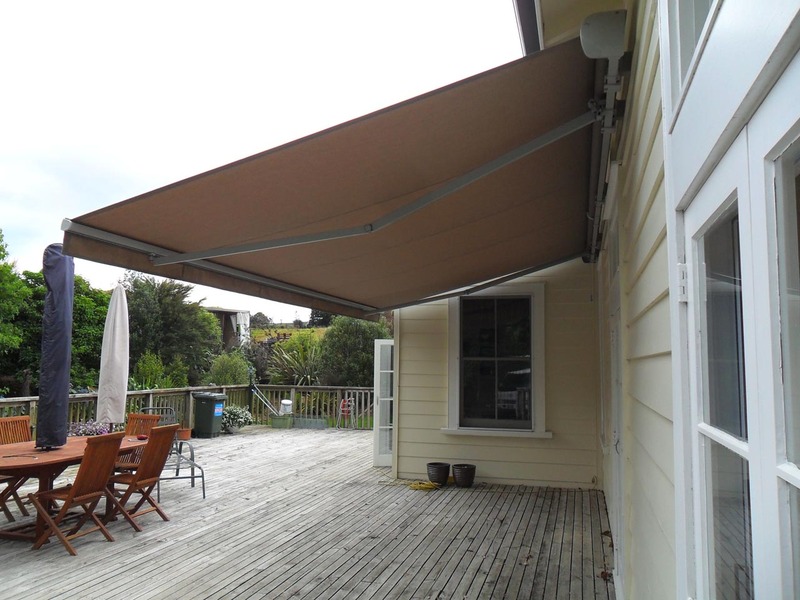 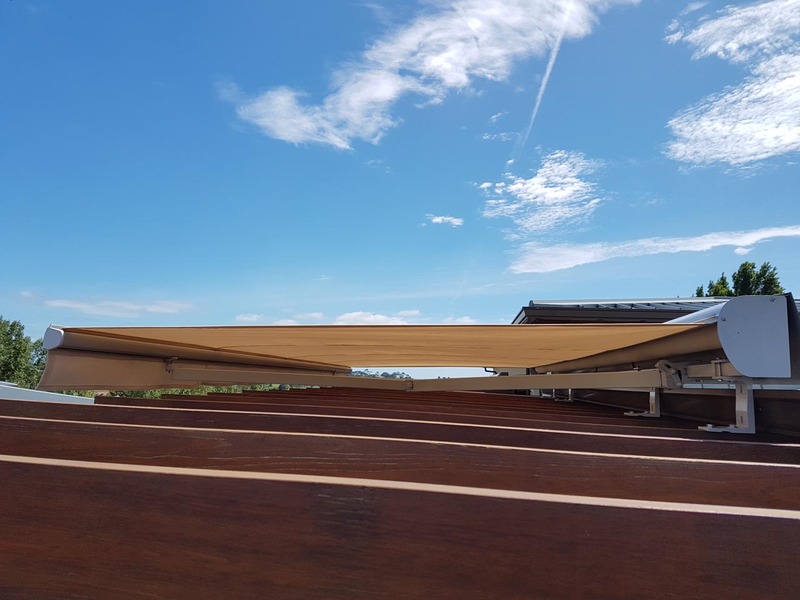 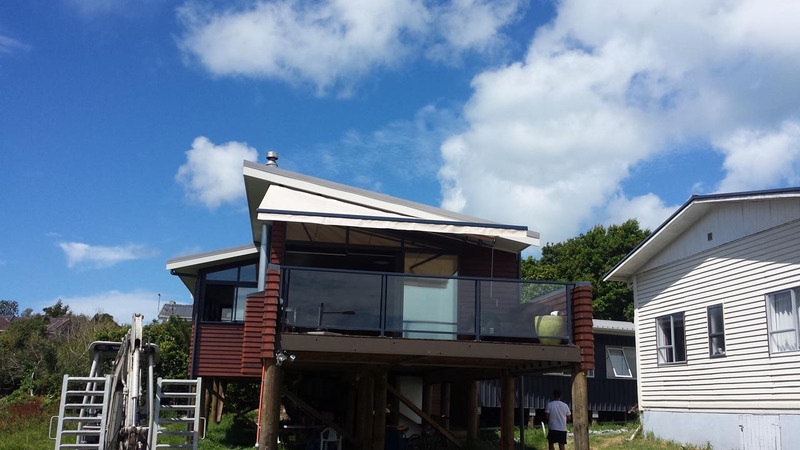 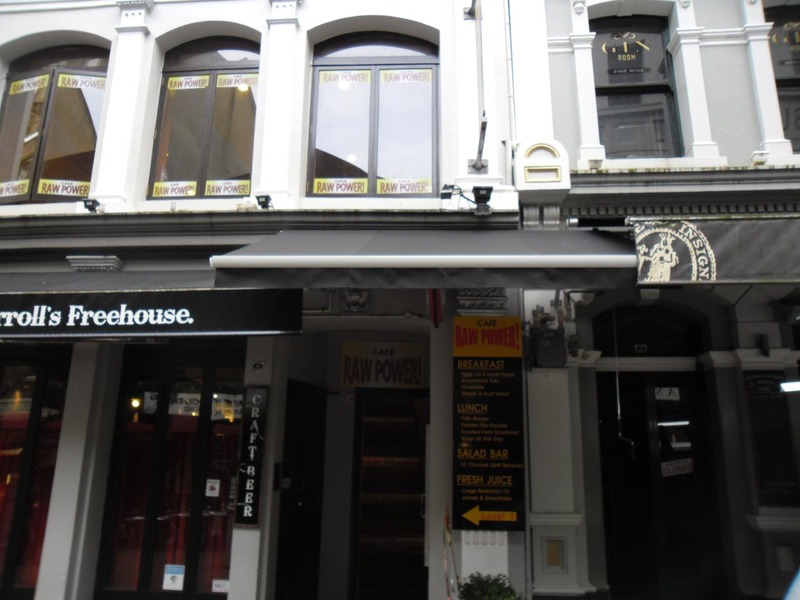 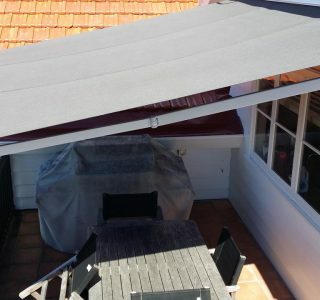 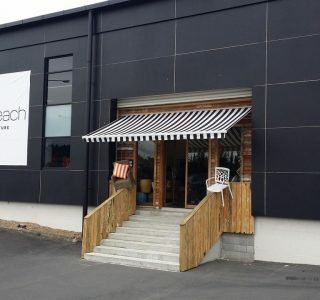 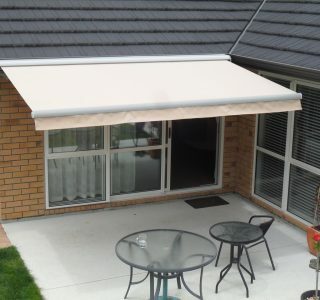 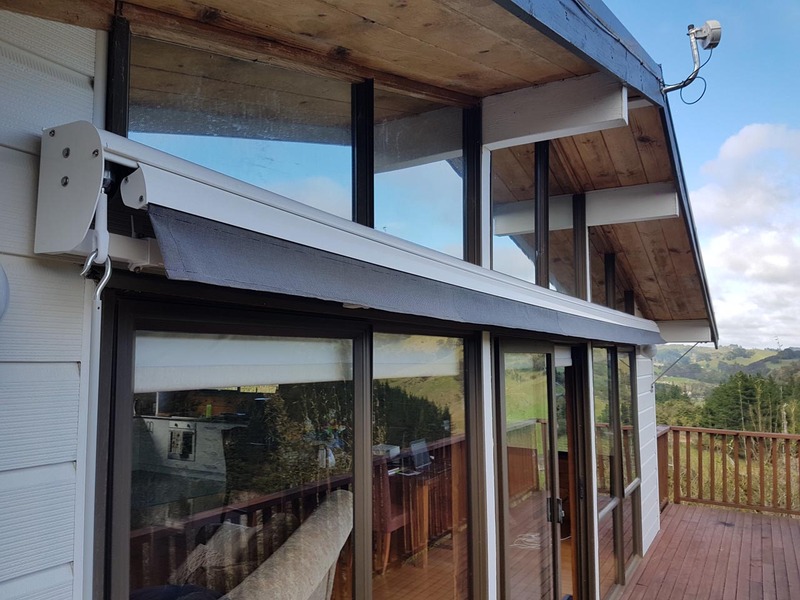 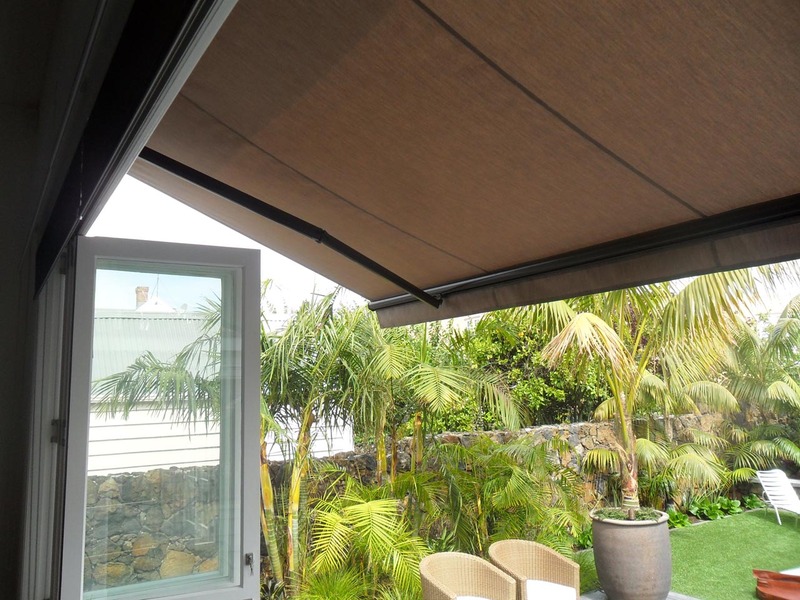 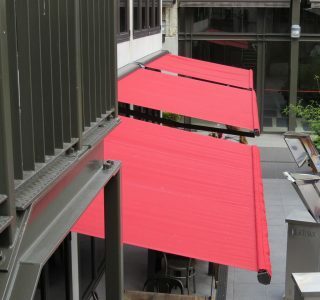 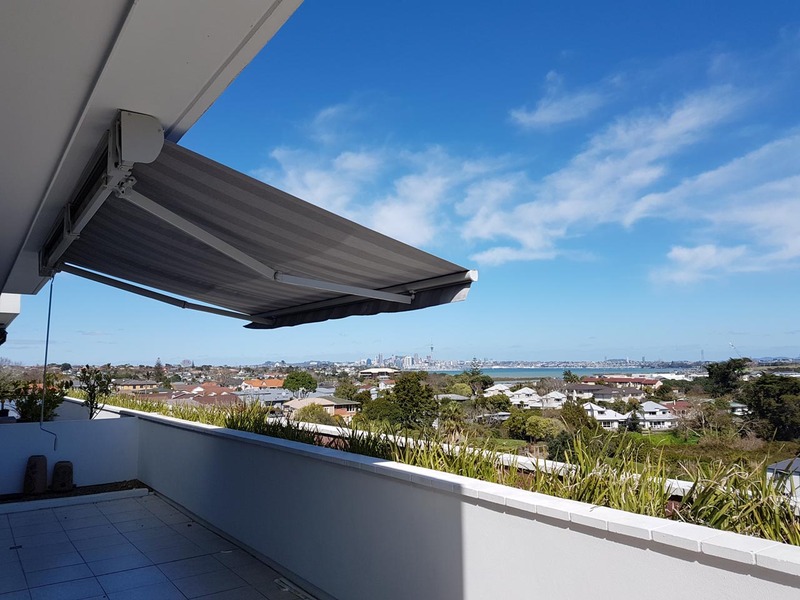 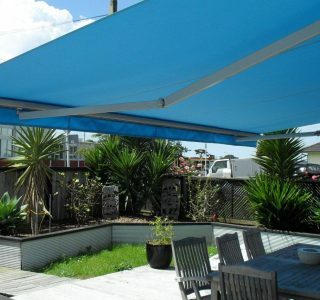 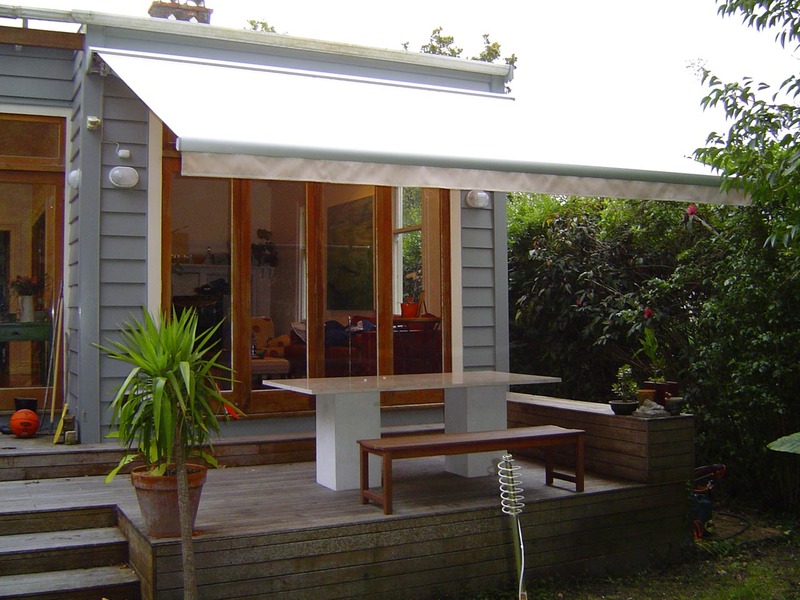 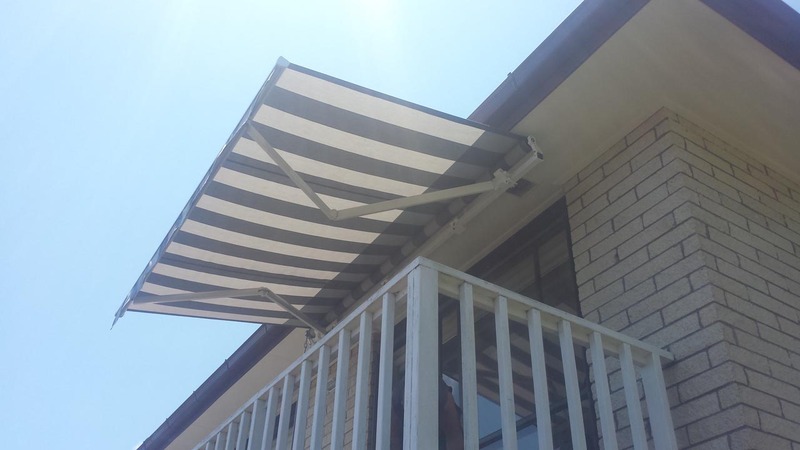 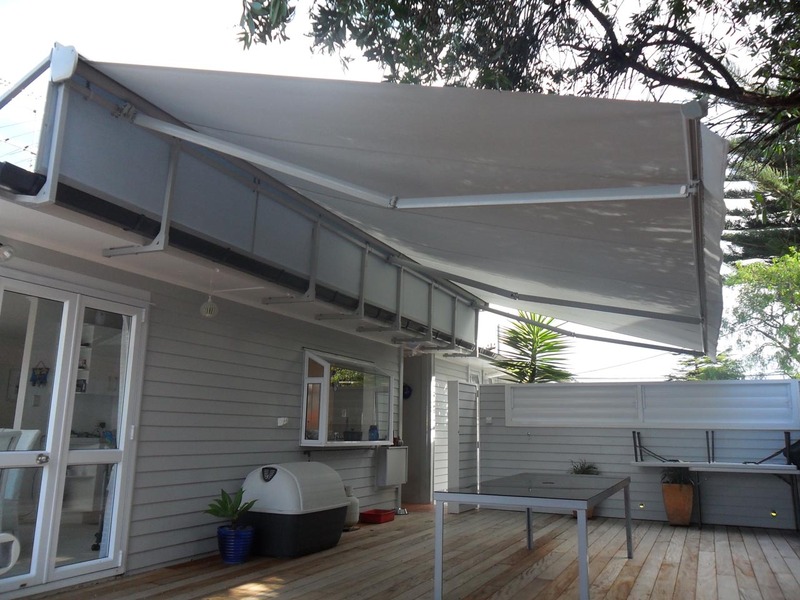 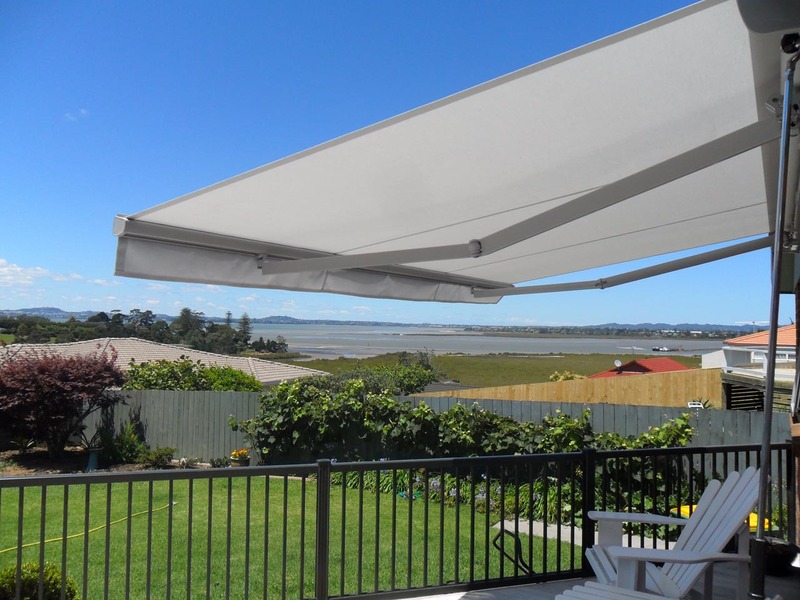 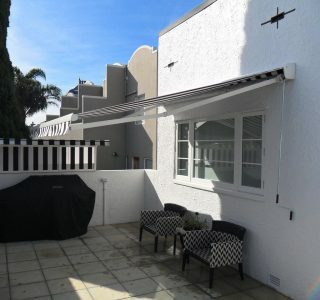 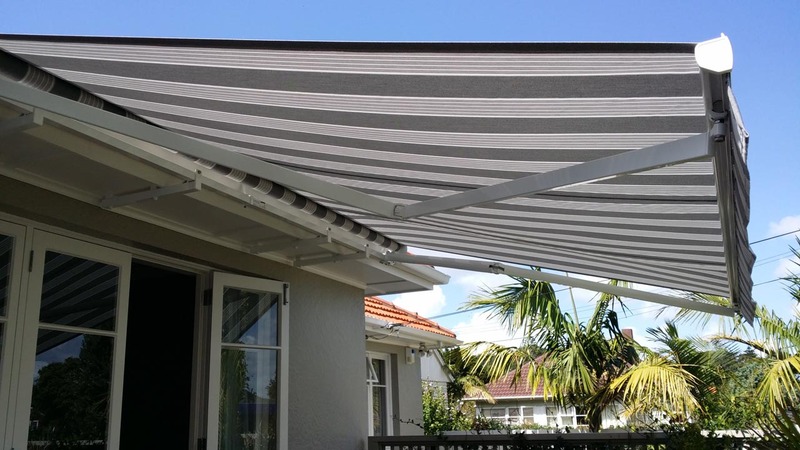 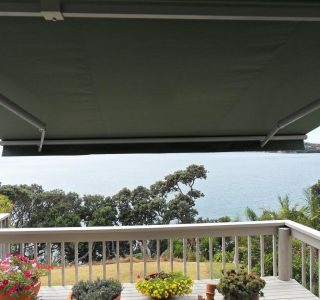 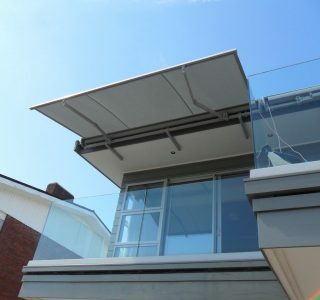 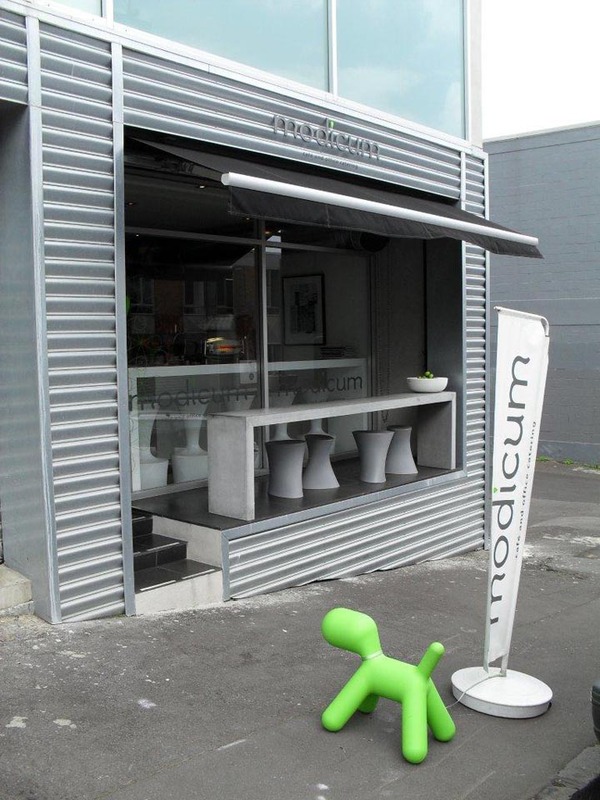 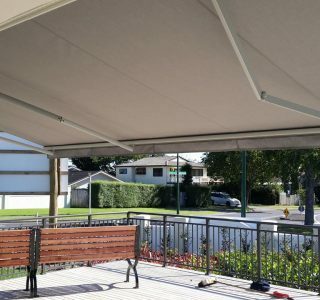 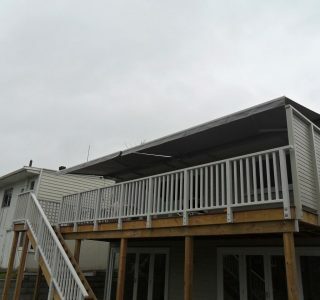 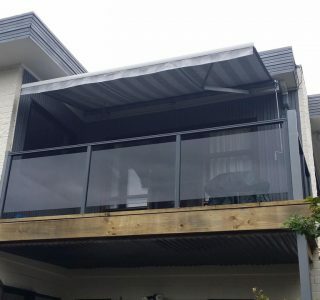 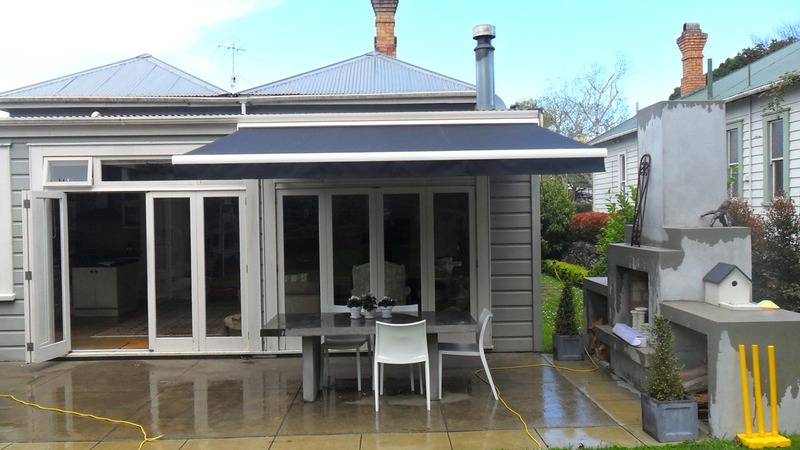 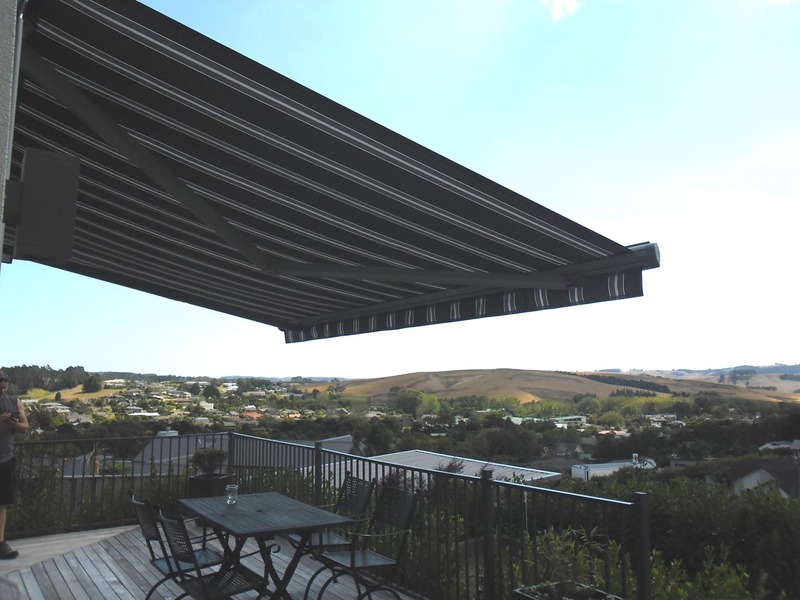 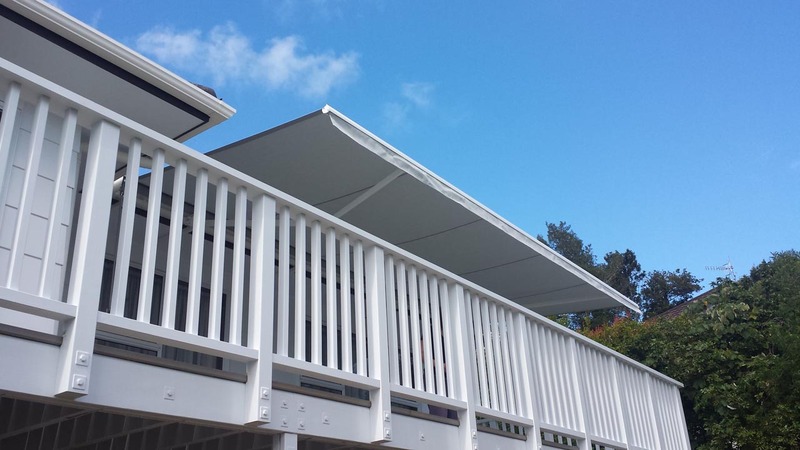 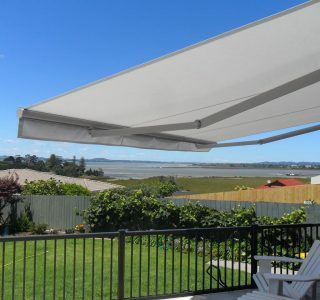 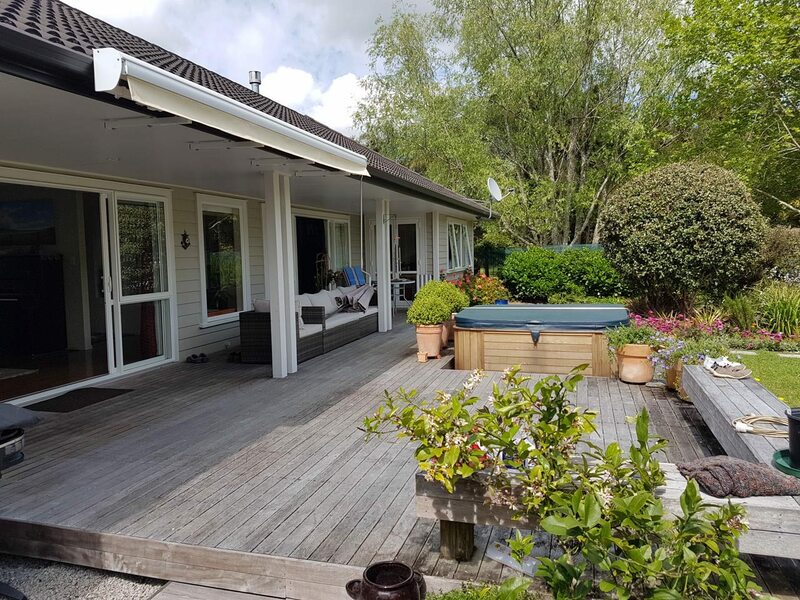 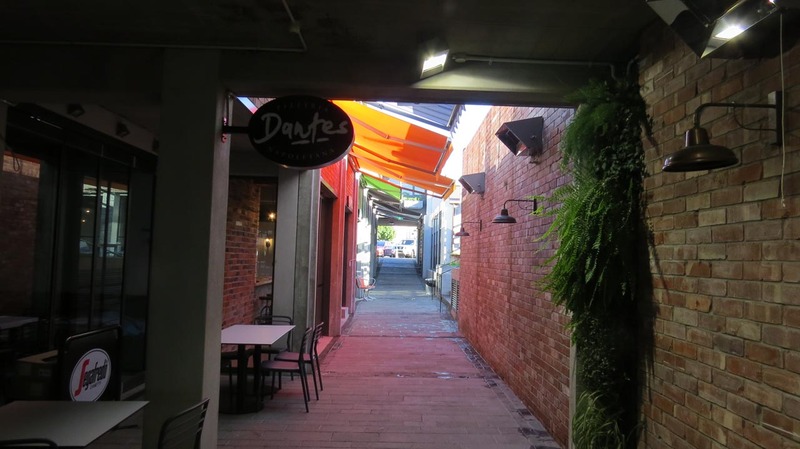 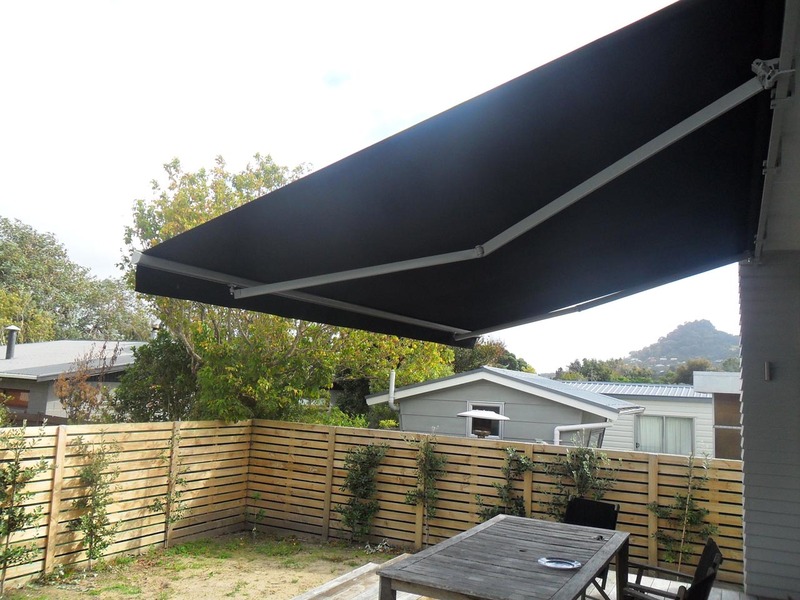 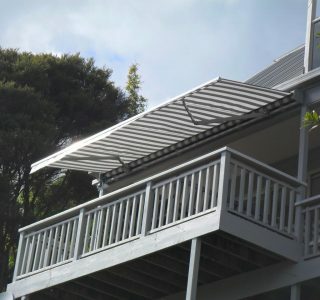 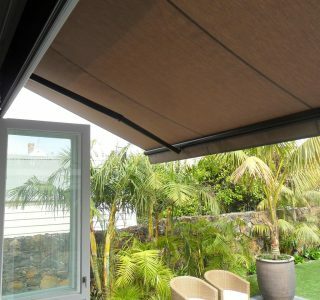 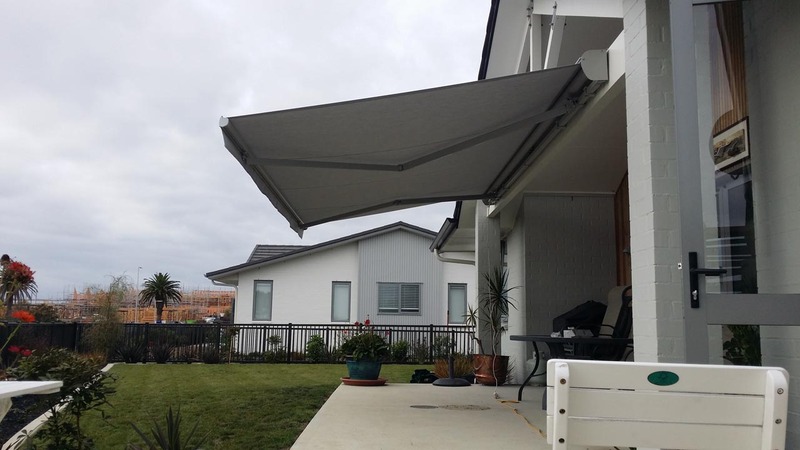 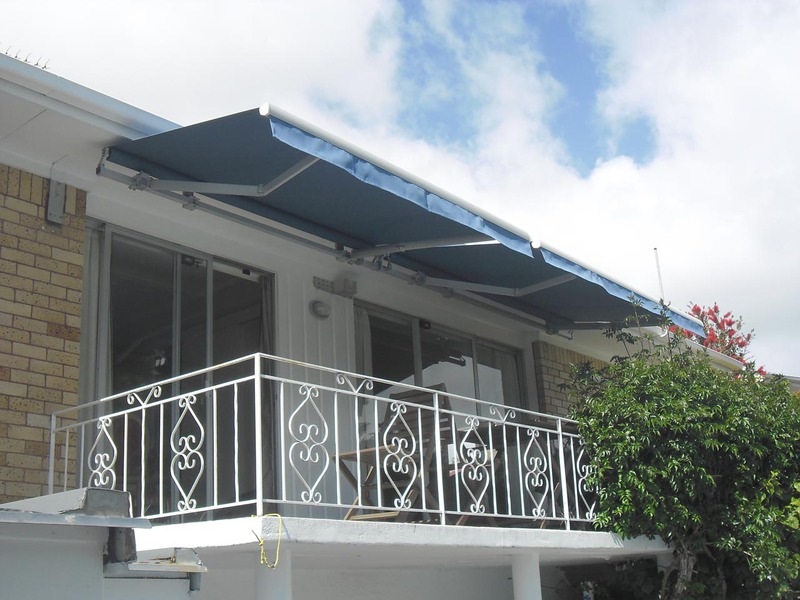 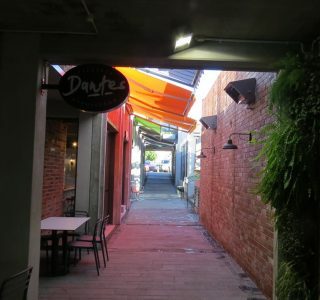 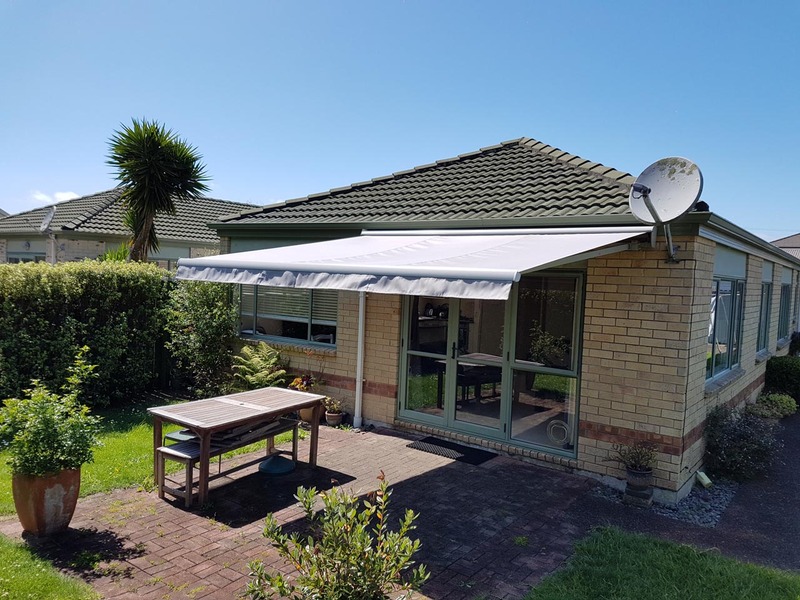 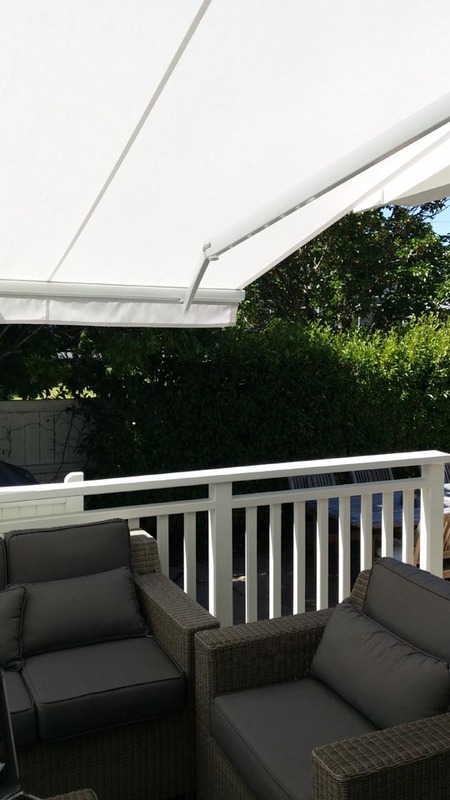 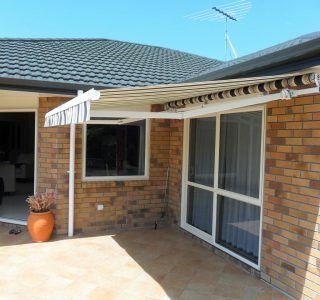 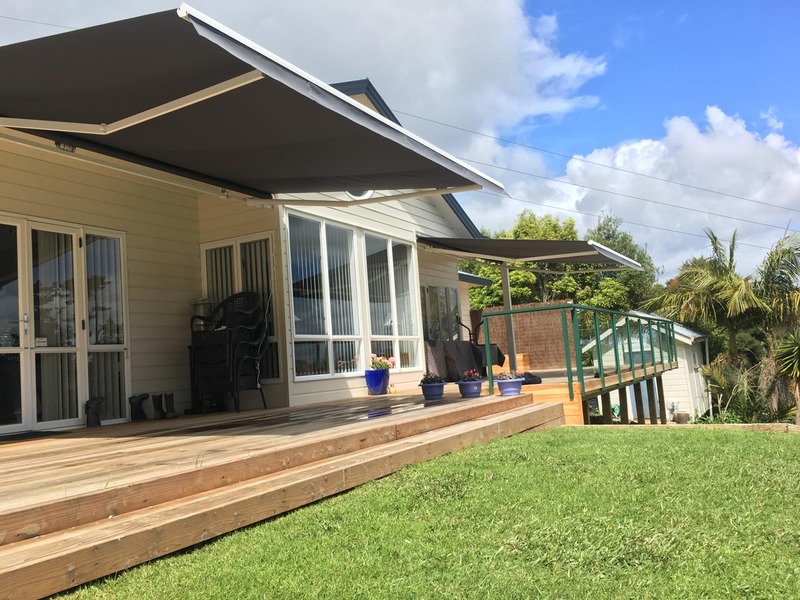 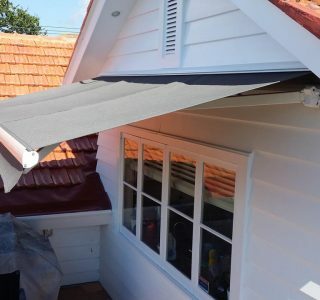 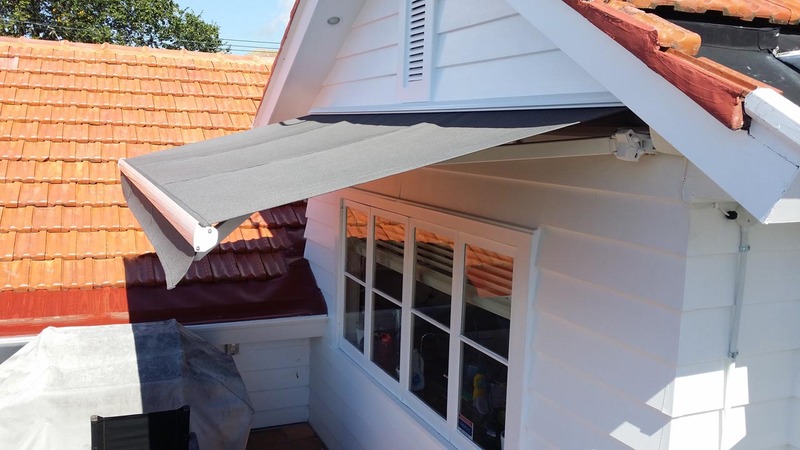 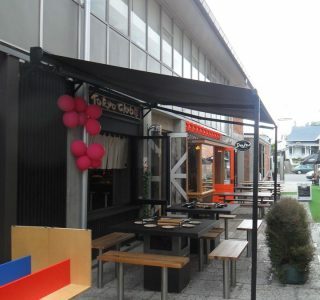 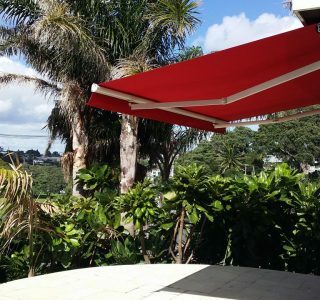 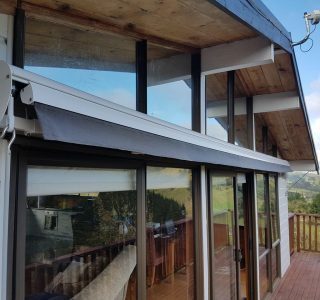 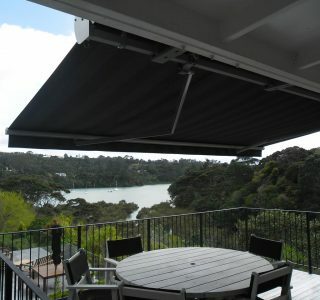 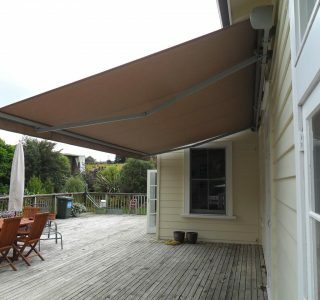 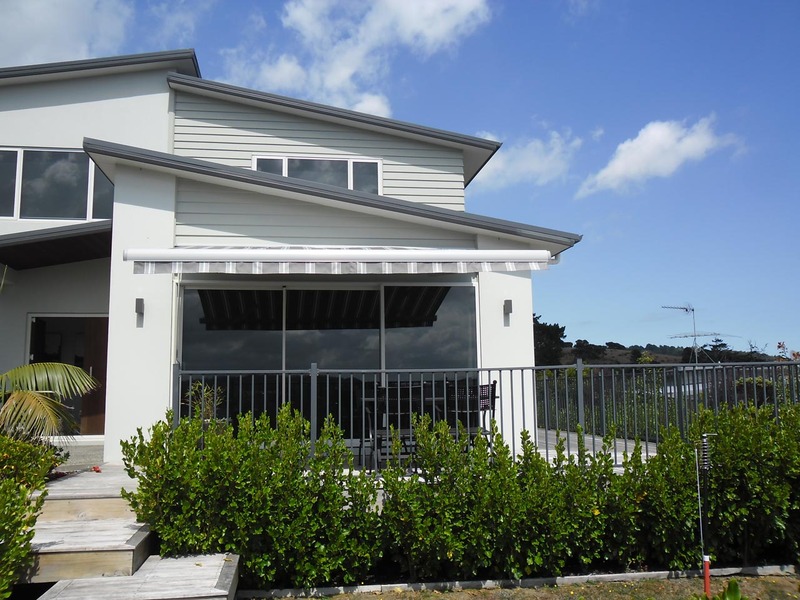 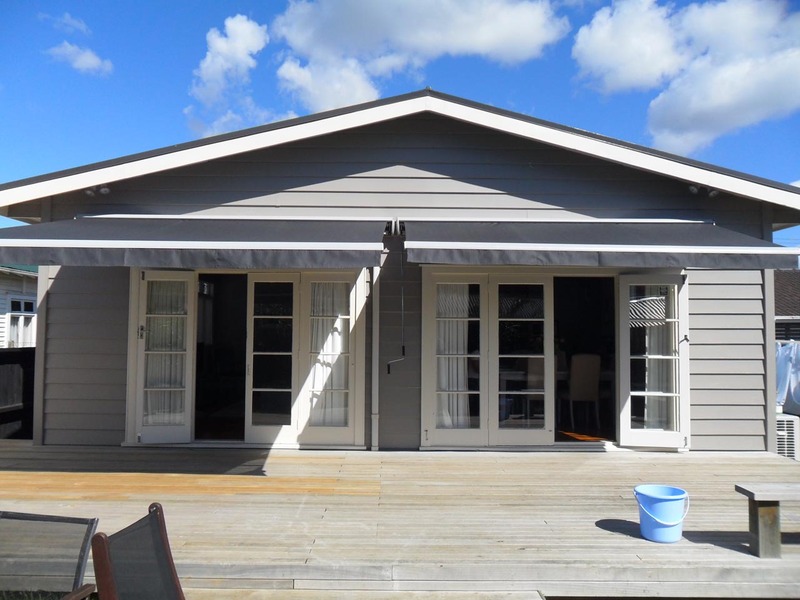 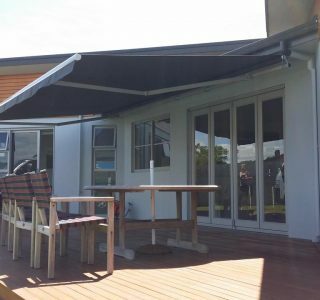 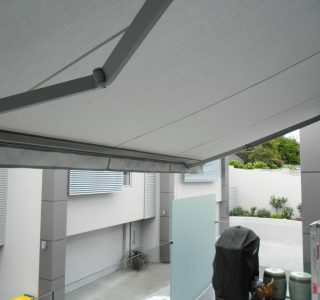 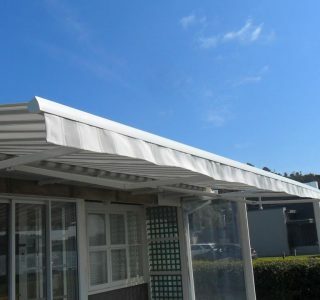 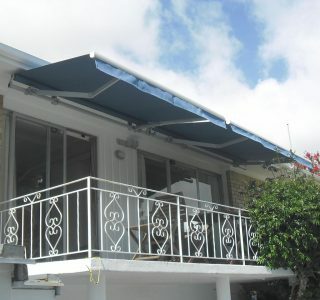 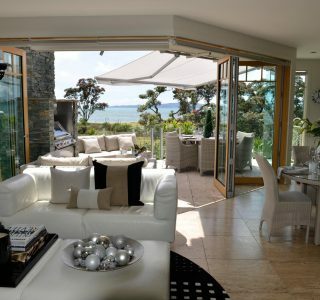 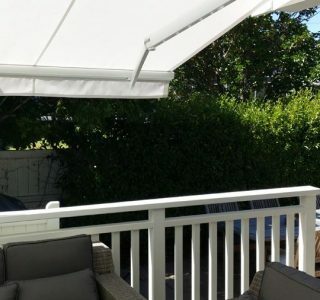 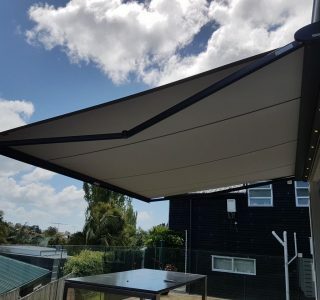 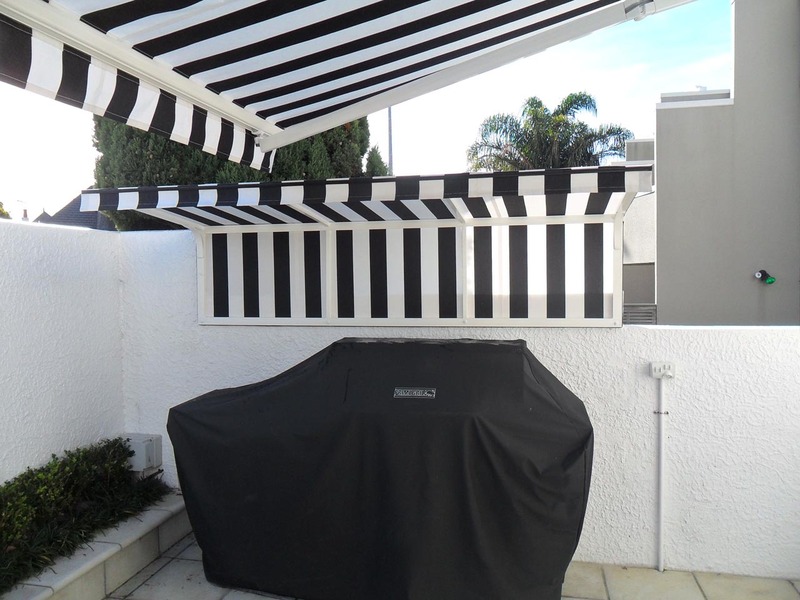 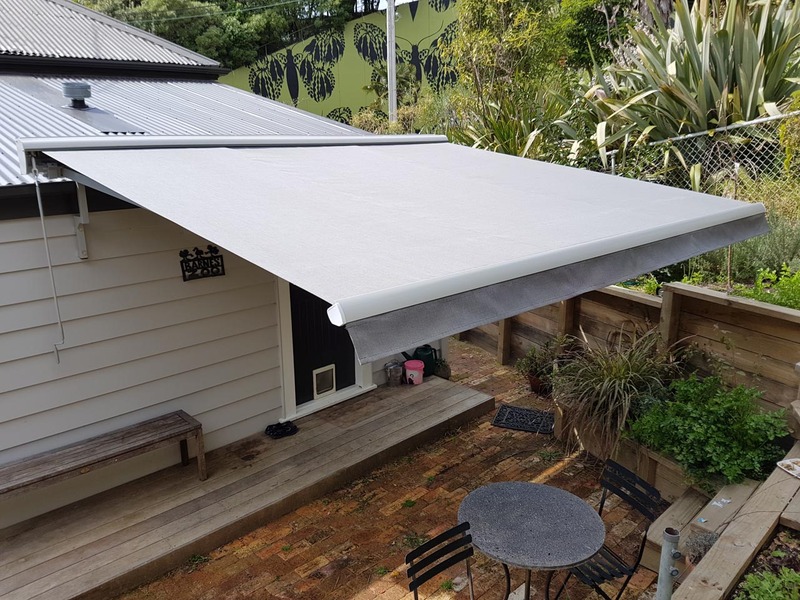 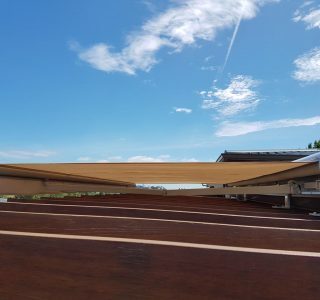 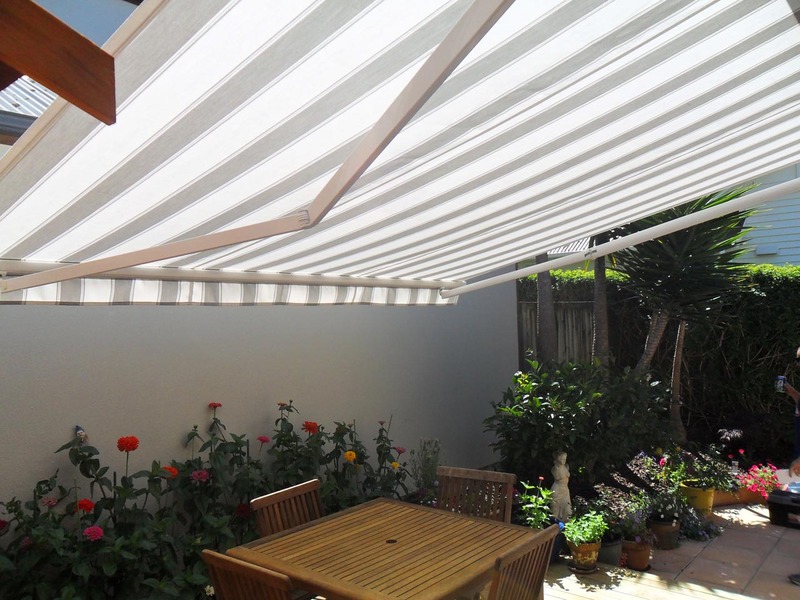 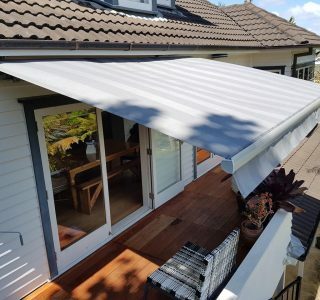 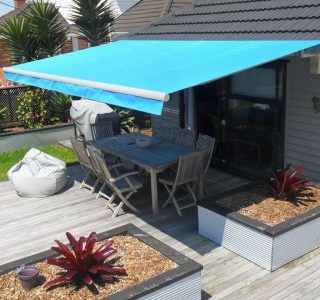 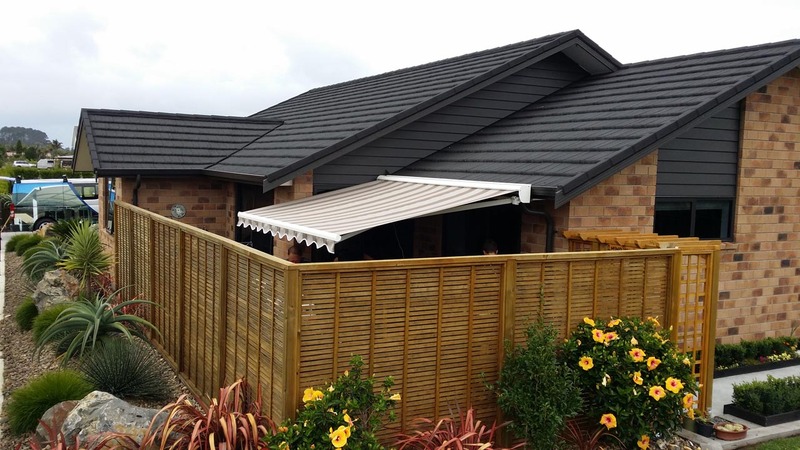 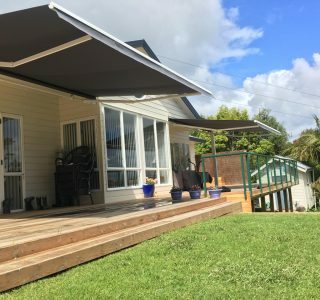 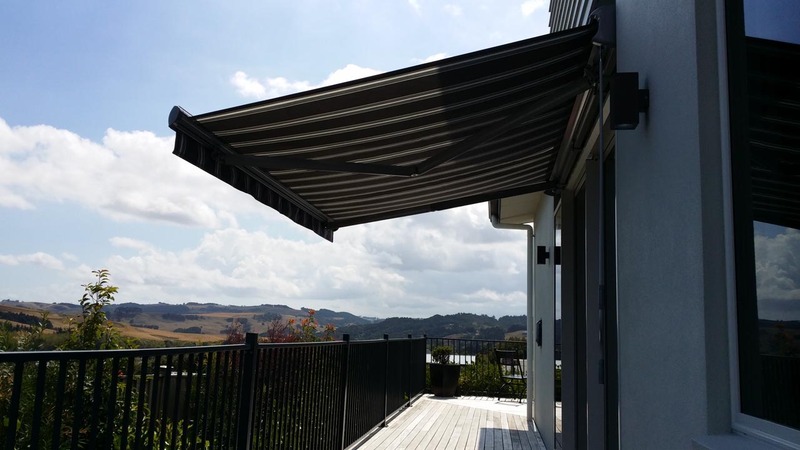 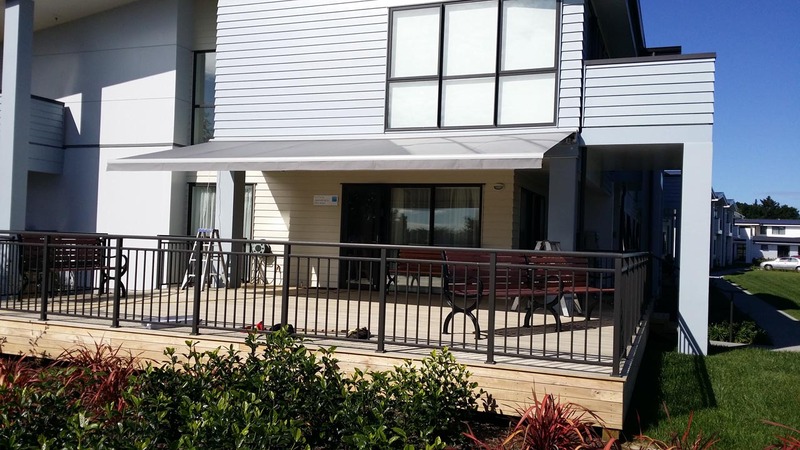 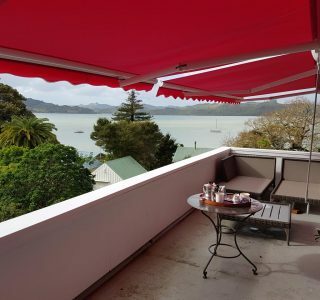 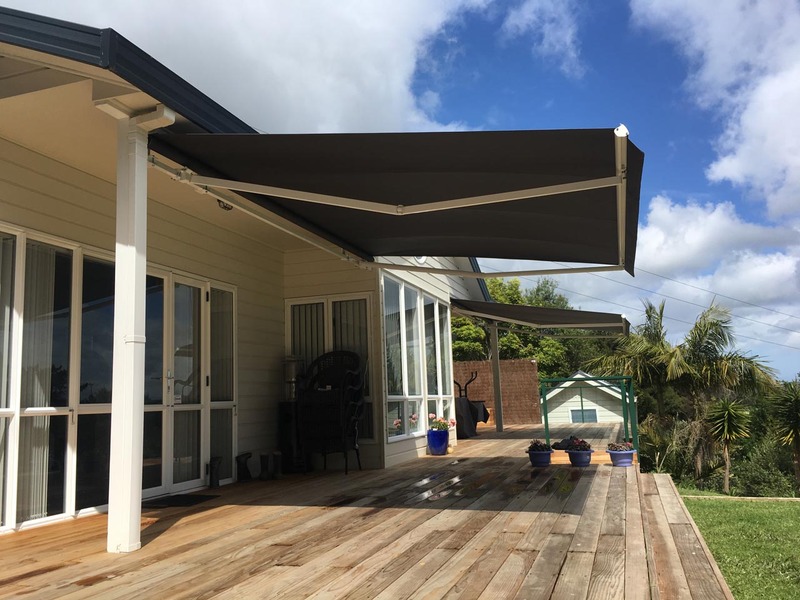 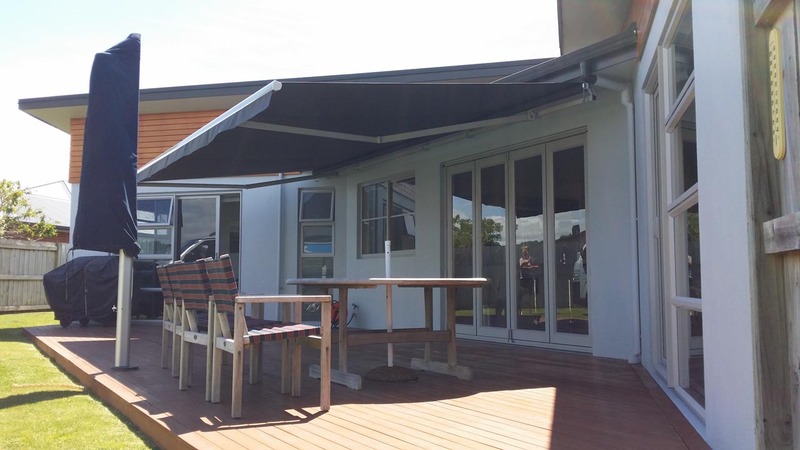 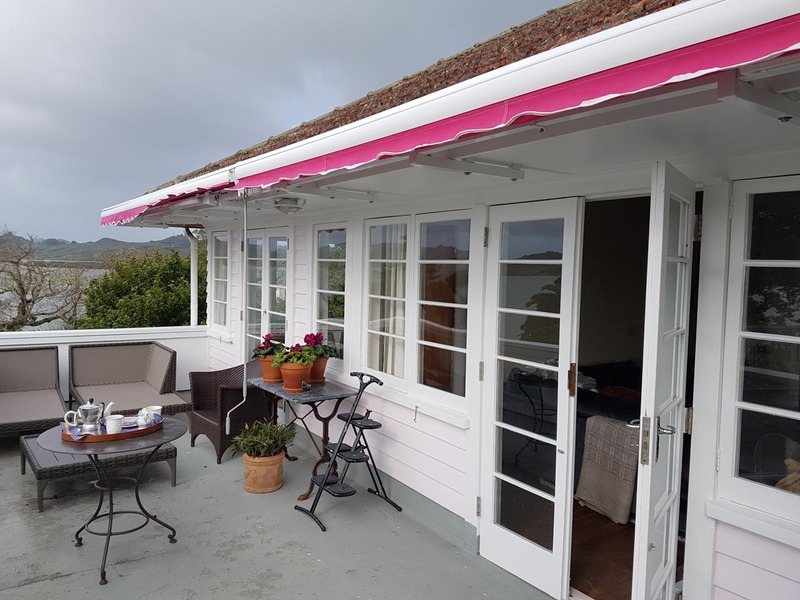 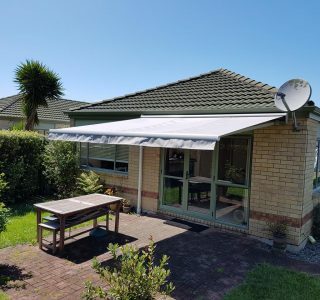 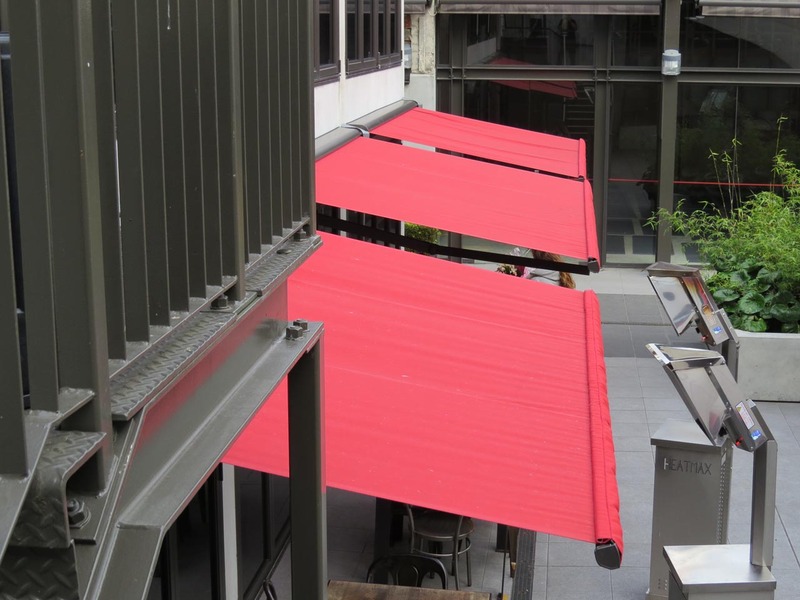 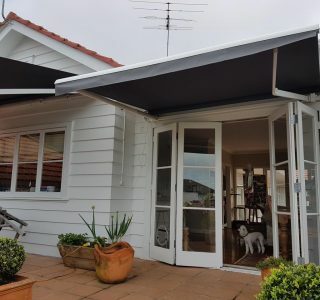 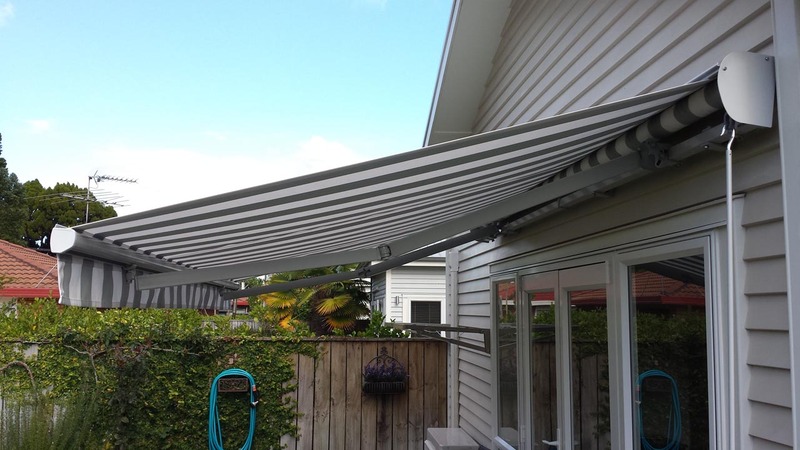 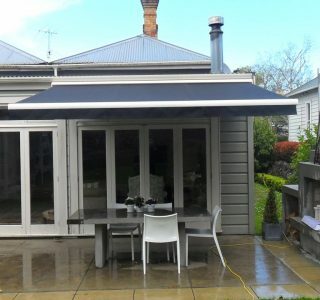 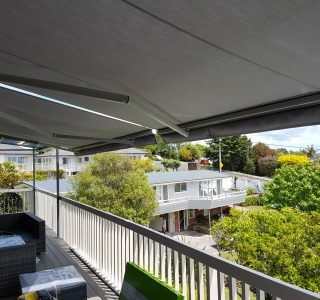 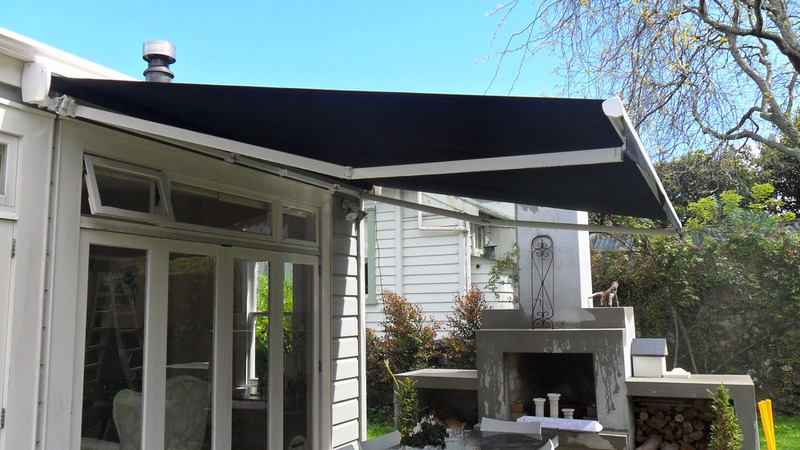 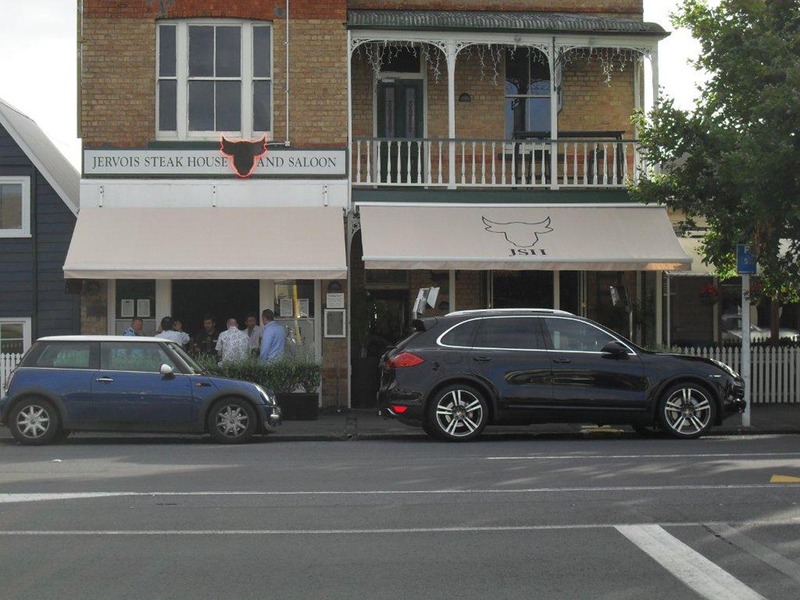 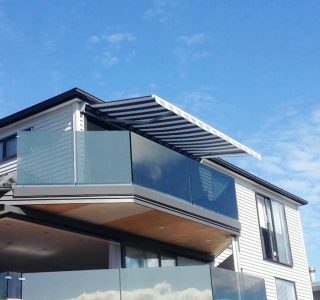 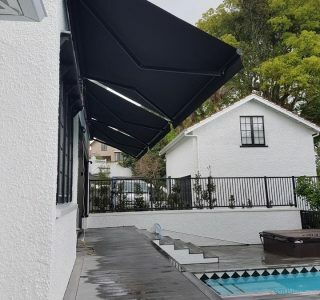 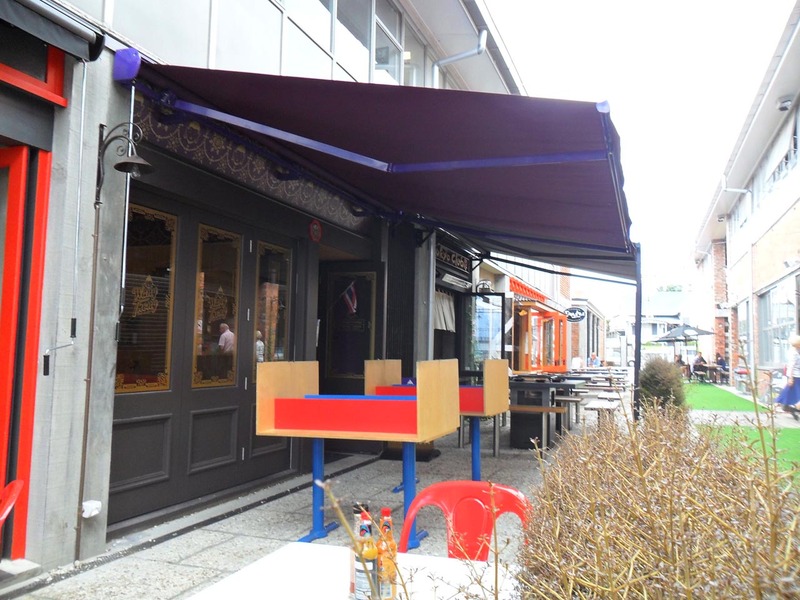 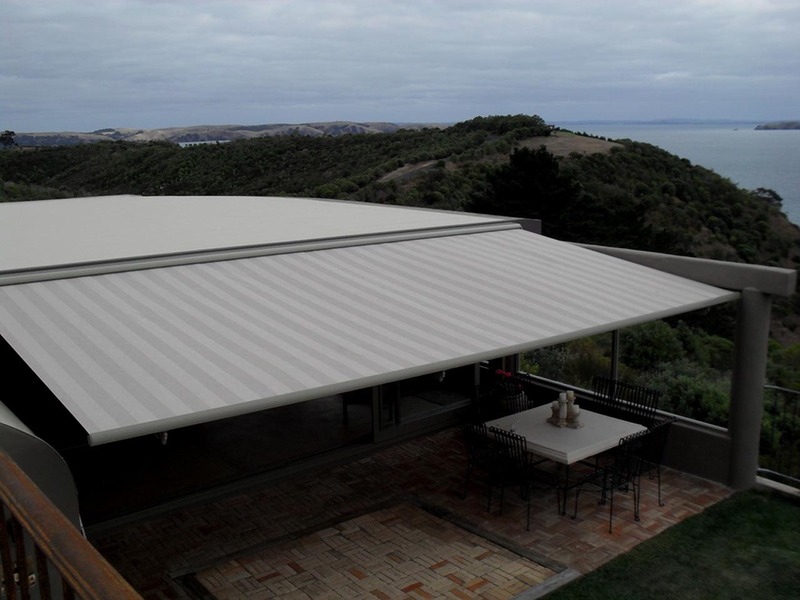 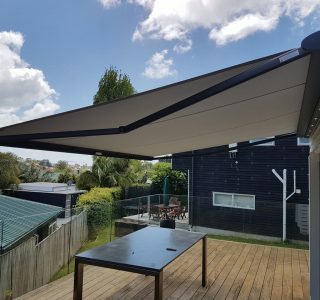 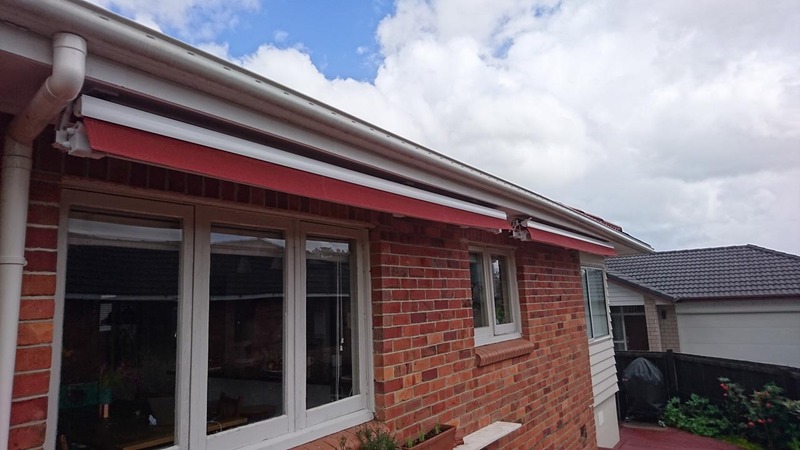 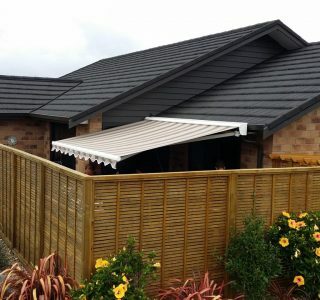 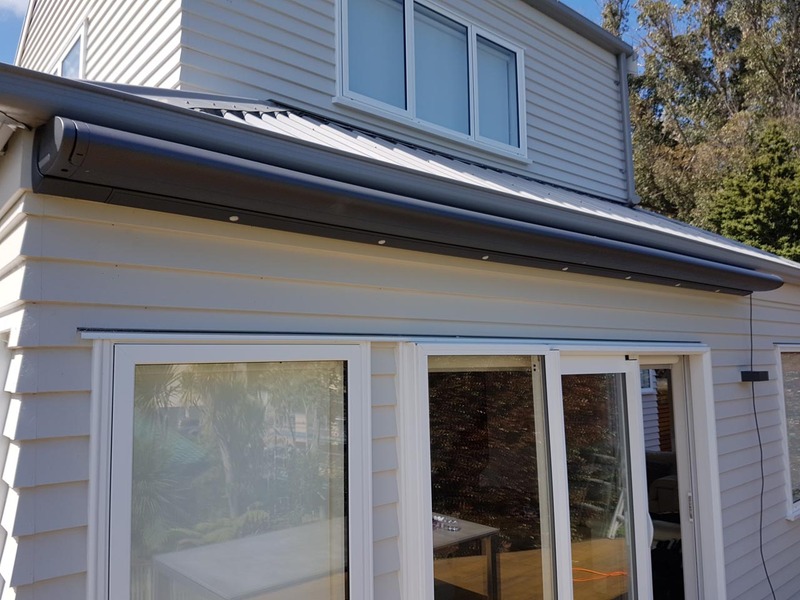 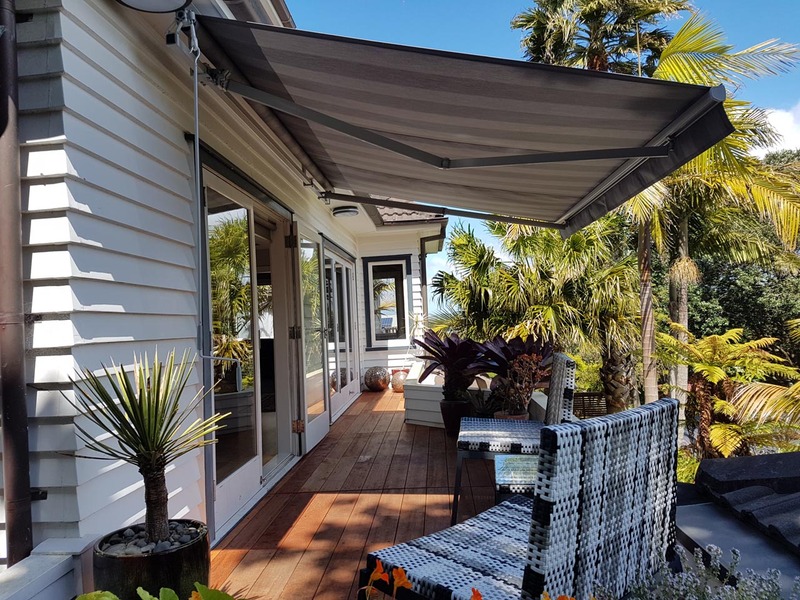 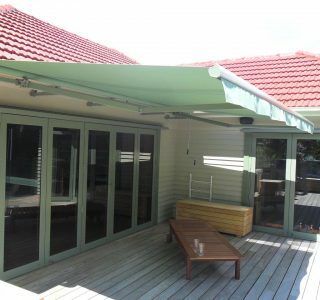 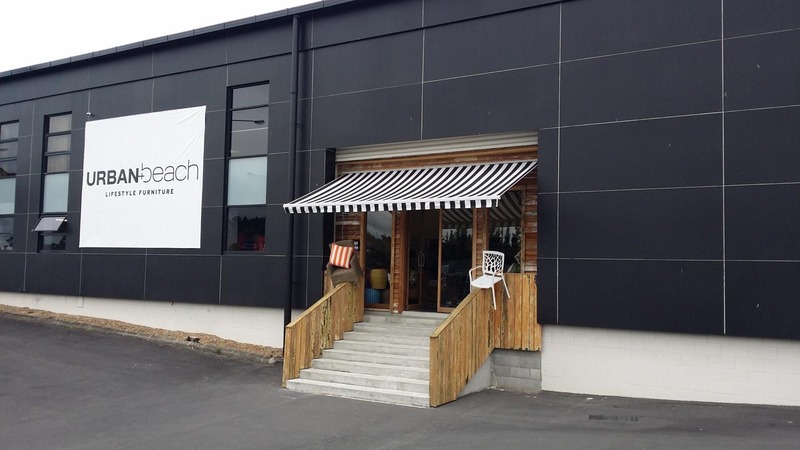 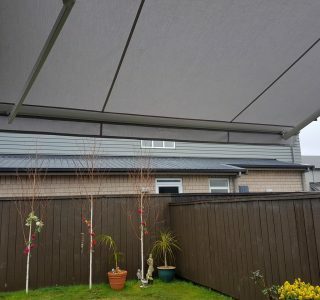 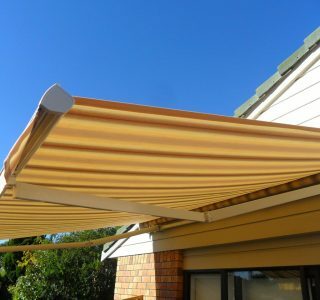 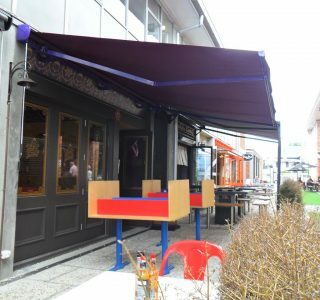 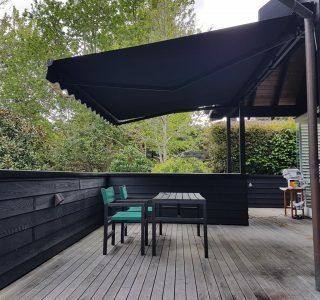 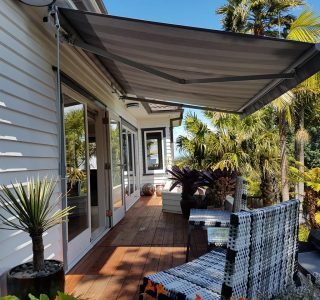 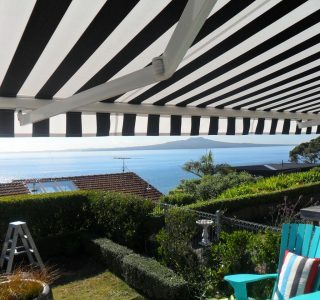 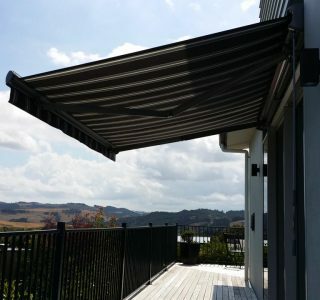 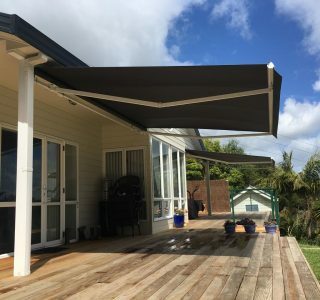 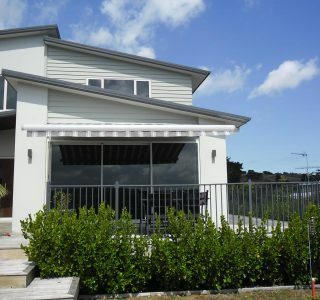 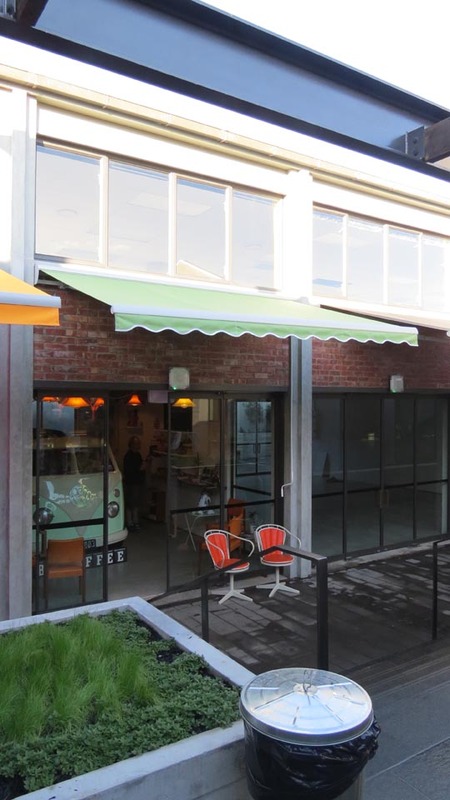 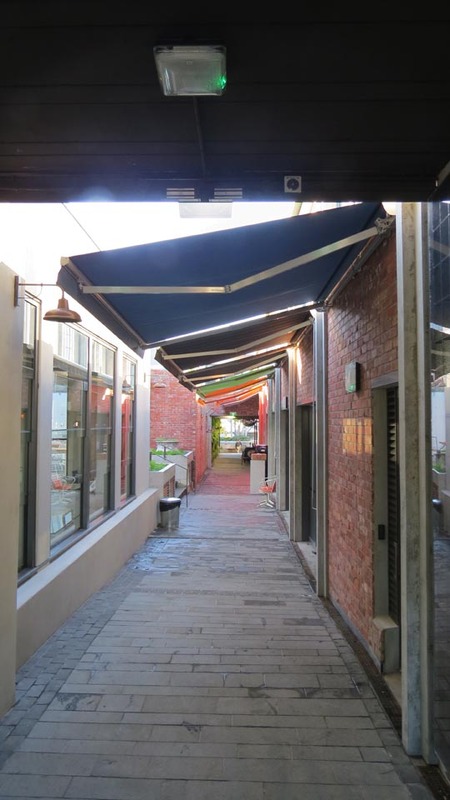 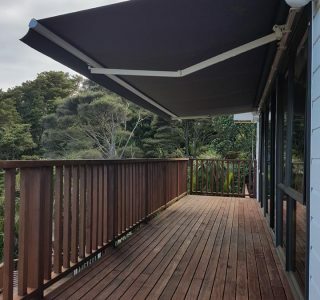 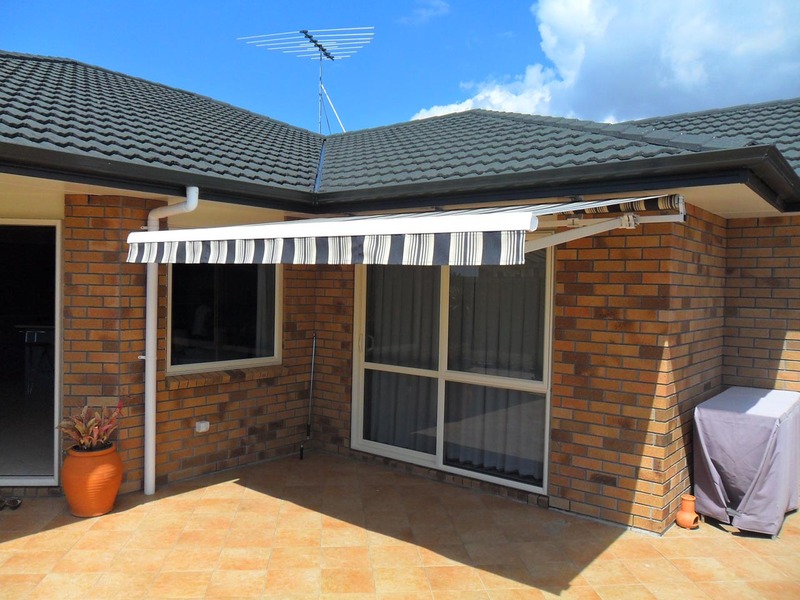 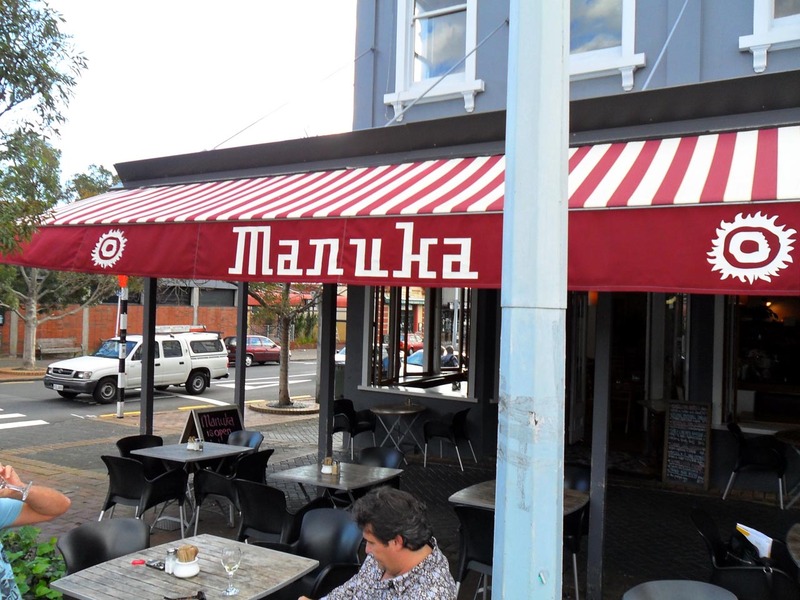 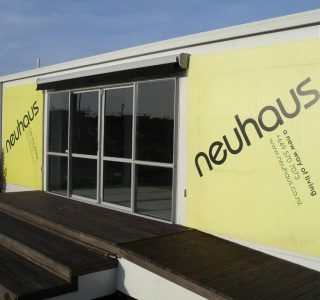 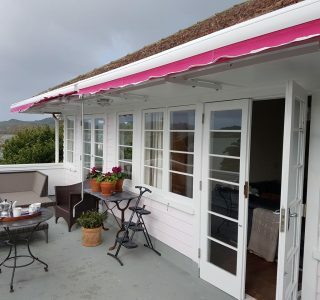 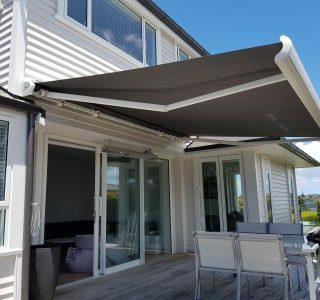 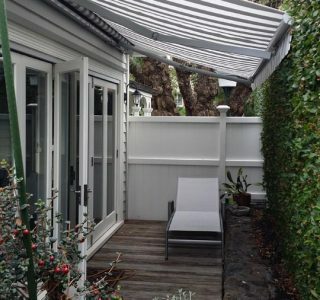 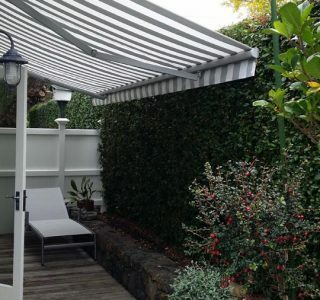 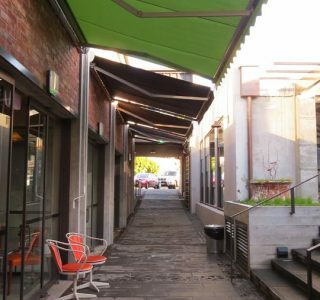 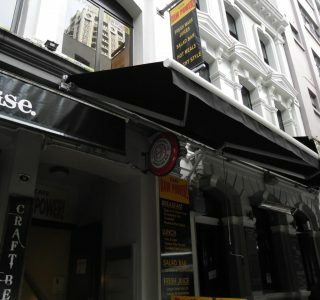 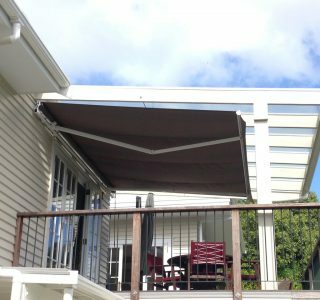 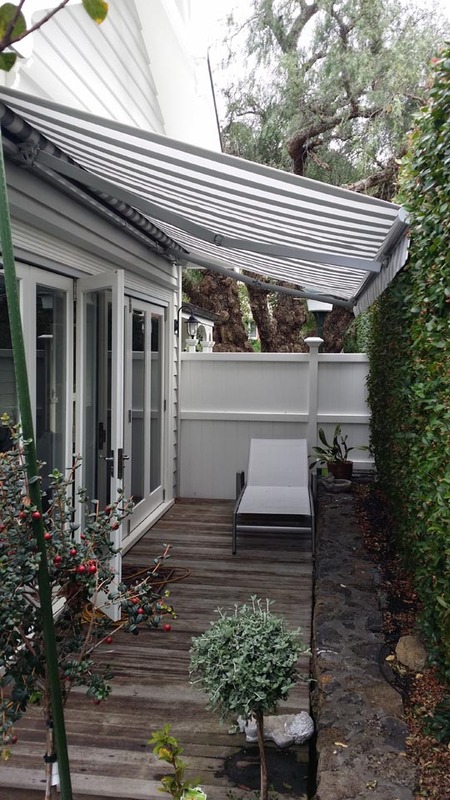 The Comfort awning is German engineered and manufactured here in New Zealand. 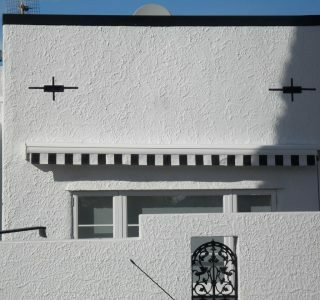 The Comfort is usually only wall mounted. 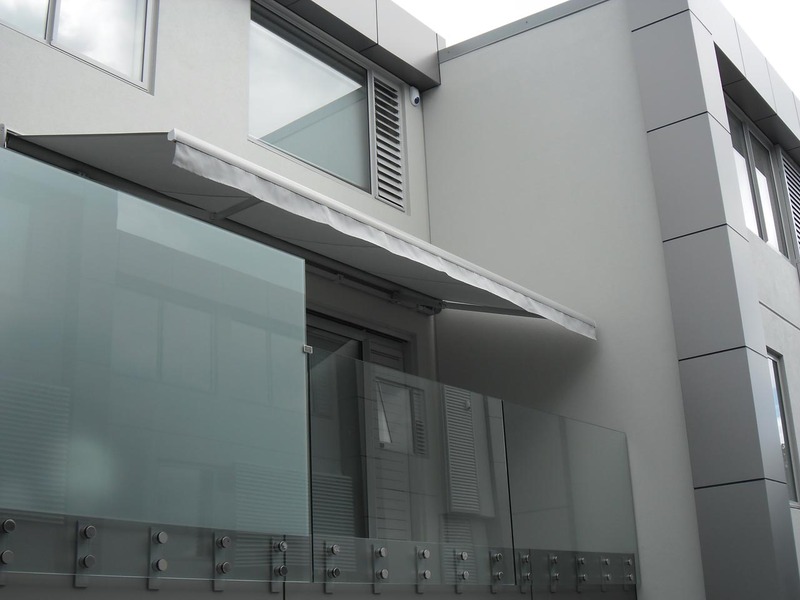 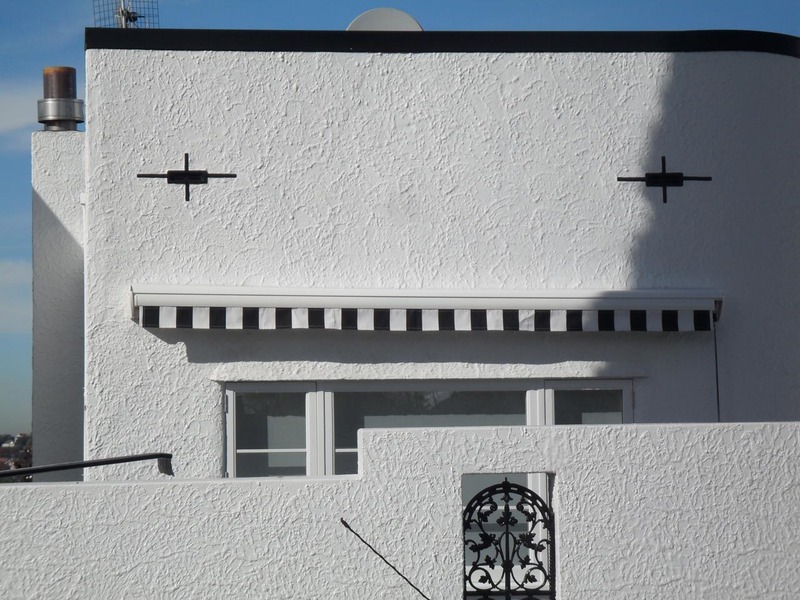 But because of who we are we can usually fabricate special custom made brackets for optional mounting requirements. 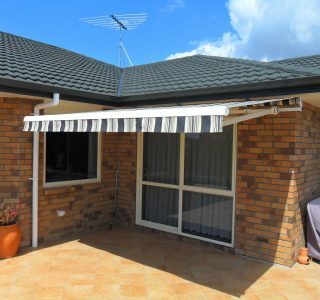 We will discuss with you at the time of your quote. 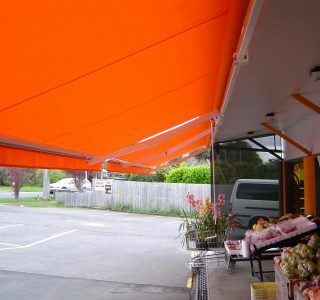 The Comfort also has a valance. 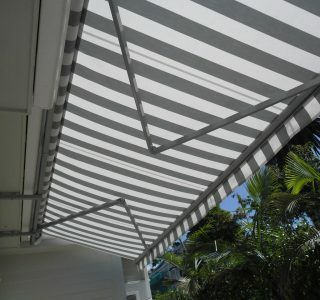 The most popular style is a straight look, but you have the option of wavy style too. 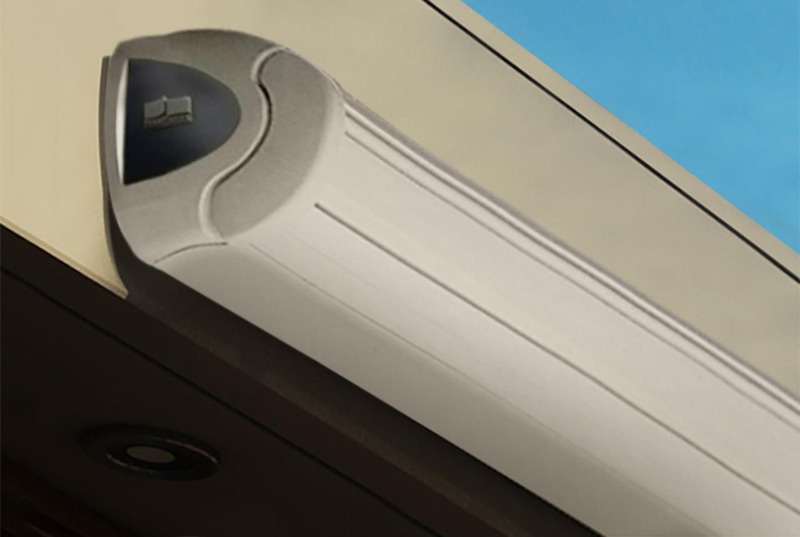 Automation is available or comes standard crank handle operated. 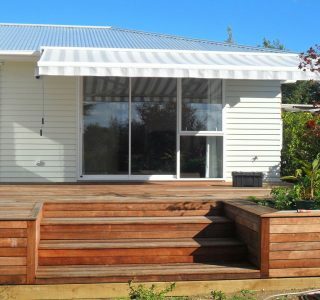 This semi-cassette is stylish and sleek to look at. 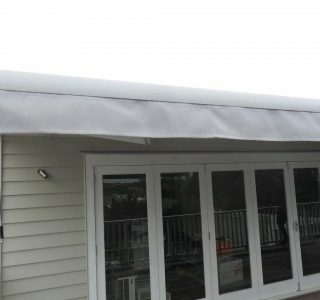 The Comfort features a full pelmet and backing cover for a great fabric protection solution. 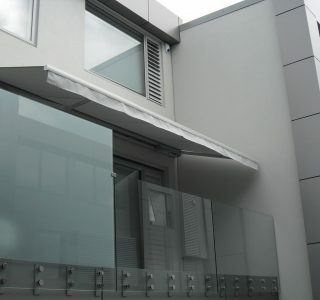 Colours Aluminium framing comes in standard colour silver pearl. 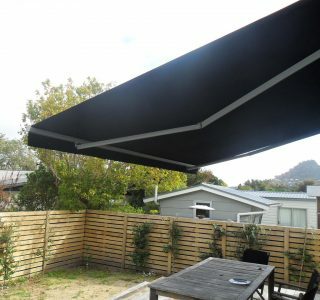 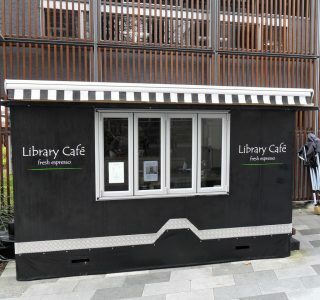 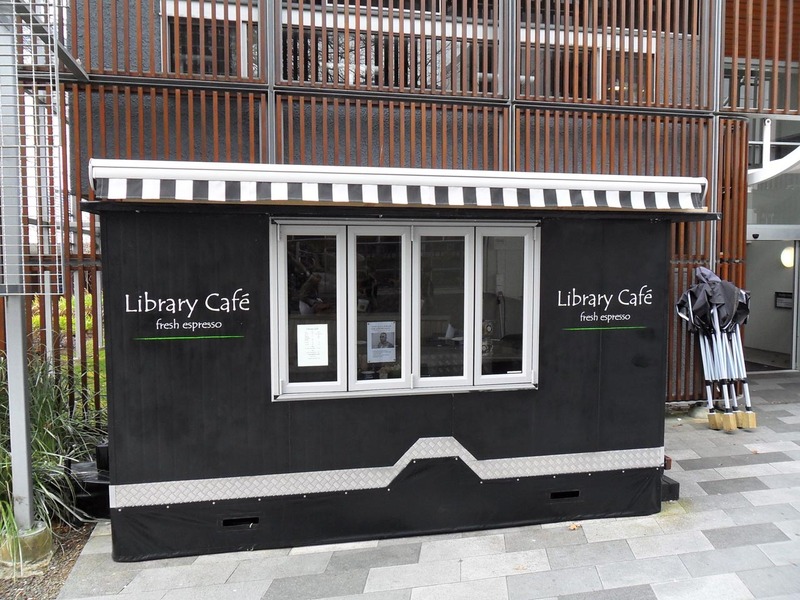 Sizing From 3.6m to 6m wide with a projection of 2.5m to 4m extension. 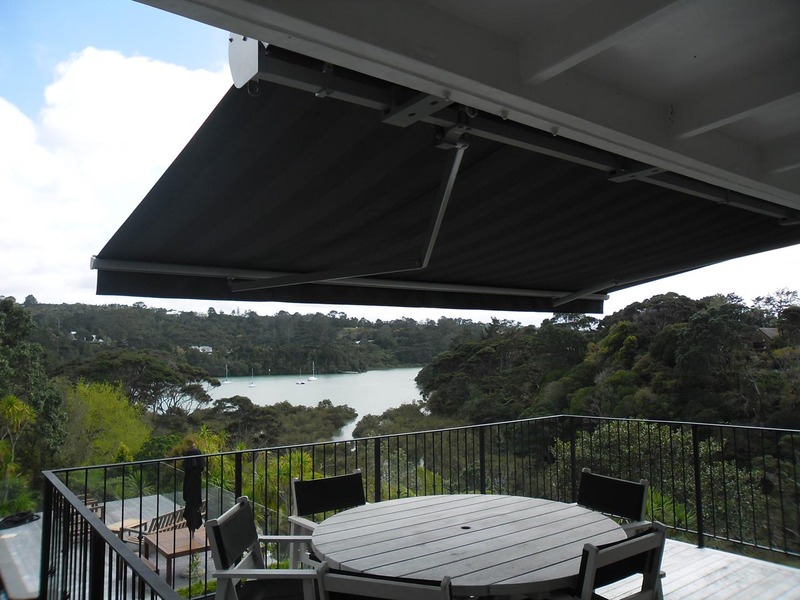 Operation Standard operation is with hand crank, with an automated option for even greater ease of use. 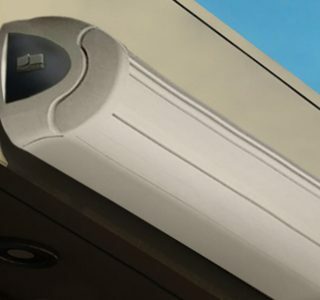 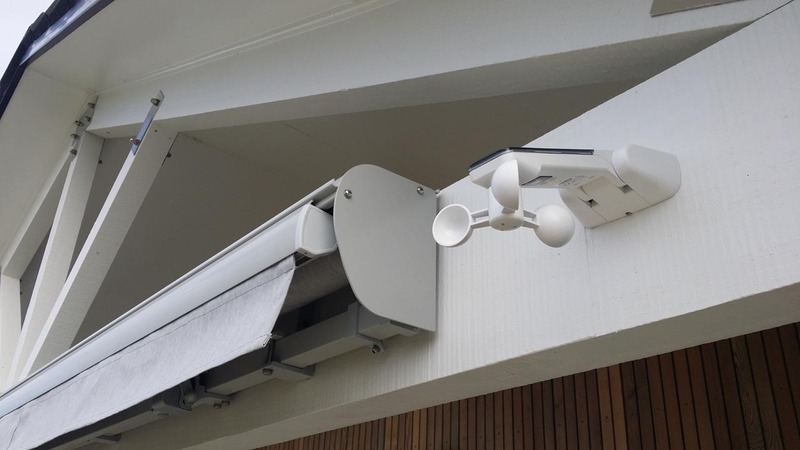 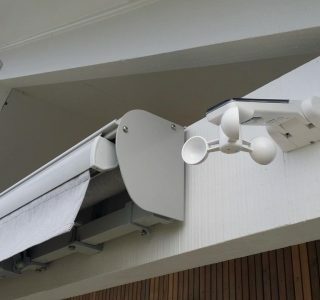 Automation with remote control is recommended with this solution. 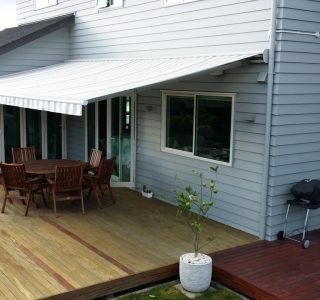 Warranty Full 10 year residential warranty & 3 year commercial warranty. 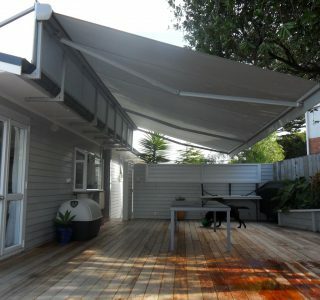 See warranty terms and conditions for full details and any exclusions that apply.